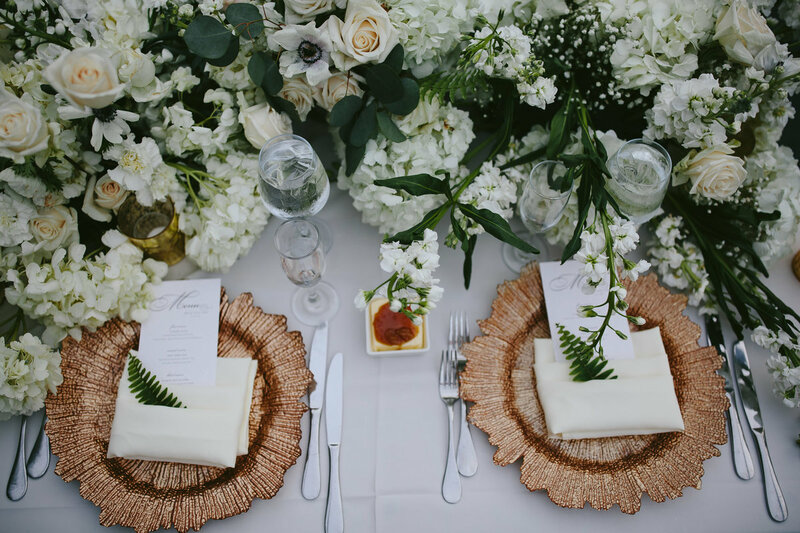 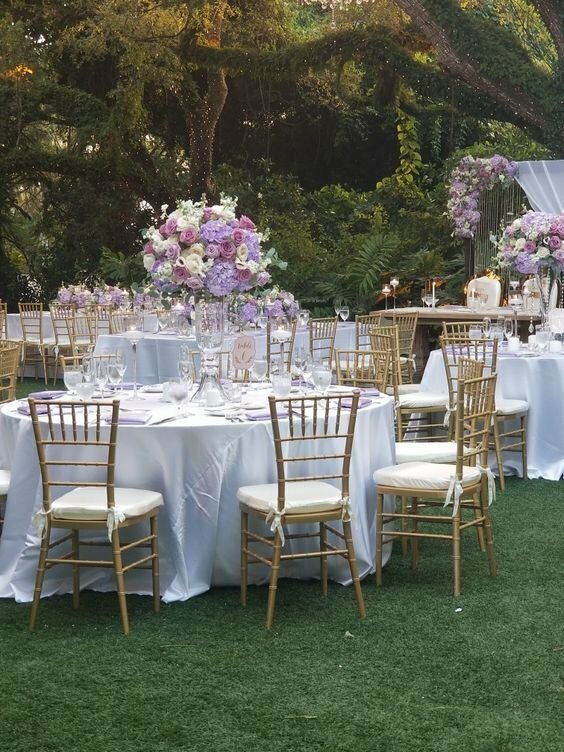 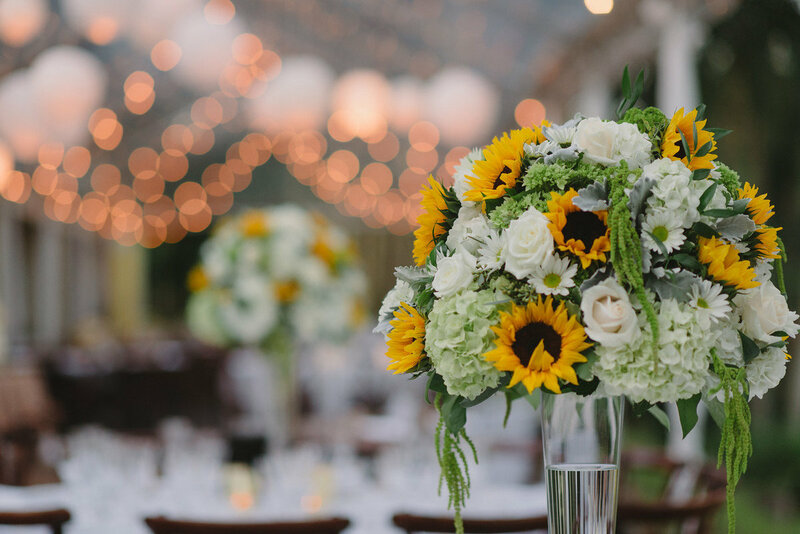 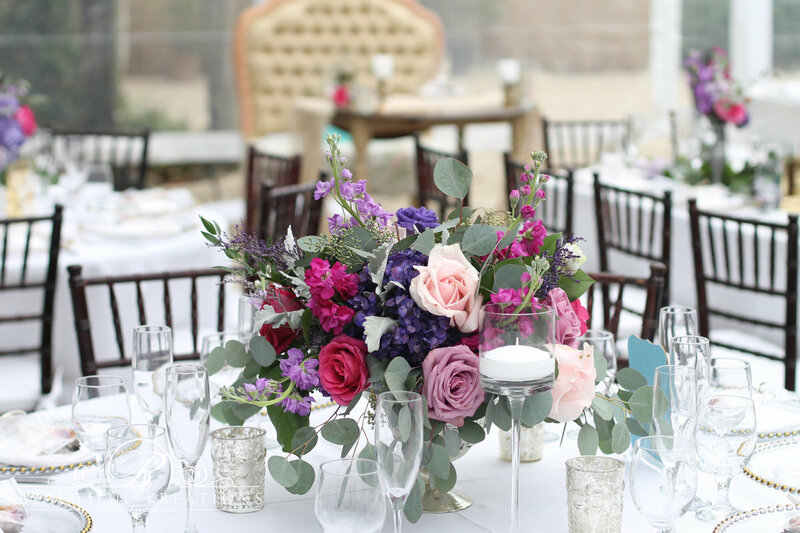 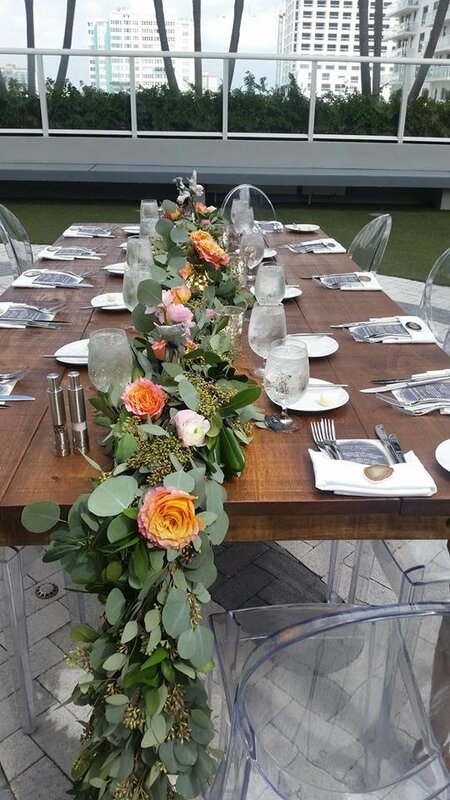 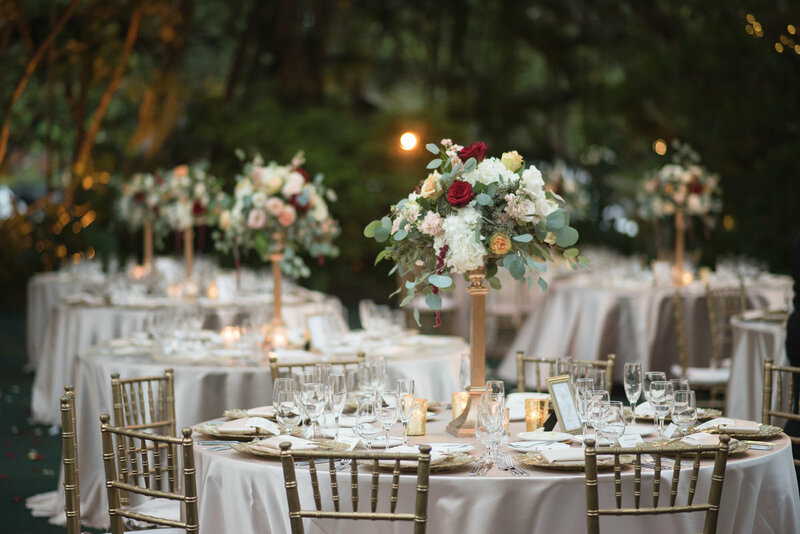 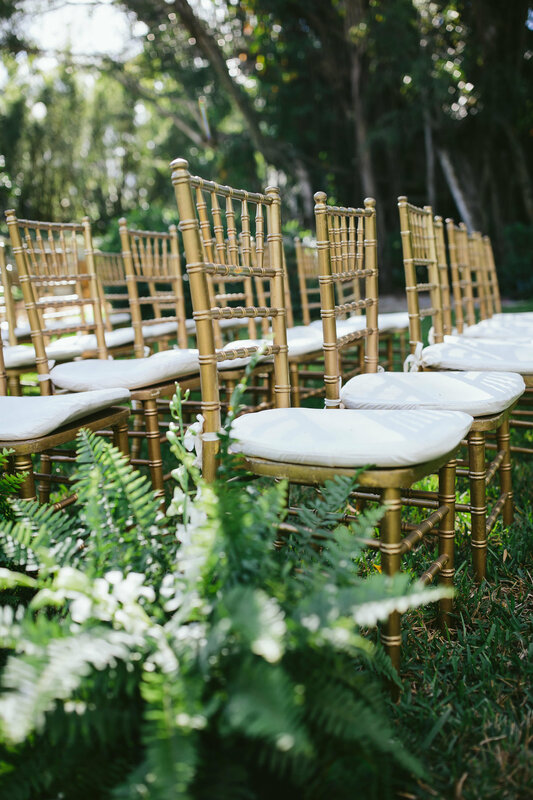 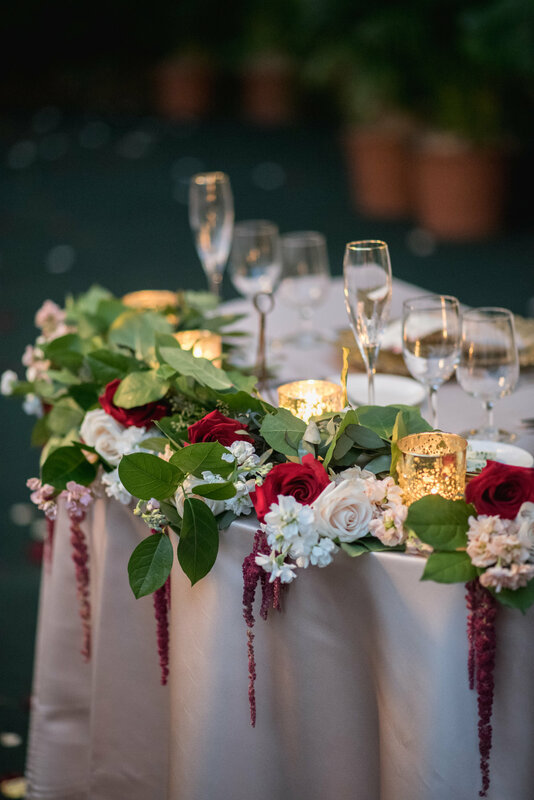 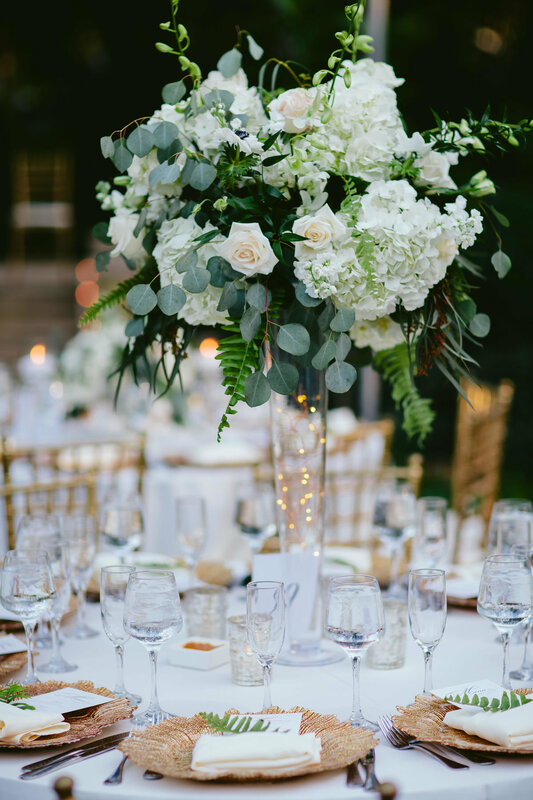 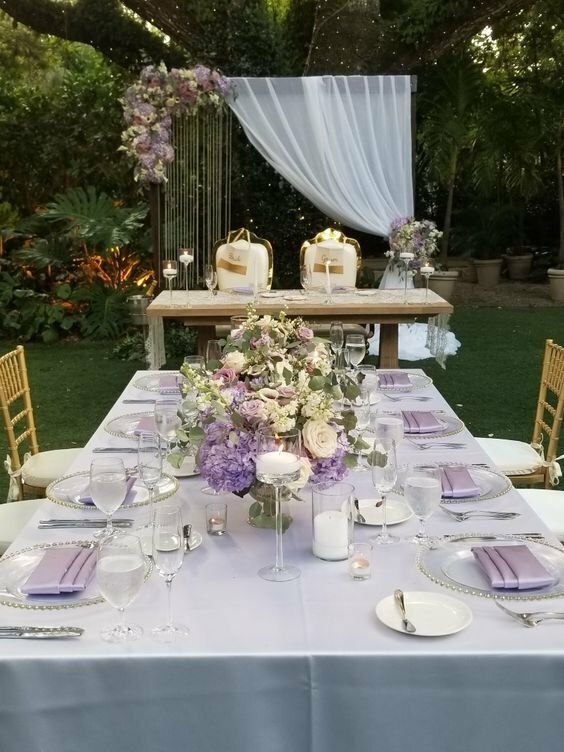 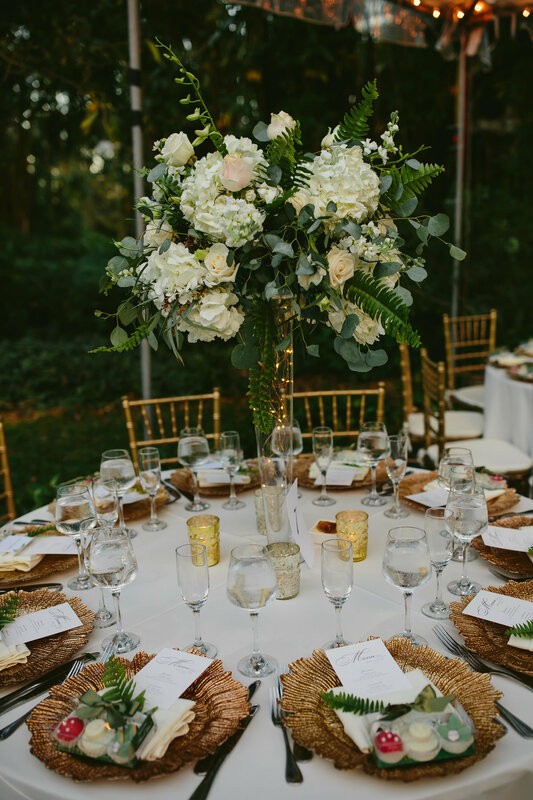 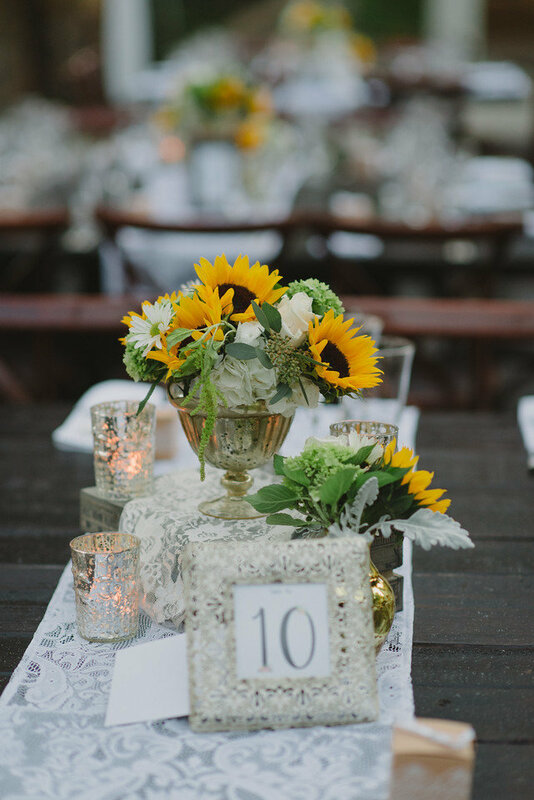 Whether your decor speaks to an English Garden vibe with a natural garden party-esque design, Modern Luxury, Bohemian Chic, Eclectic or Whimsical, you've made the perfect choice by selecting our team. 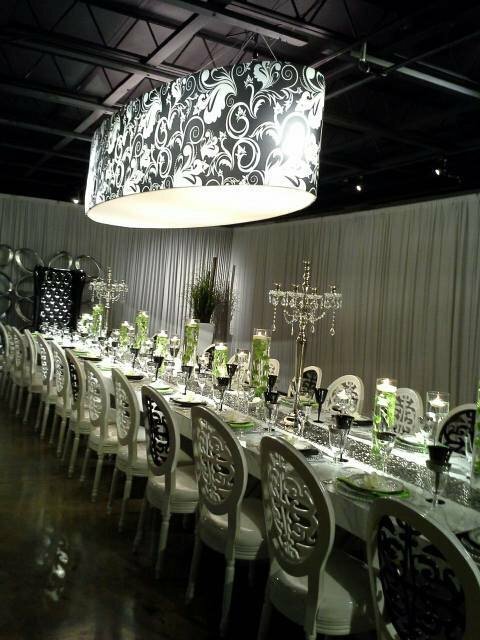 Our five step design approach towards your decor is fun, engaging and memorable! 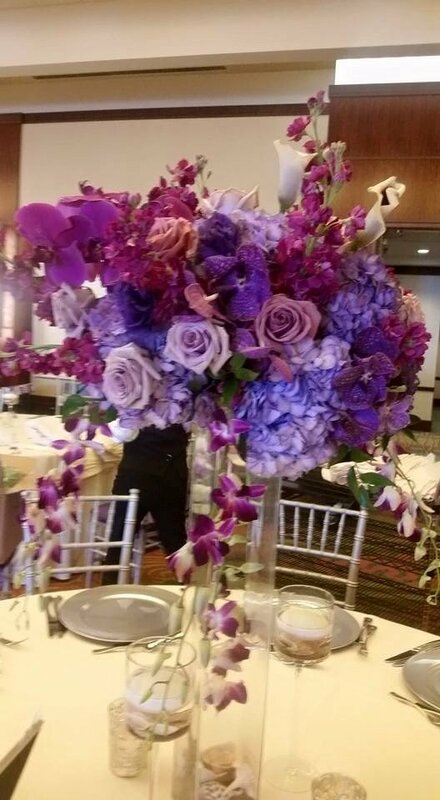 Fifth, viola! 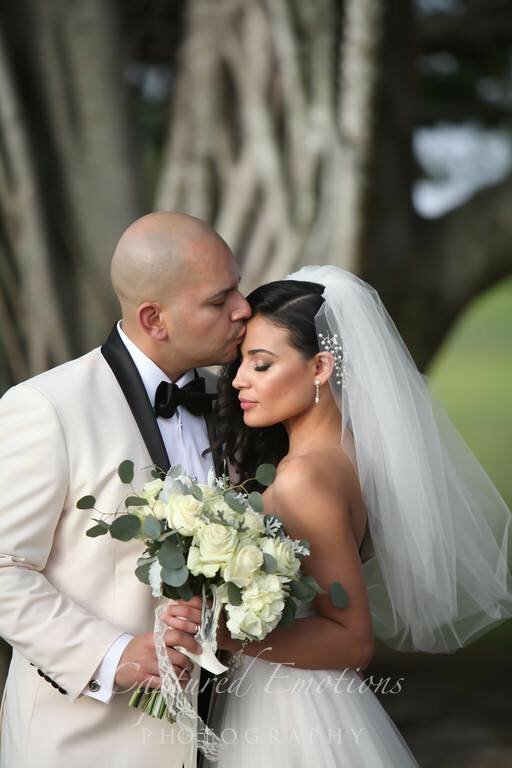 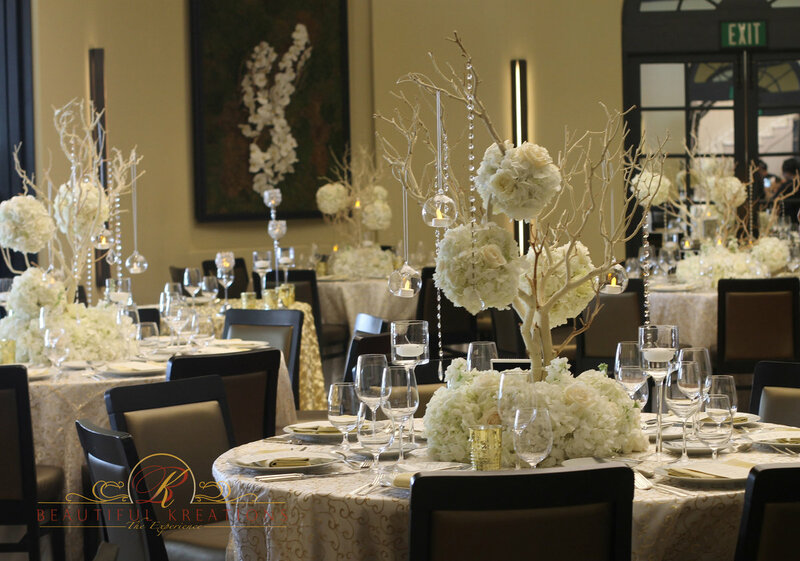 We deliver the vision creating timeless memories! 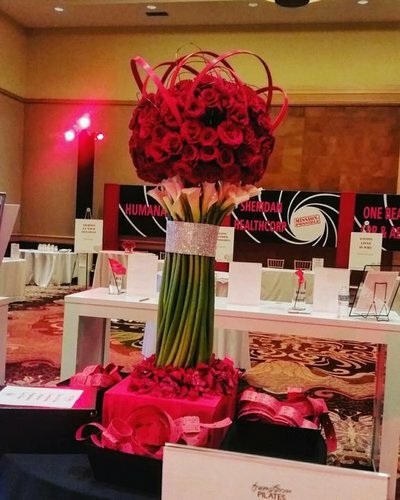 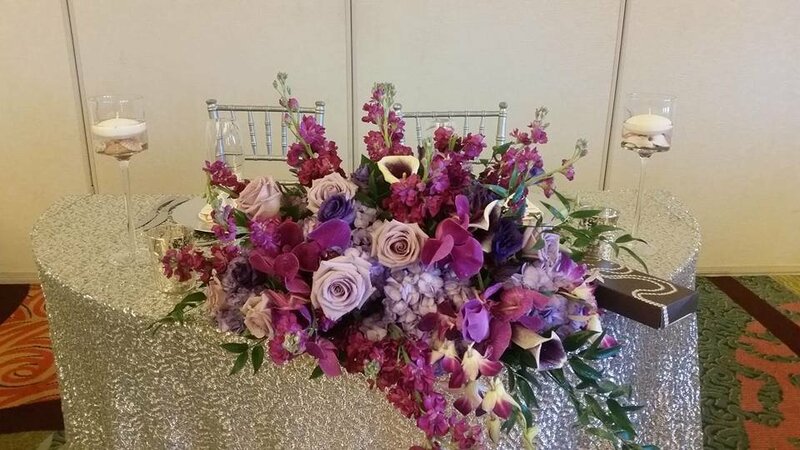 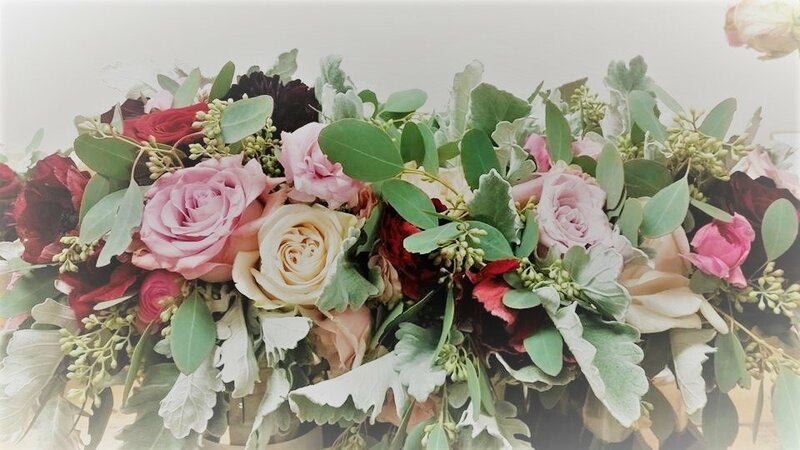 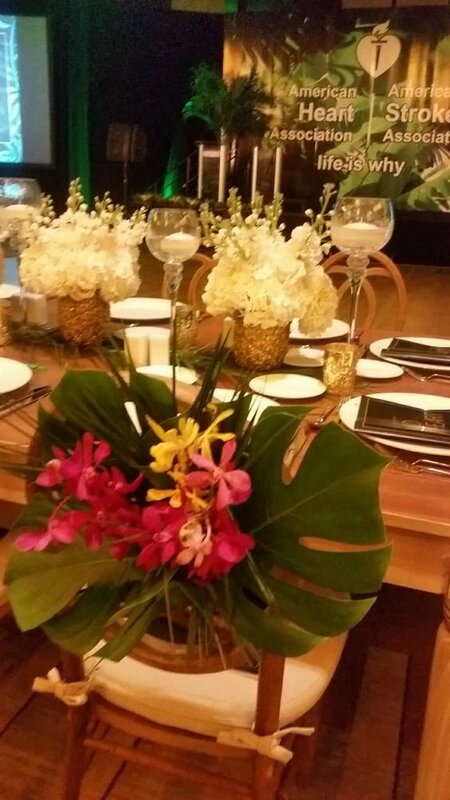 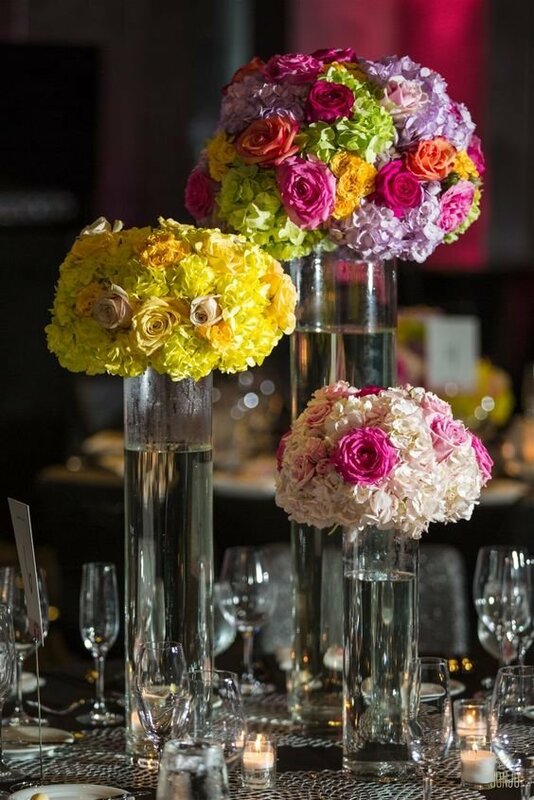 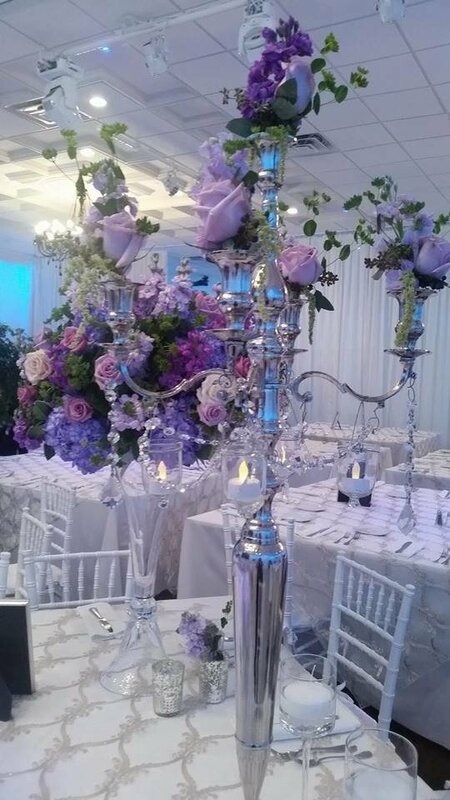 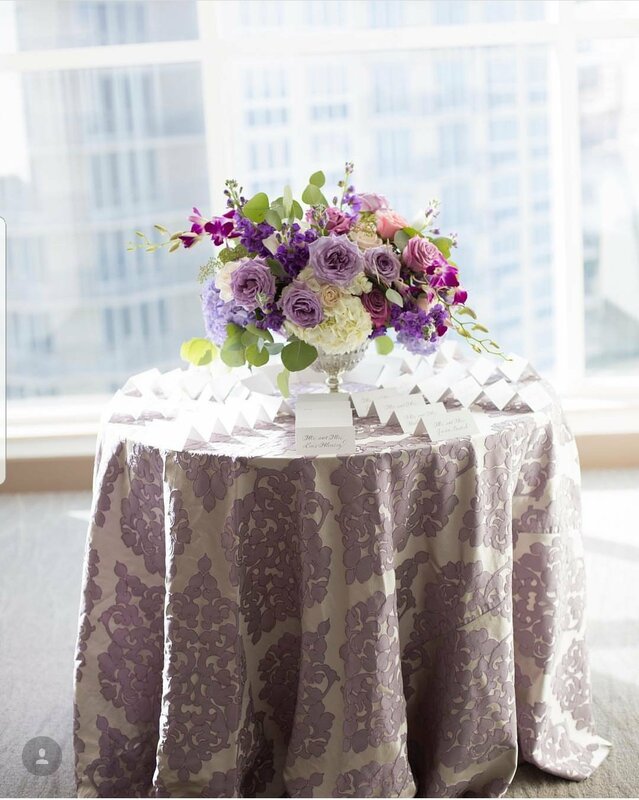 Our passion of bringing the “Beautiful Kreations experience”, to the floral industry continues to grow and solidify our stance as a company to do business with. 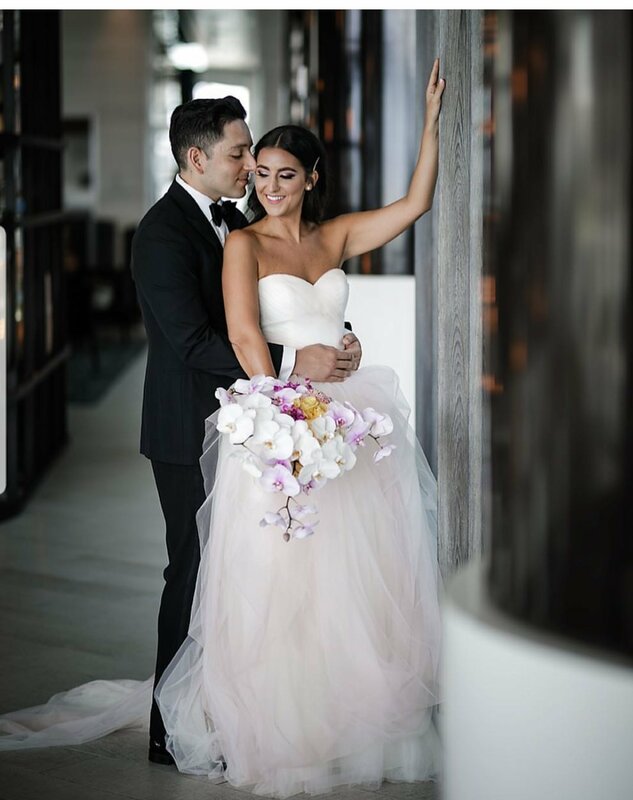 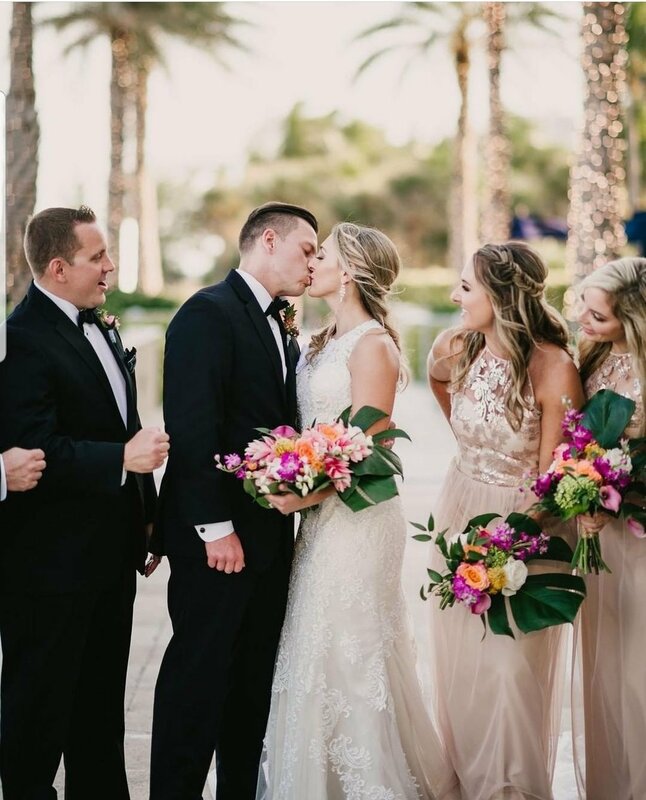 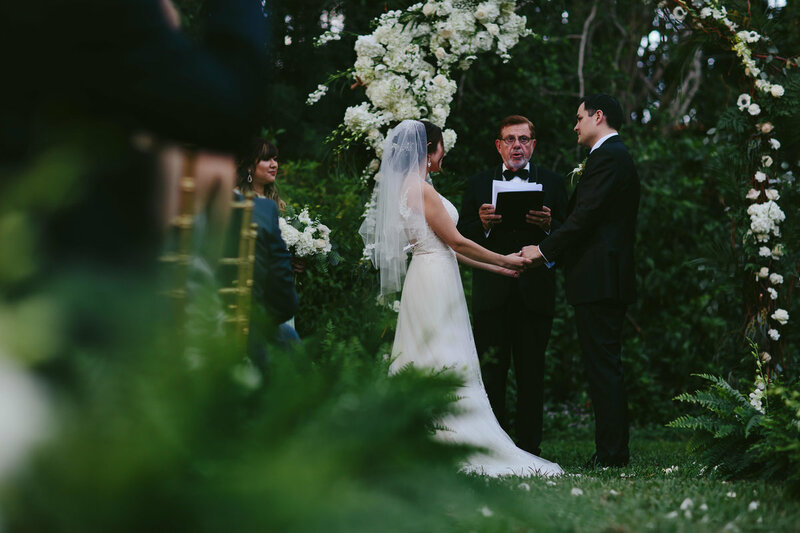 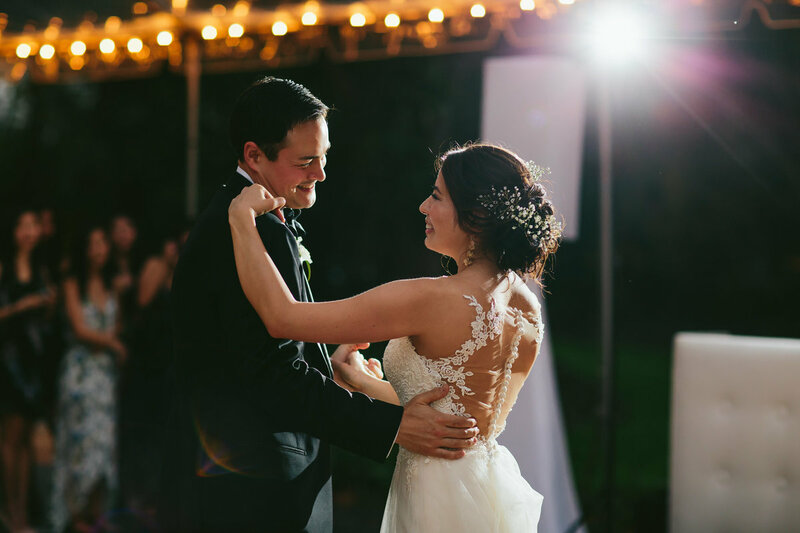 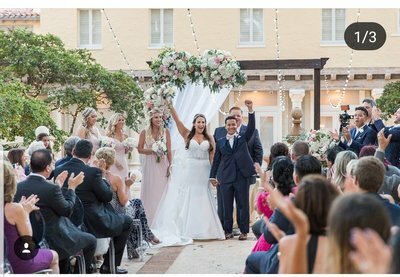 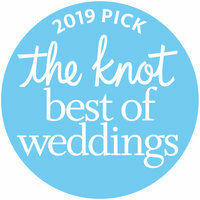 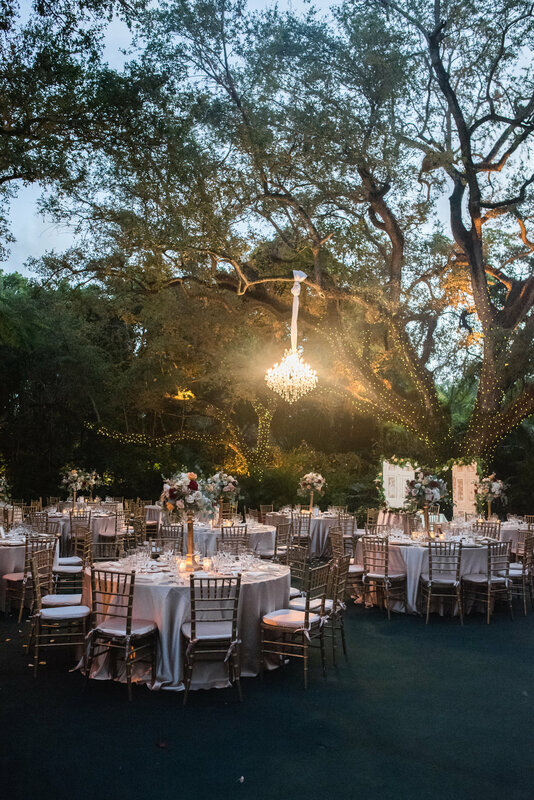 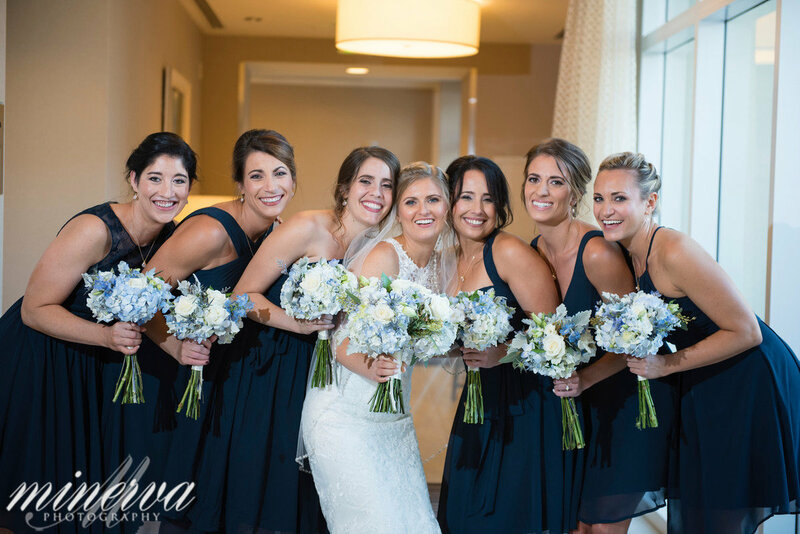 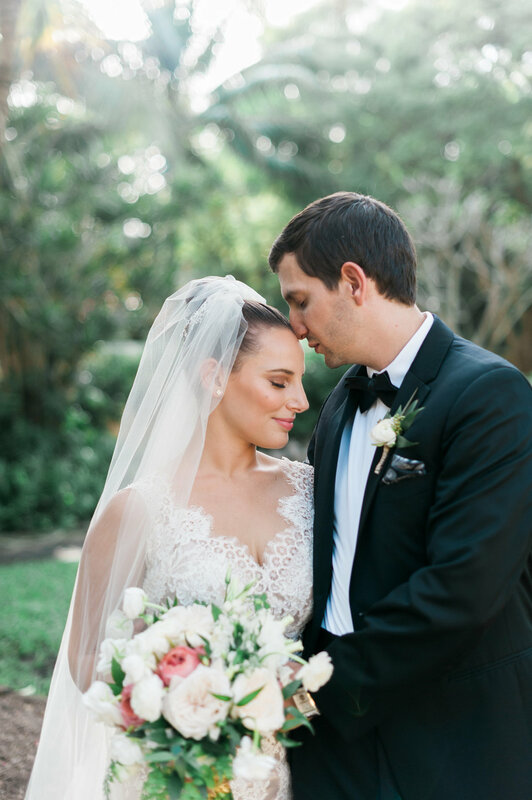 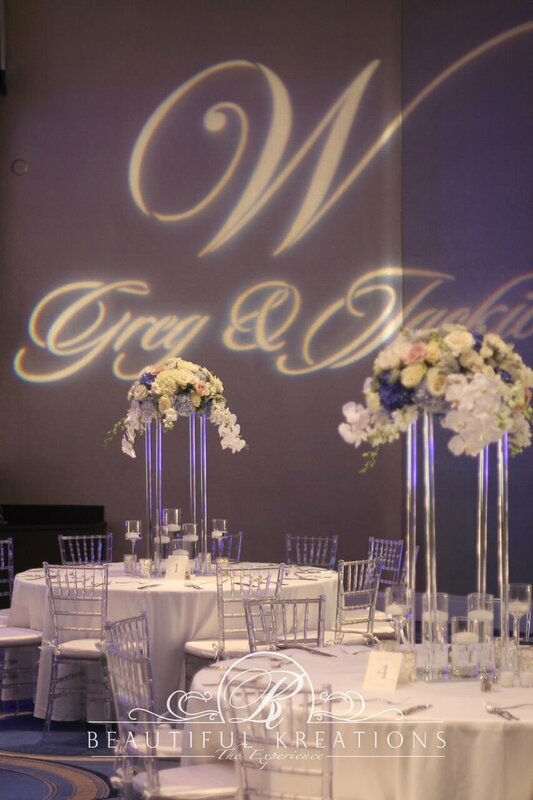 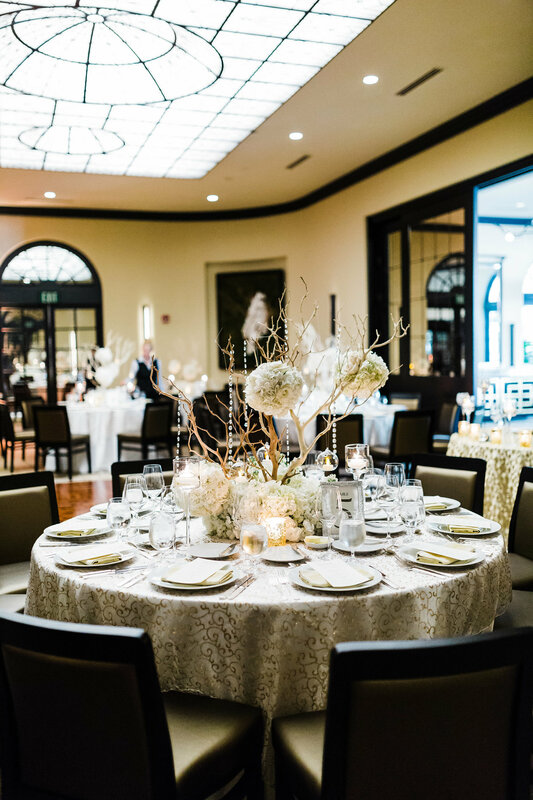 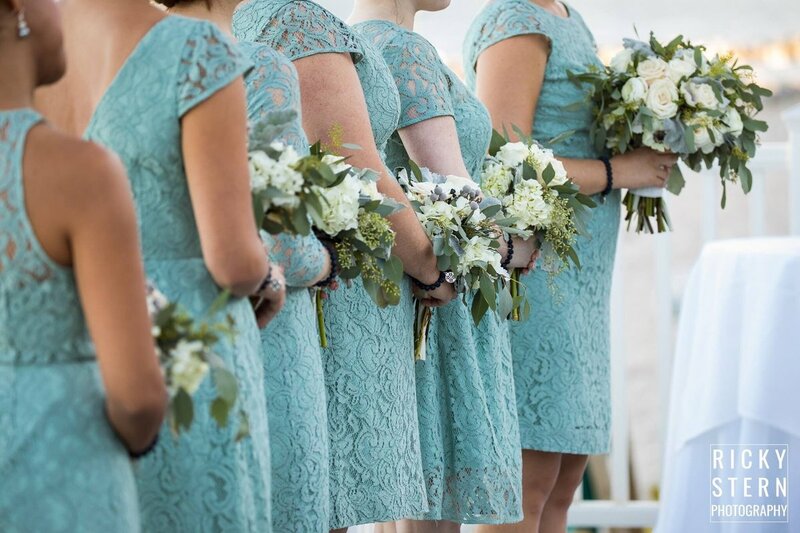 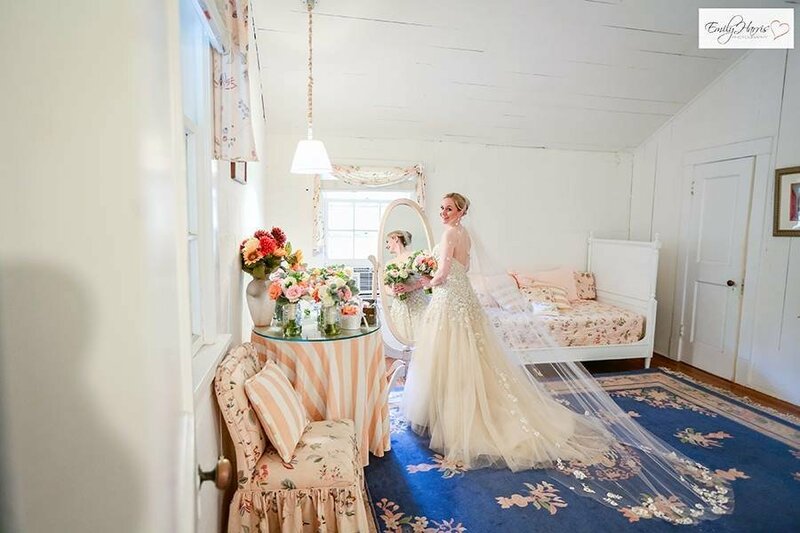 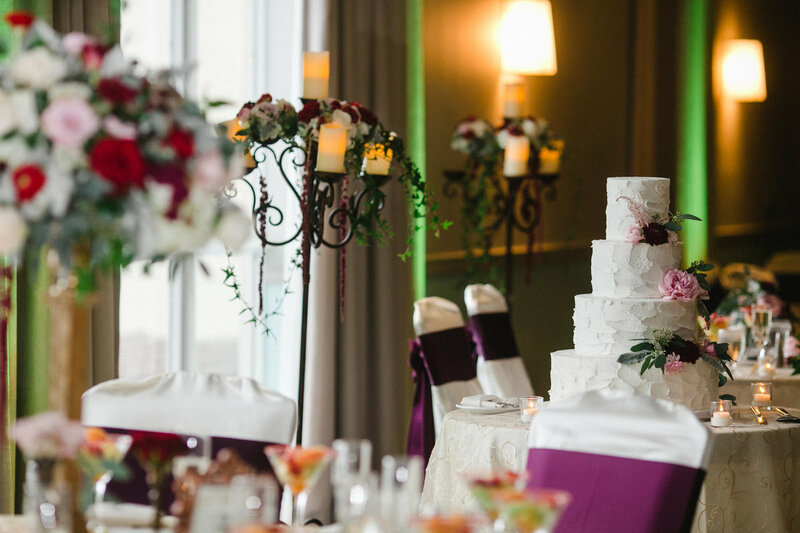 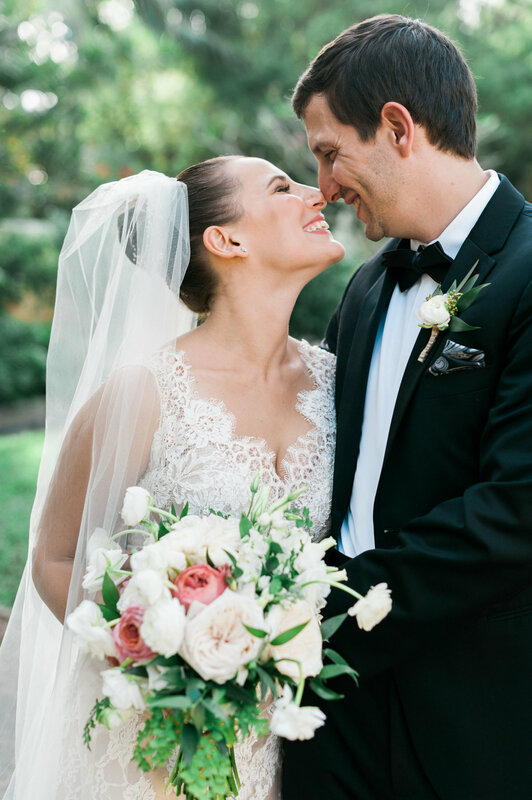 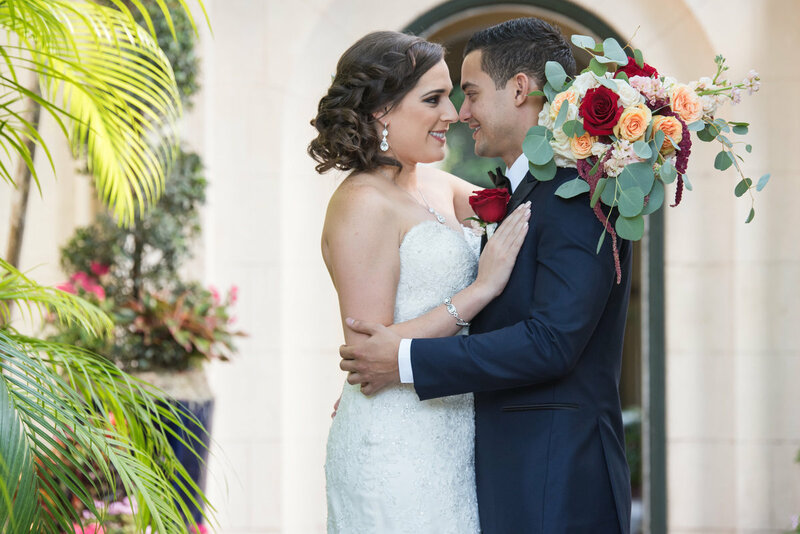 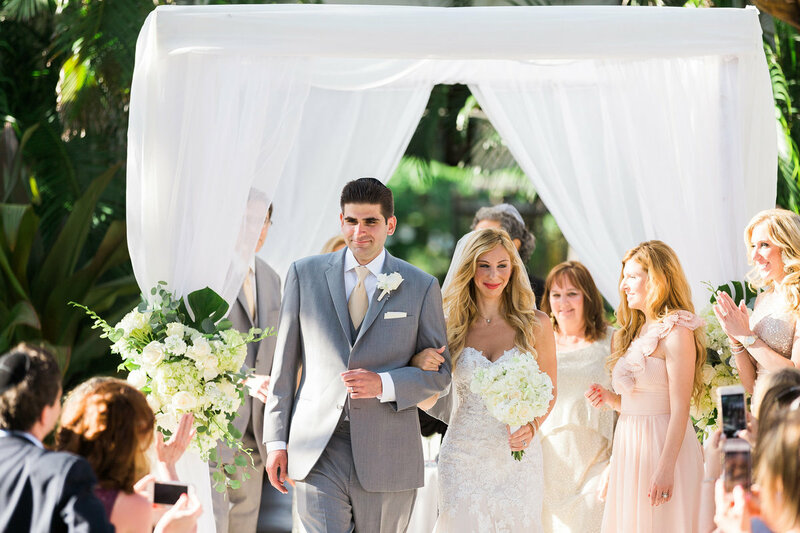 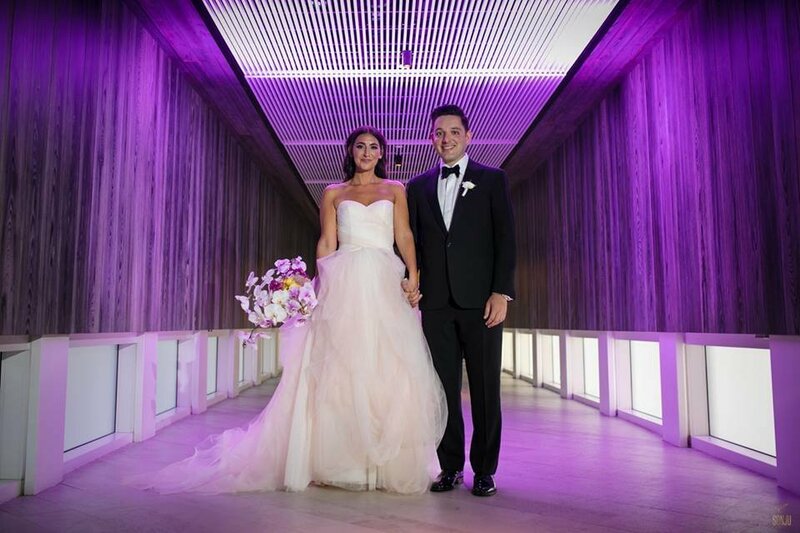 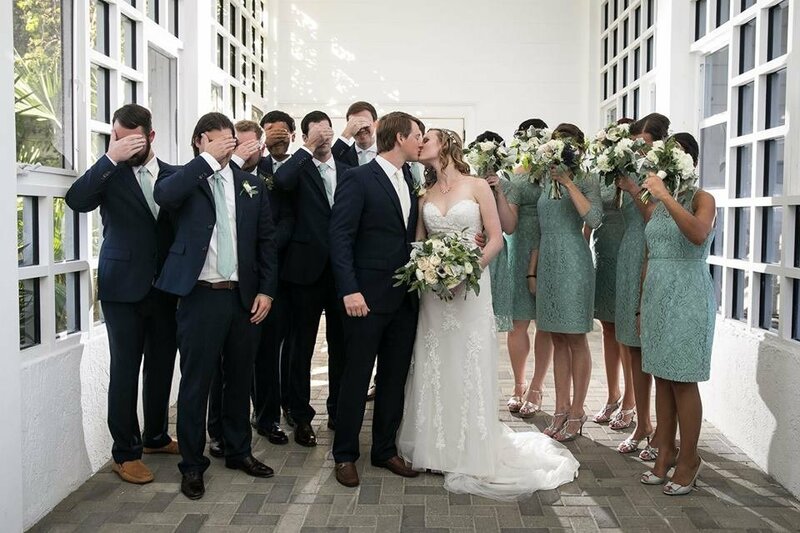 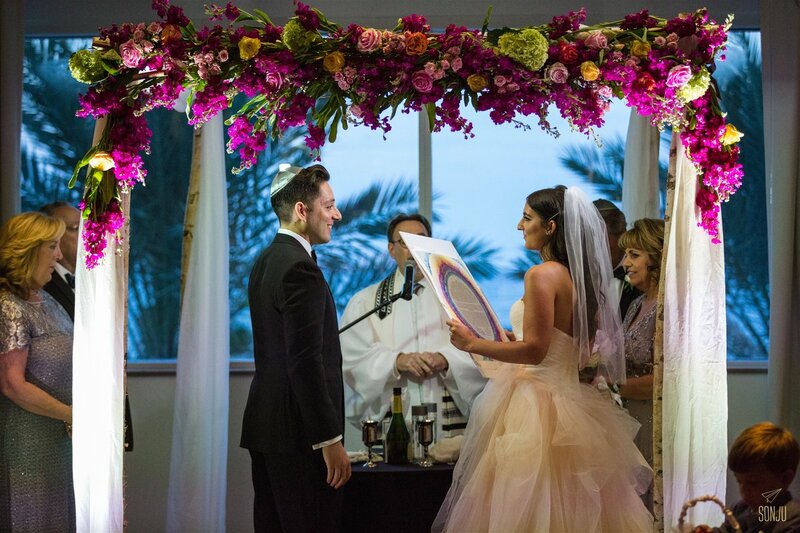 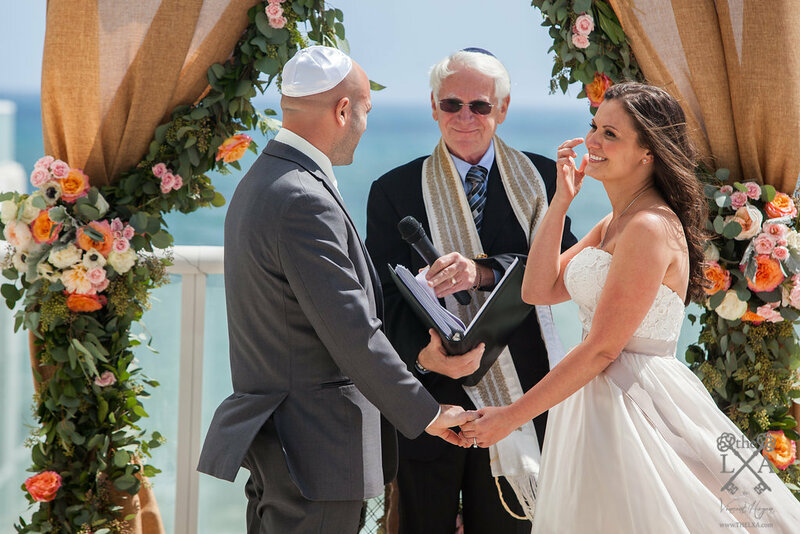 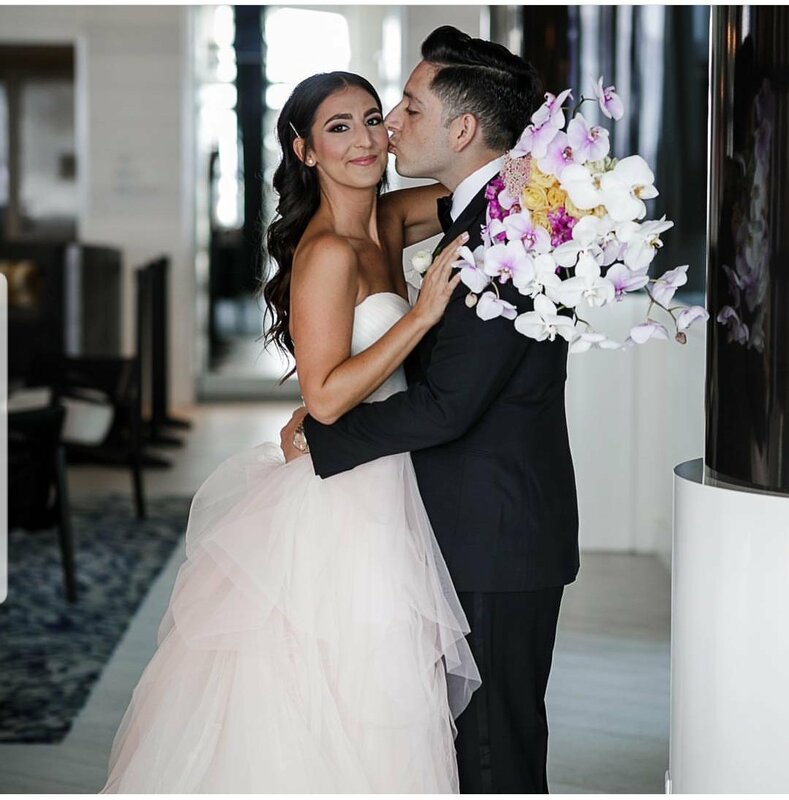 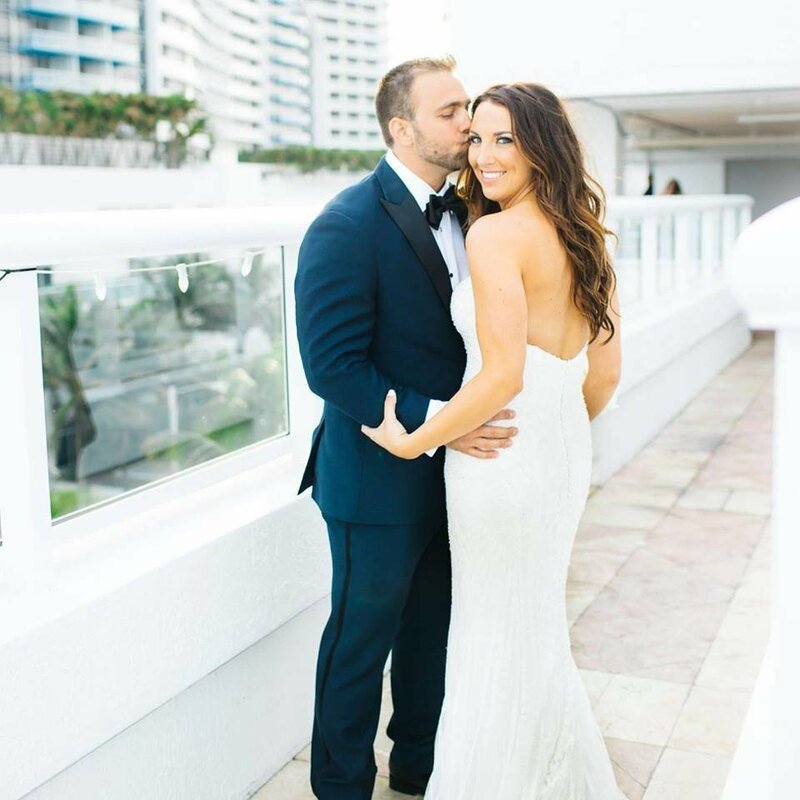 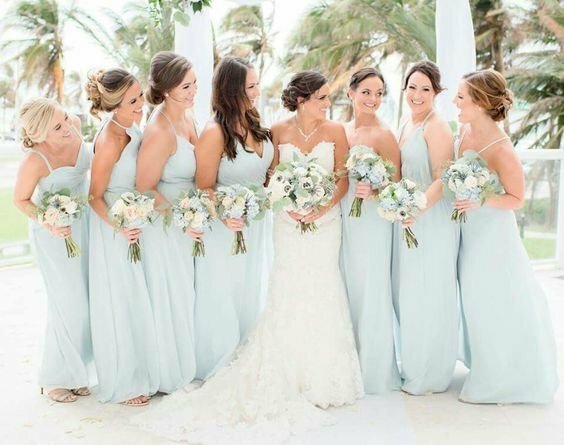 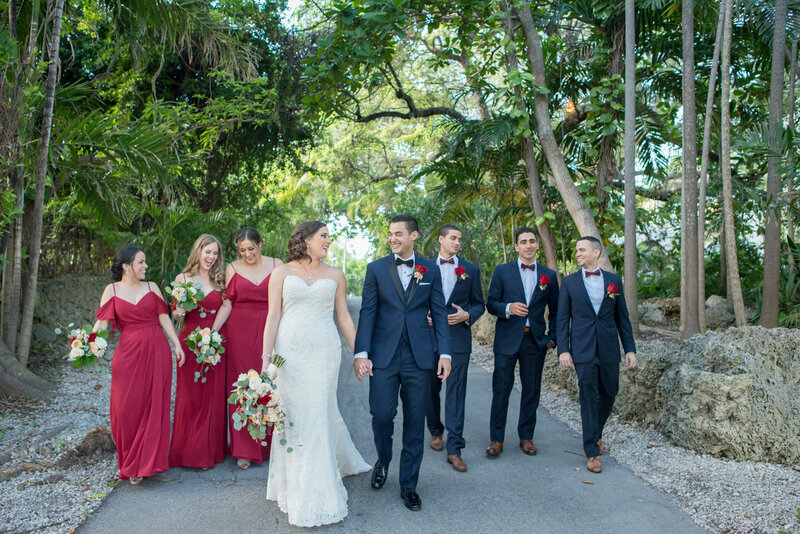 Garnering countless praises from our bridal and corporate communities and being awarded theKnot “Best of Wedding” for six consecutive years continues to ignite our passion for excellence! 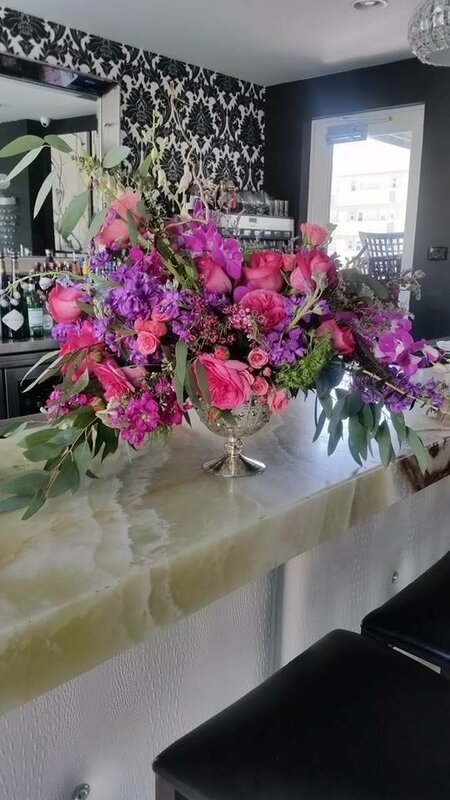 As your Creative Director, my goal is to showcase our team 25 years of collective experience, knowledge, creativity and diversity into each design we create for you. 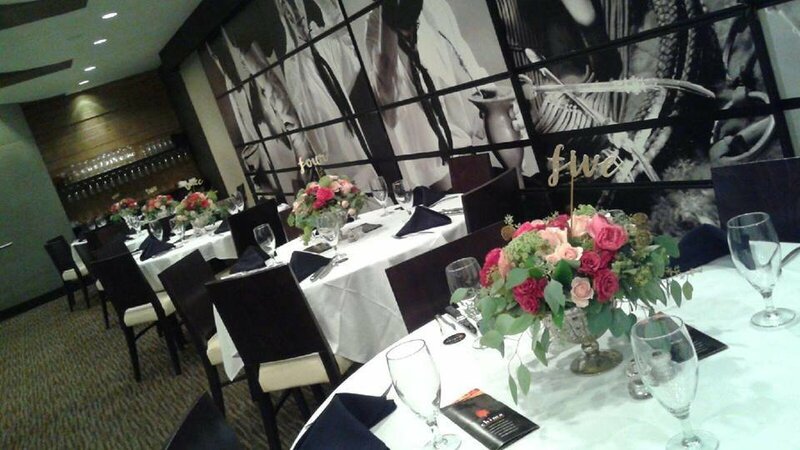 Schedule a time to hang with us; we look forward to celebrating with you! 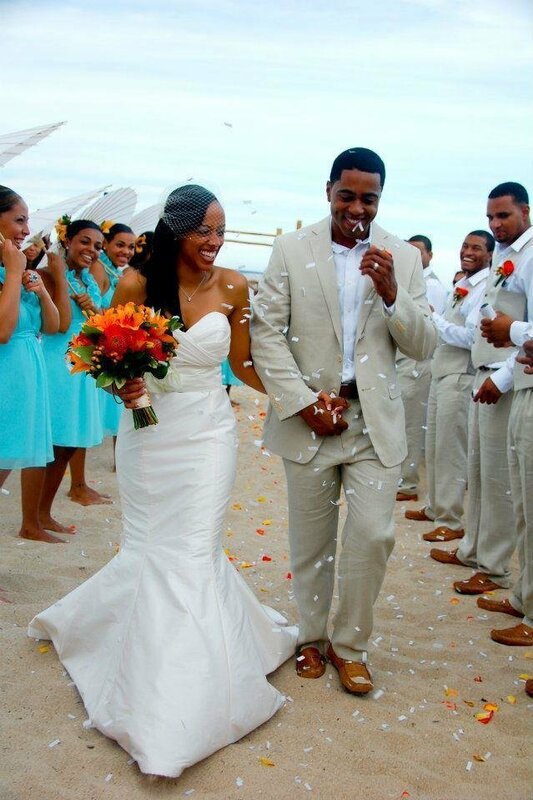 From the Island of Jamaica, my first travels led me some 2400 miles to the City of Angels in California. 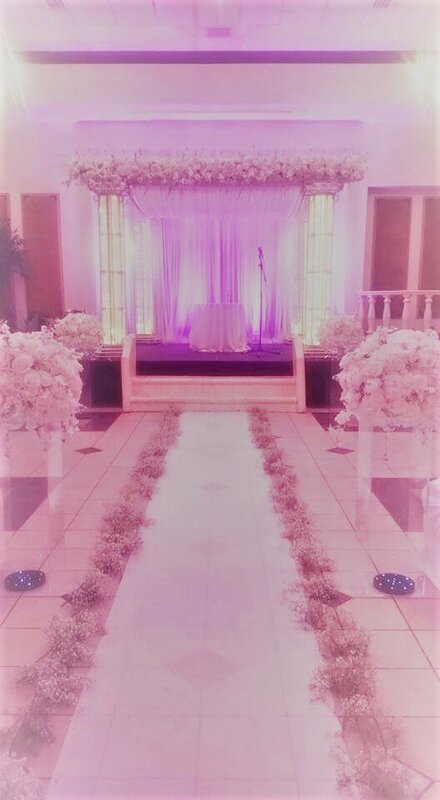 The west coast was lovely, but after several years of living there, a little visit to the Big Apple kind of stole my heart. 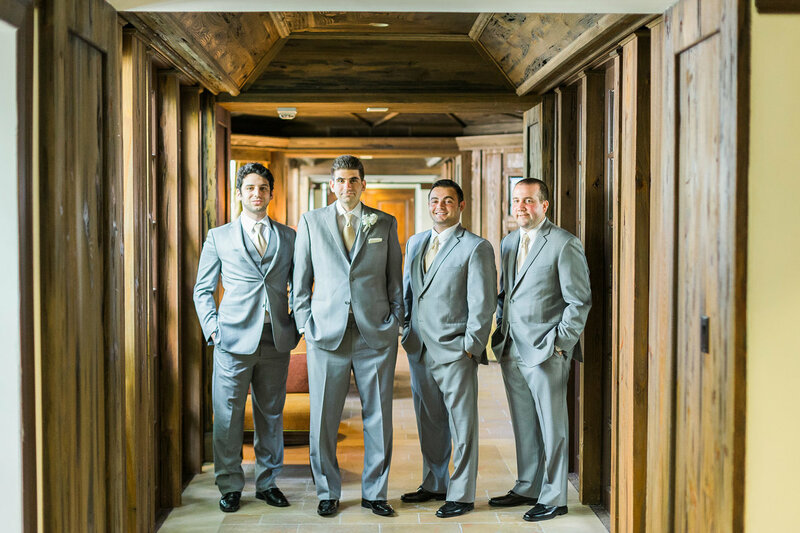 Fast forward some two decades later, I’m a proud wife and mom of three. 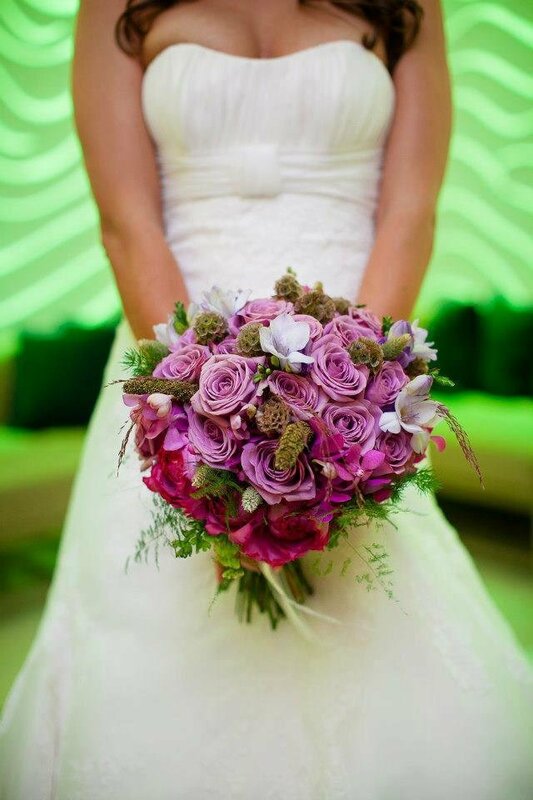 A true believer in destiny, freedom, the pursuit of happiness (and of course, incredible flowers). 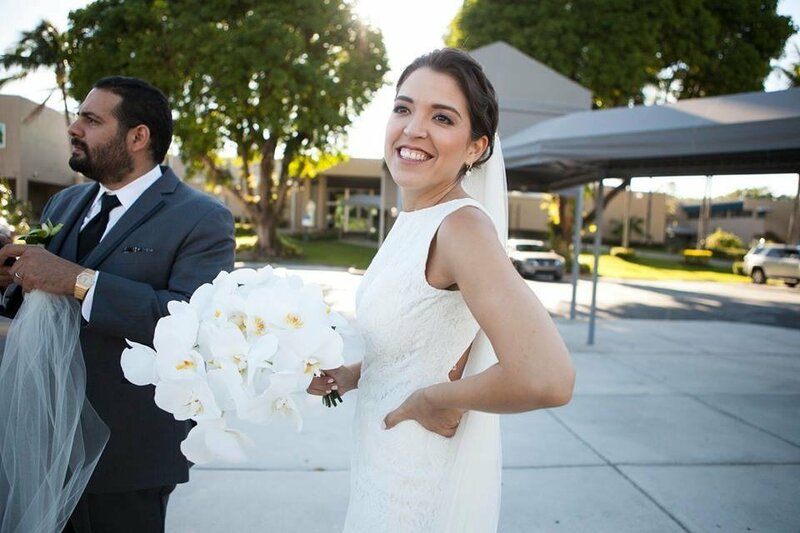 I’m without a doubt committed to creating a harmonious and cohesive lifestyle every single day and--not just on the weekends. 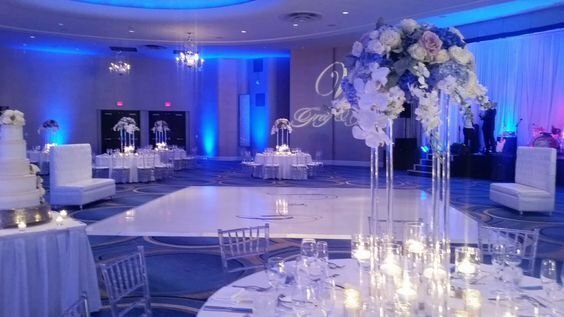 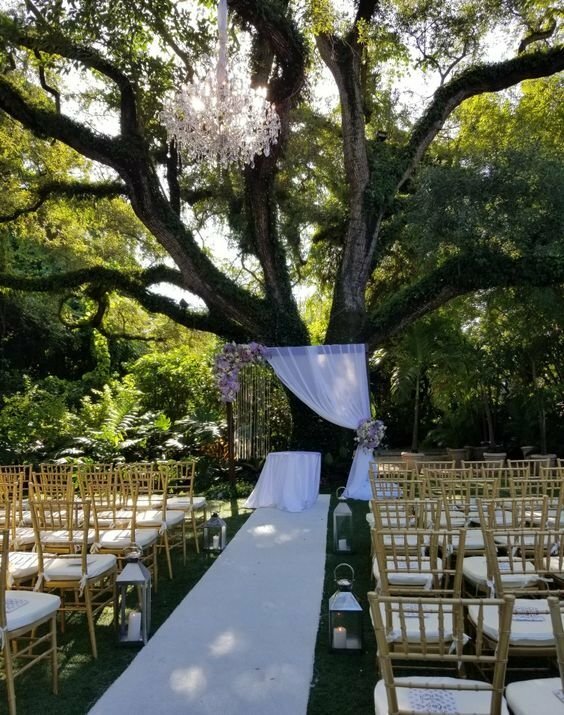 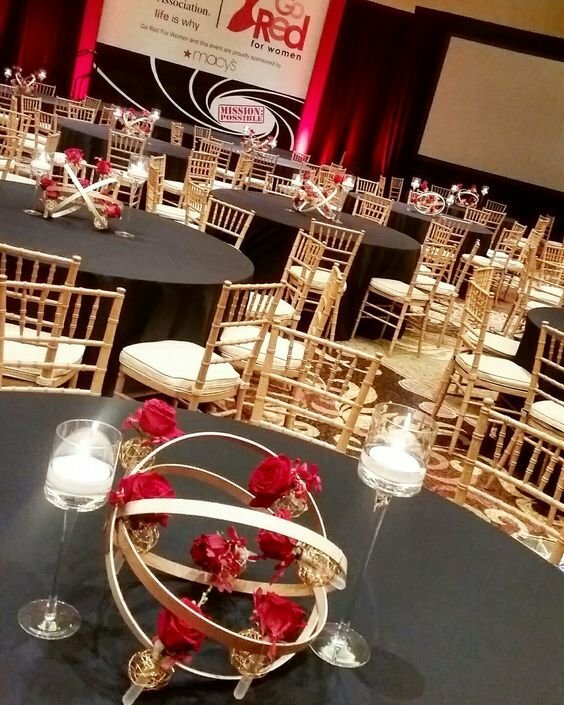 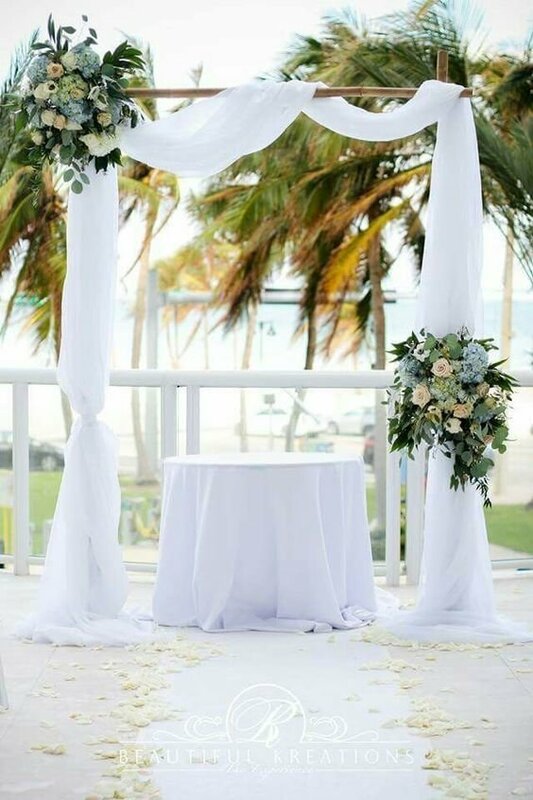 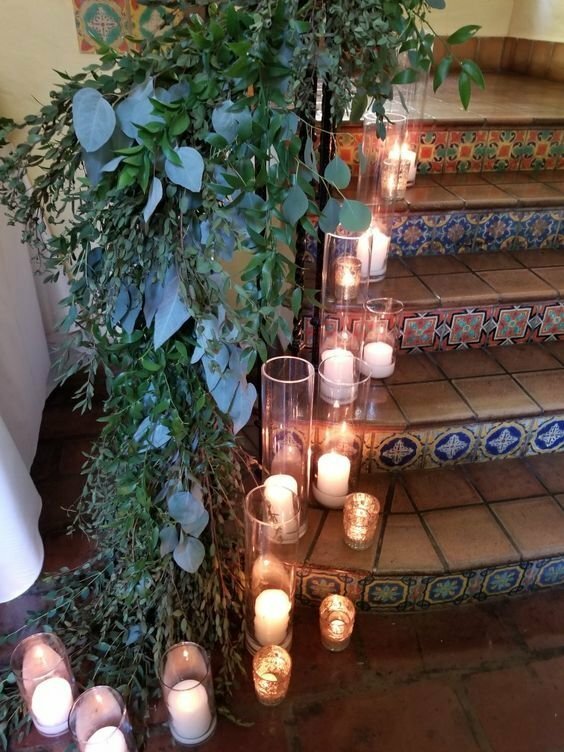 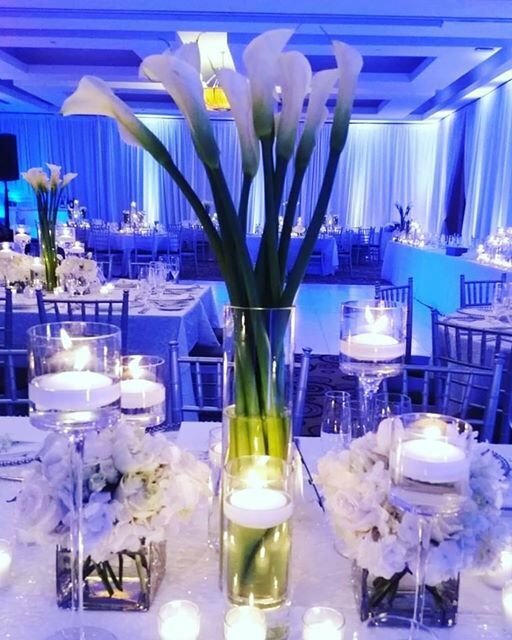 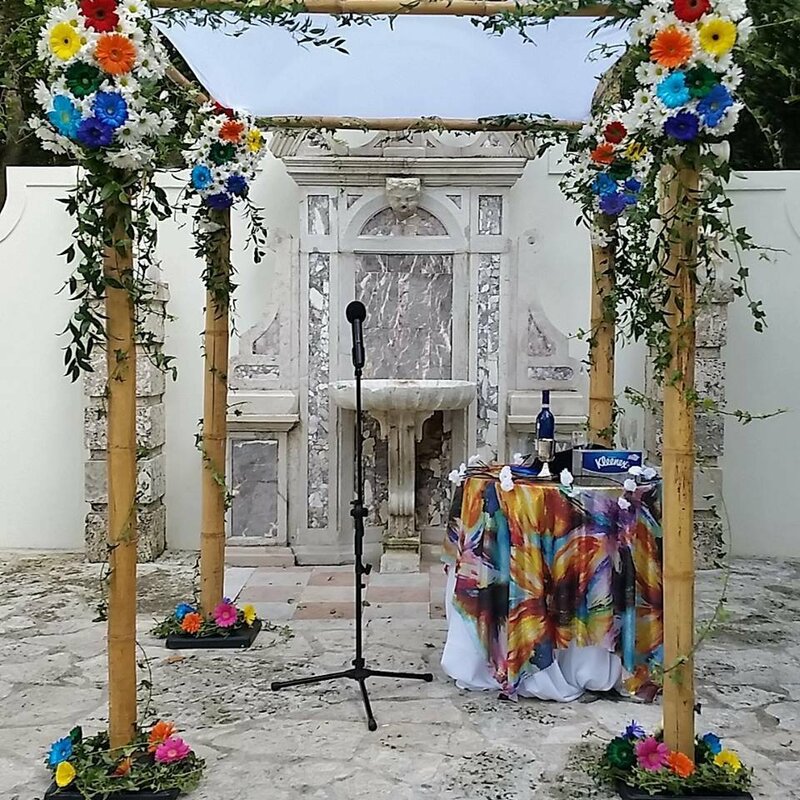 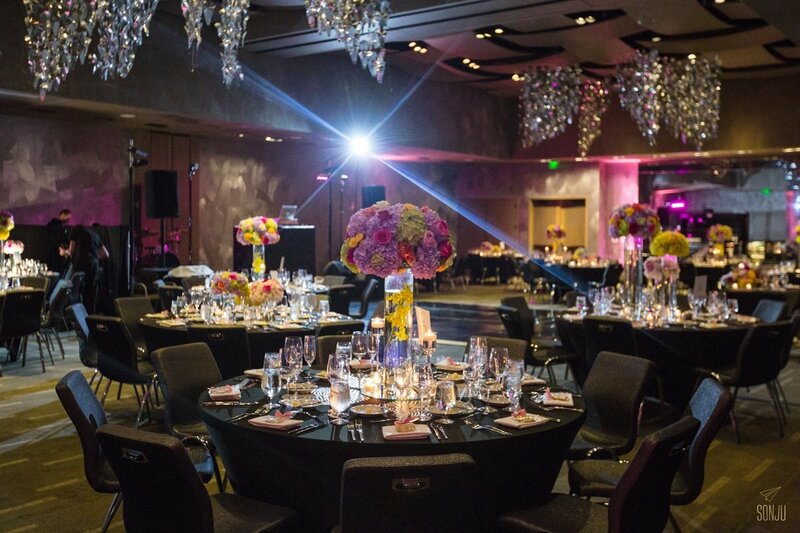 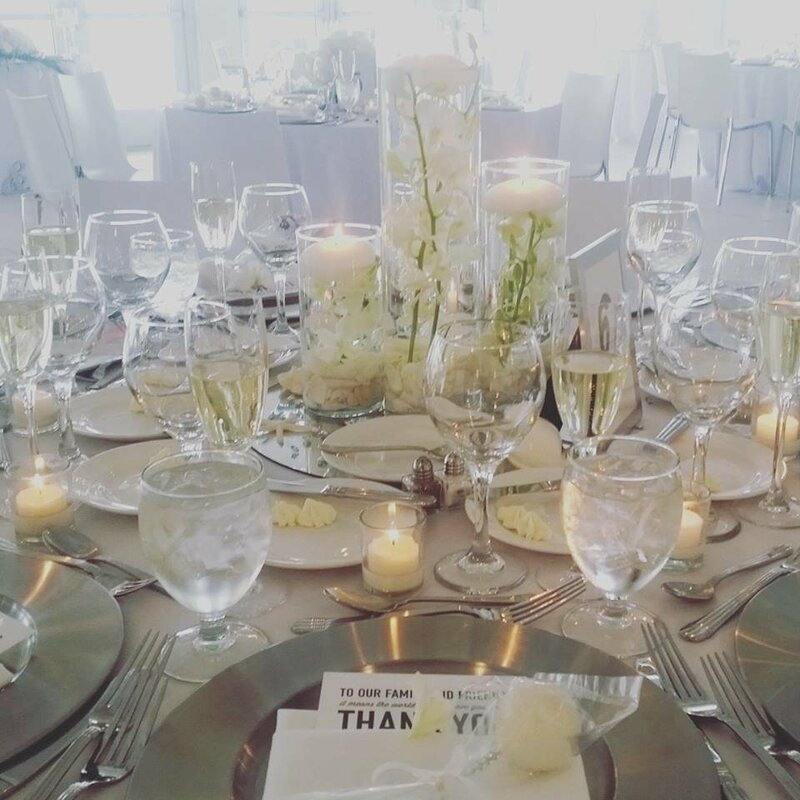 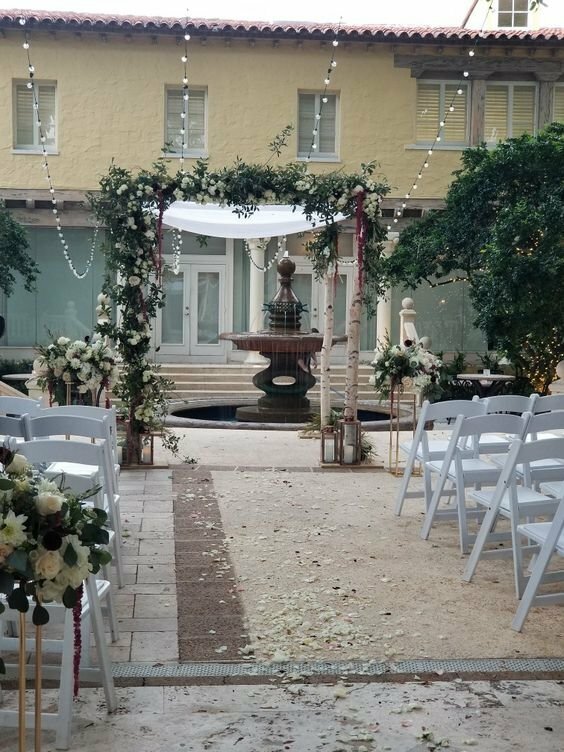 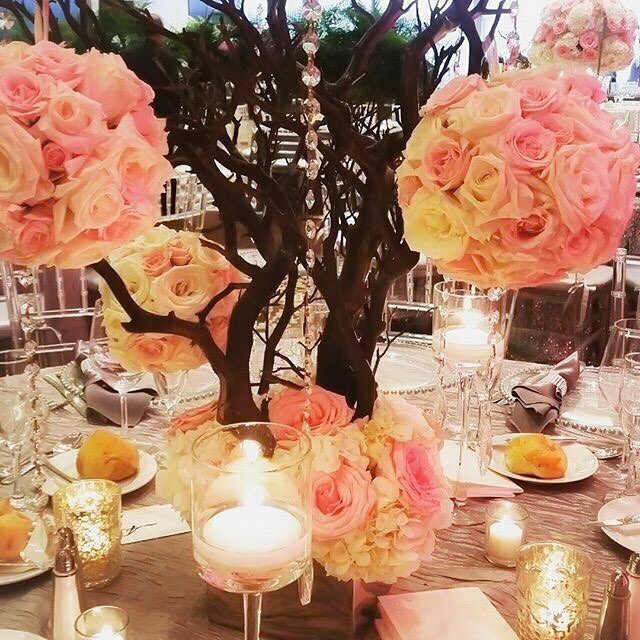 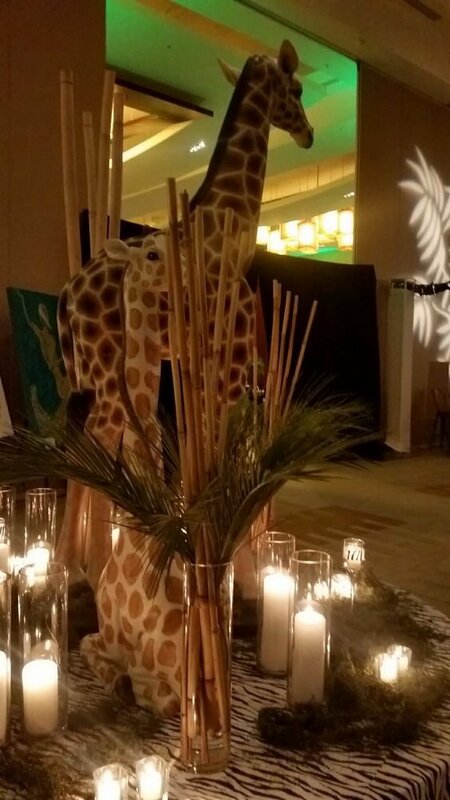 With a background in Accounting from St. John’s University CO96, I’ve used my knowledge wisely, working in the Private Banking Department of a major Bank in NY and again at a major Hospital in Miami in the Finance Department, before taking the dive full time into this wonderful world of event design! 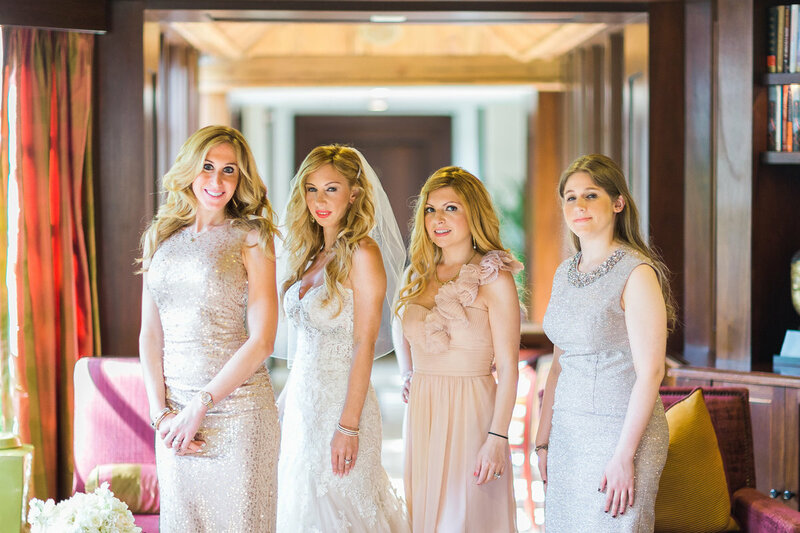 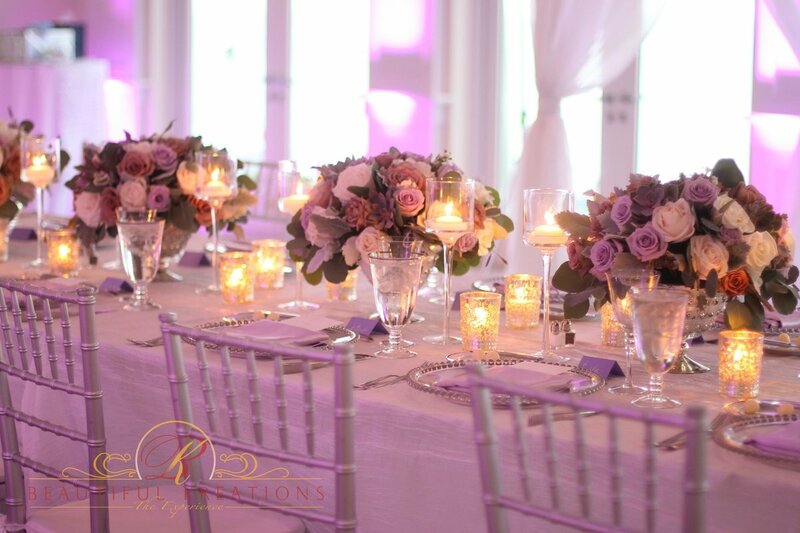 Since launching Beautiful Kreations in 2005, we have celebrated with over 700 bridal and corporate clients. 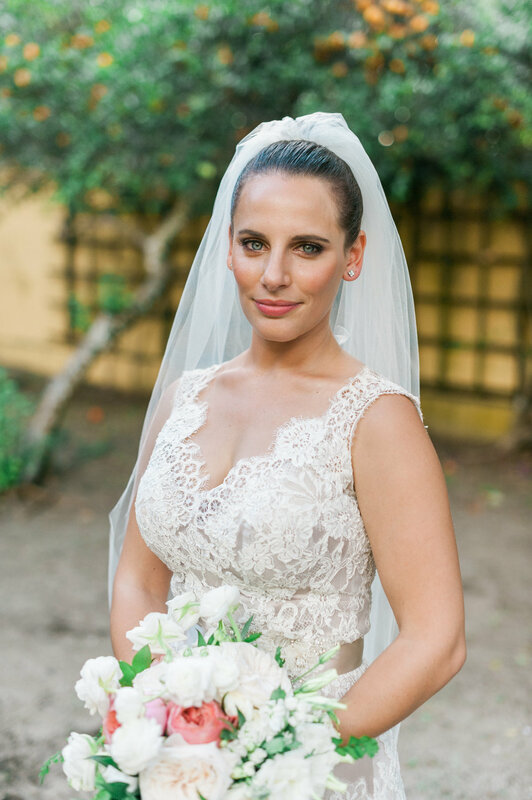 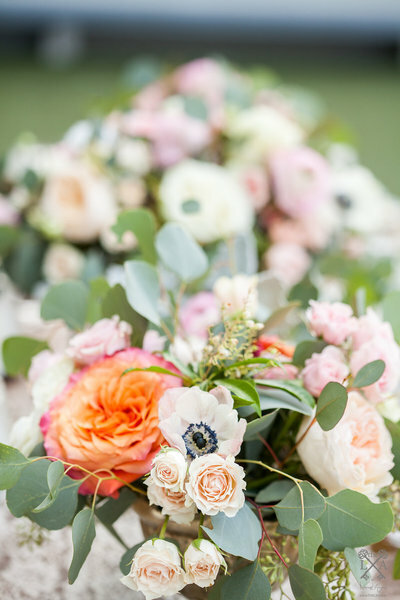 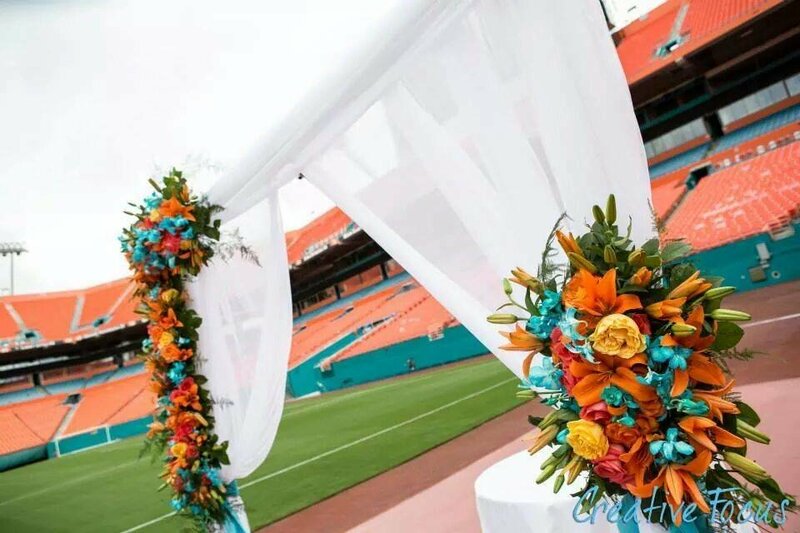 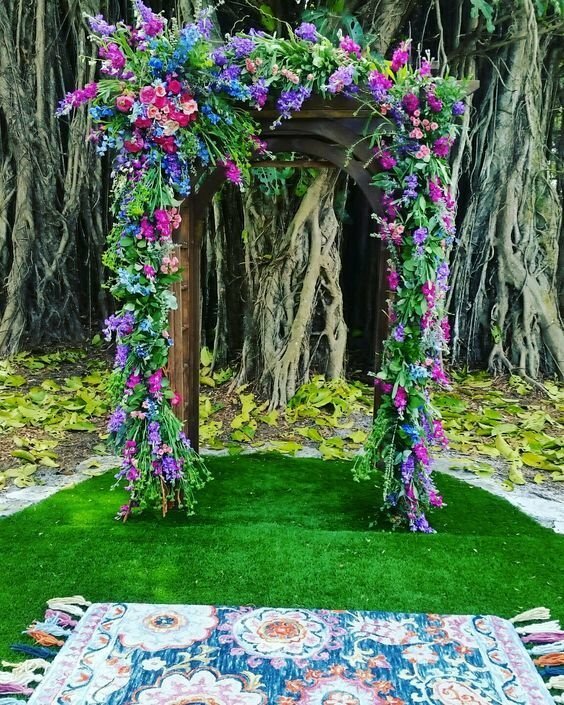 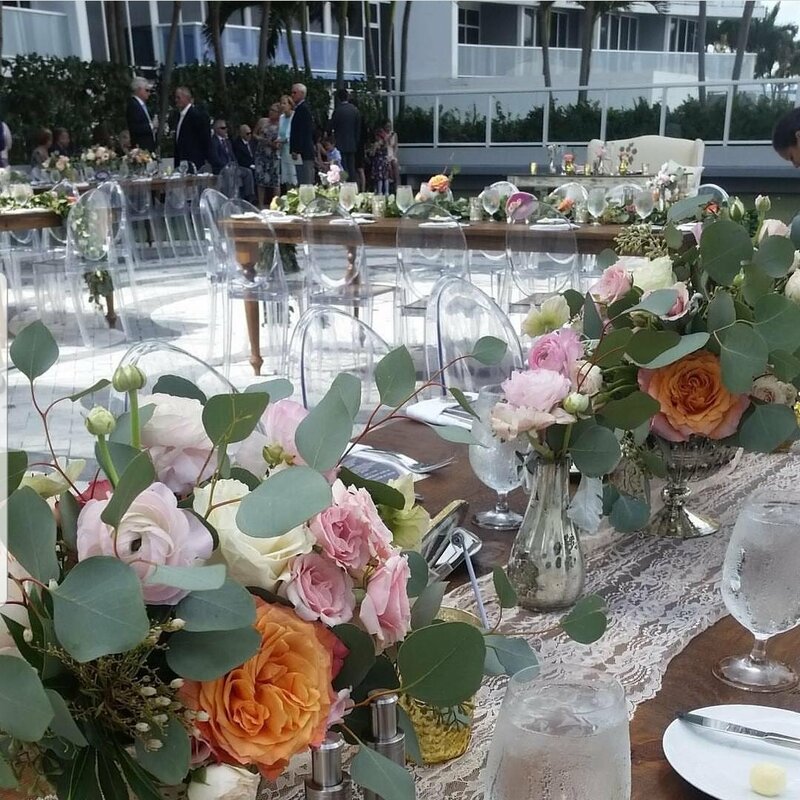 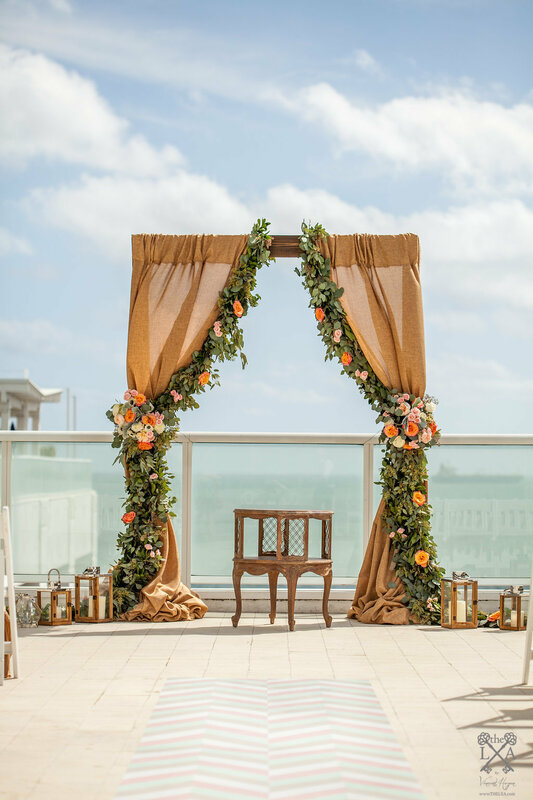 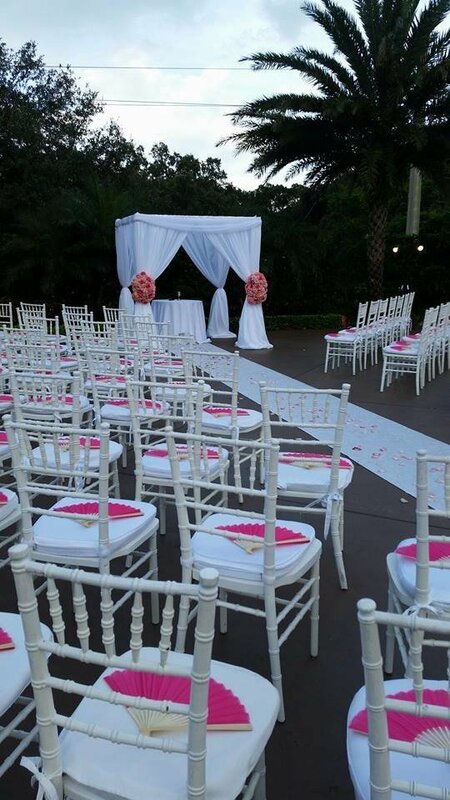 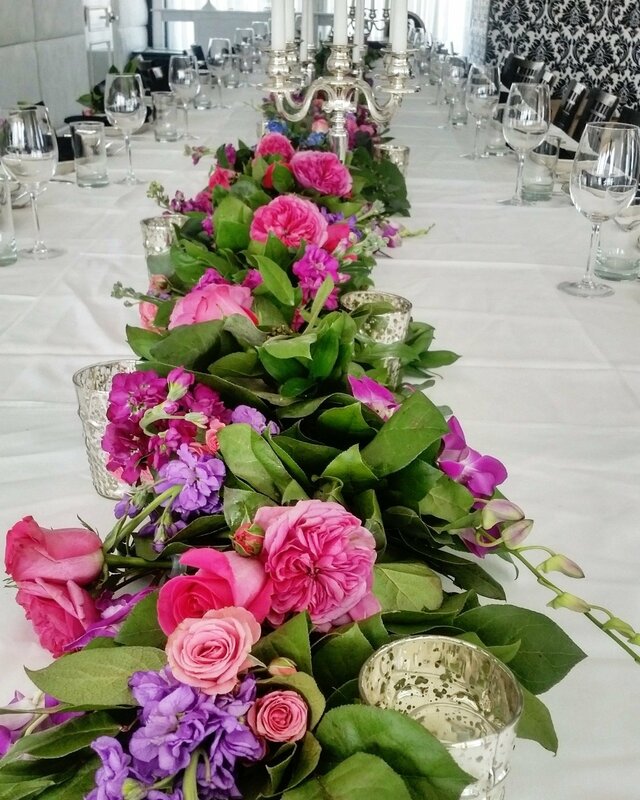 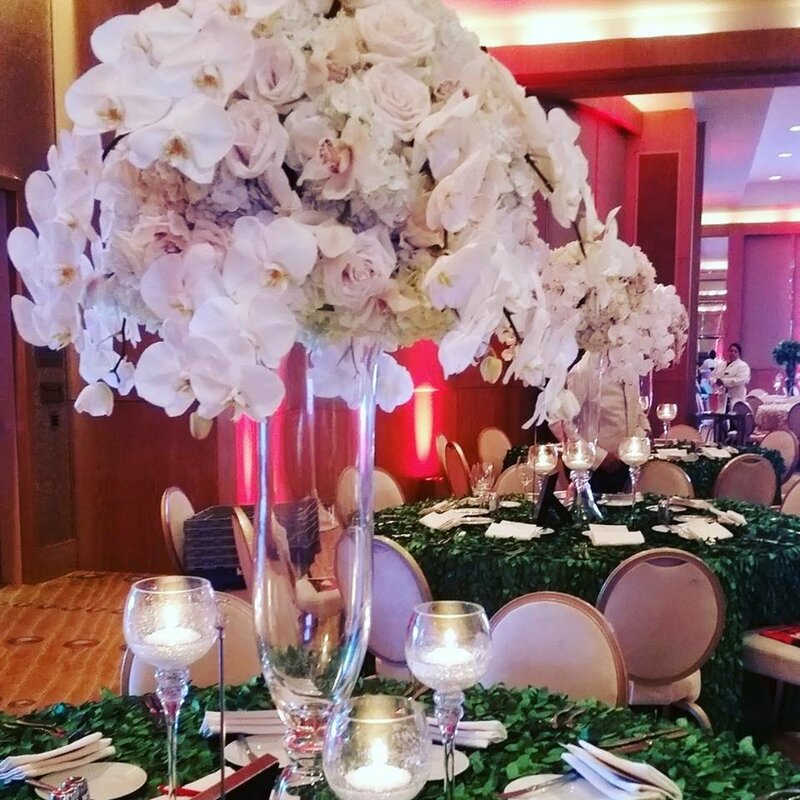 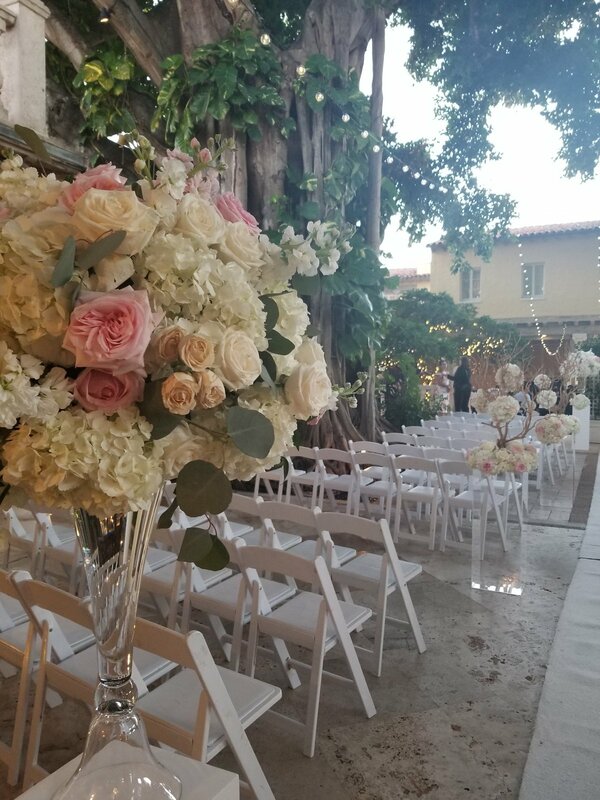 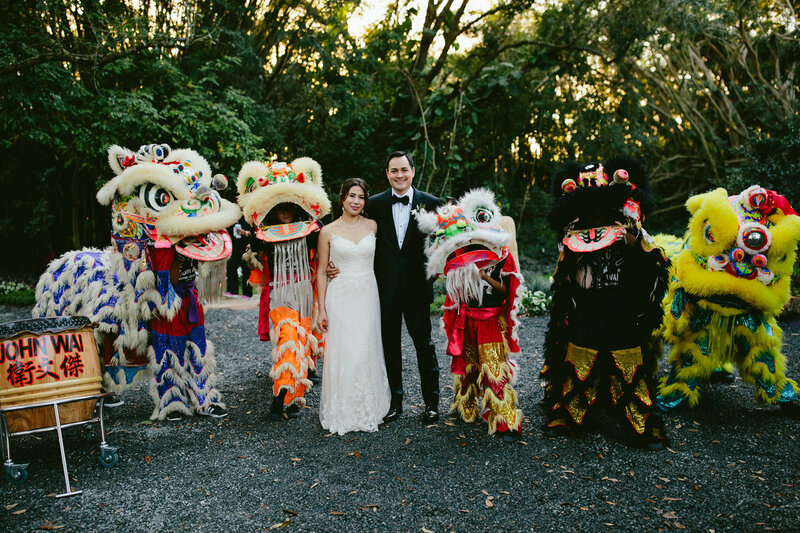 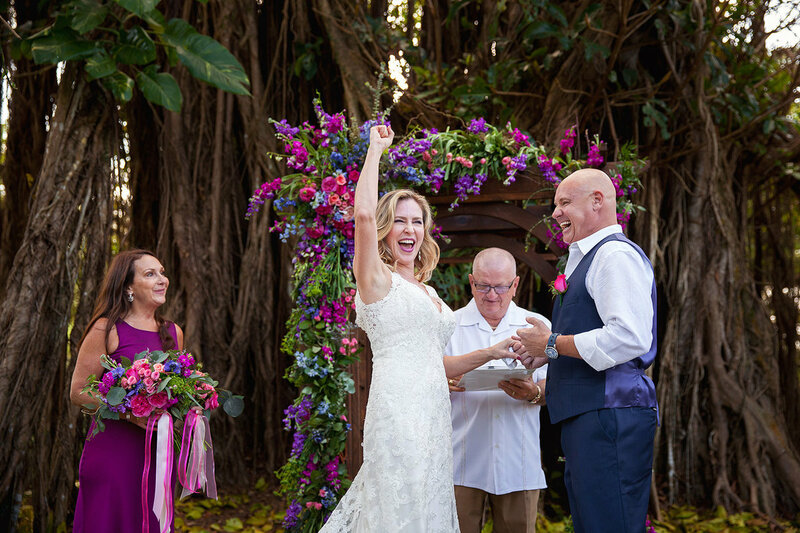 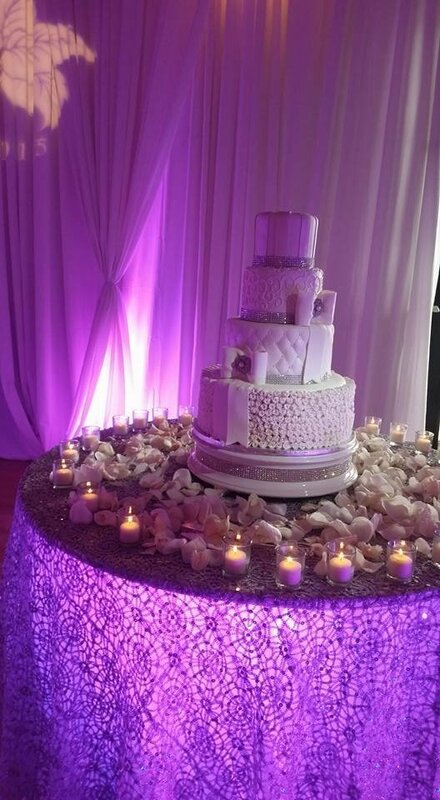 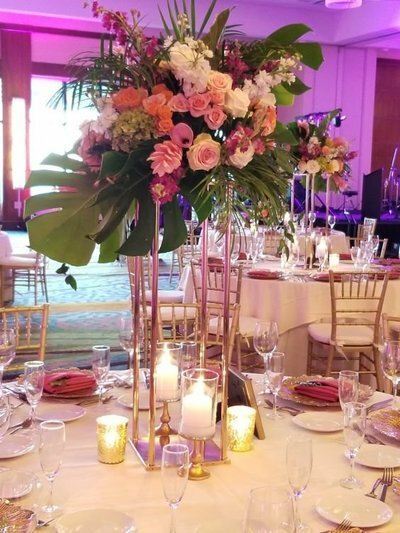 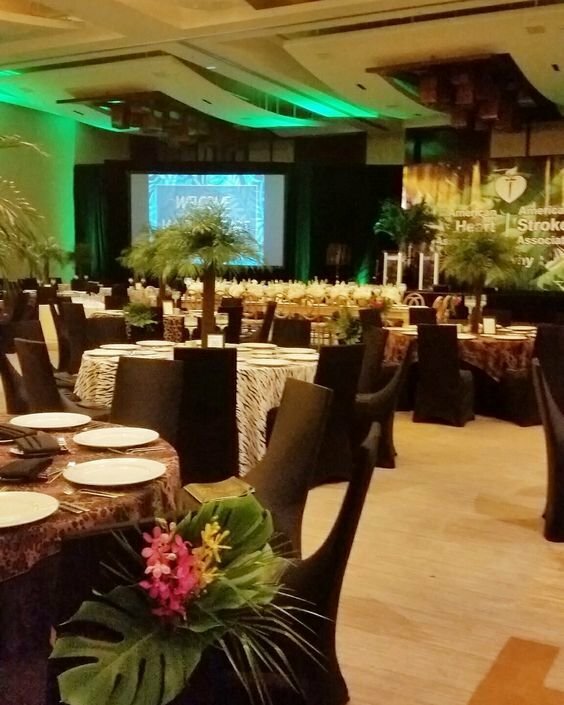 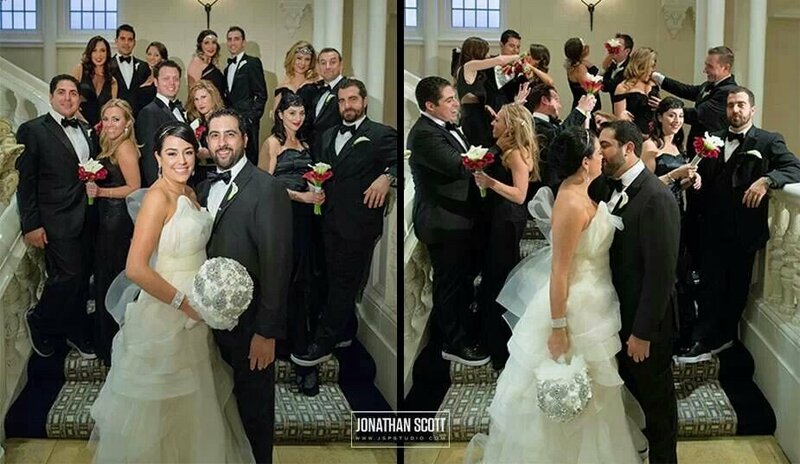 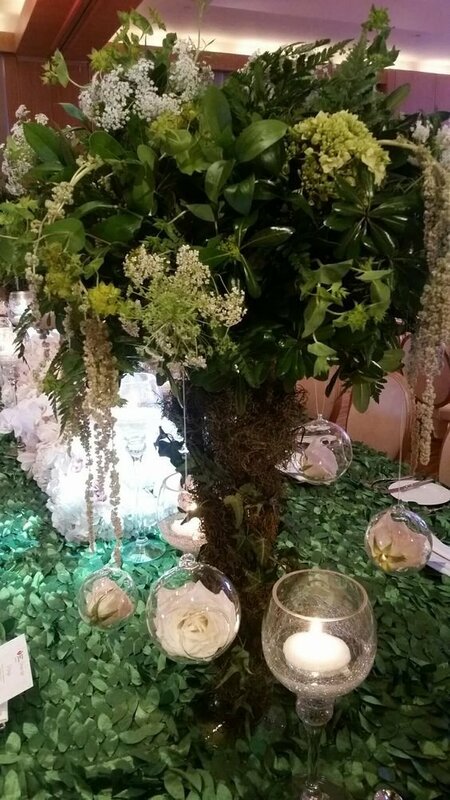 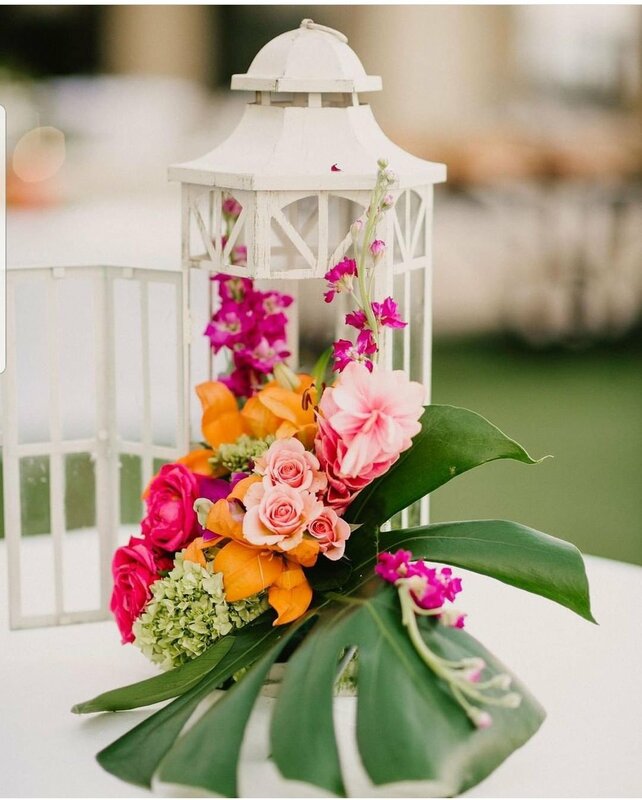 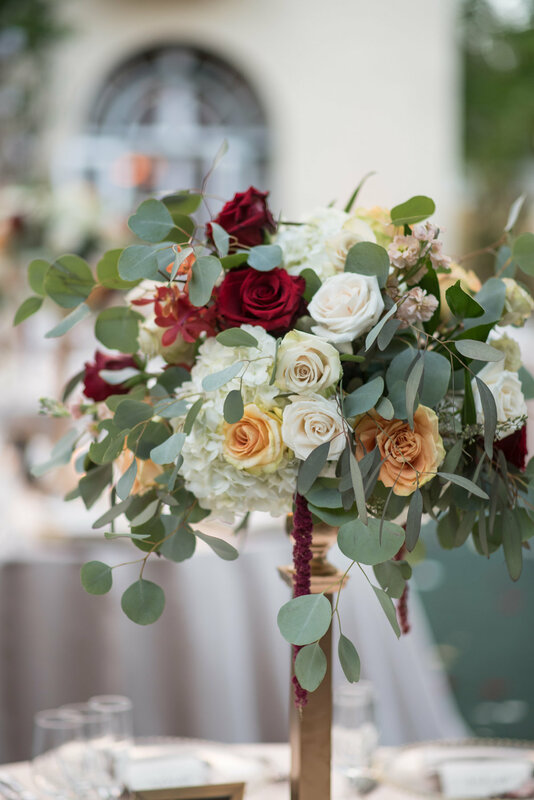 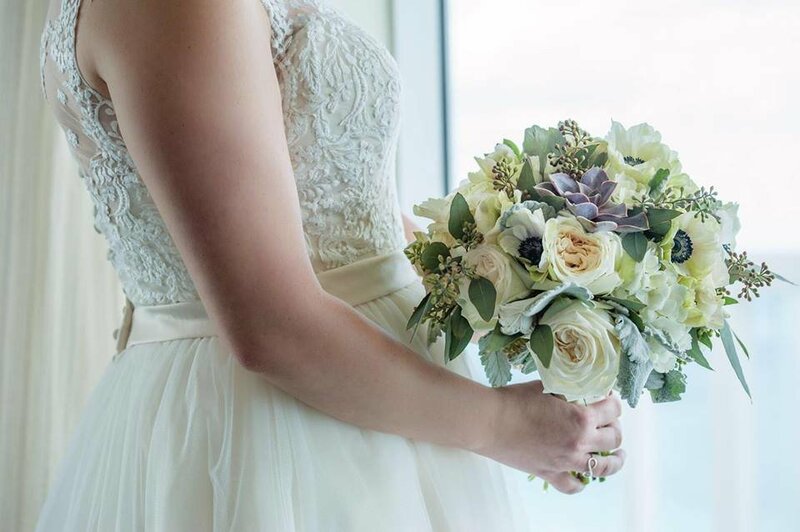 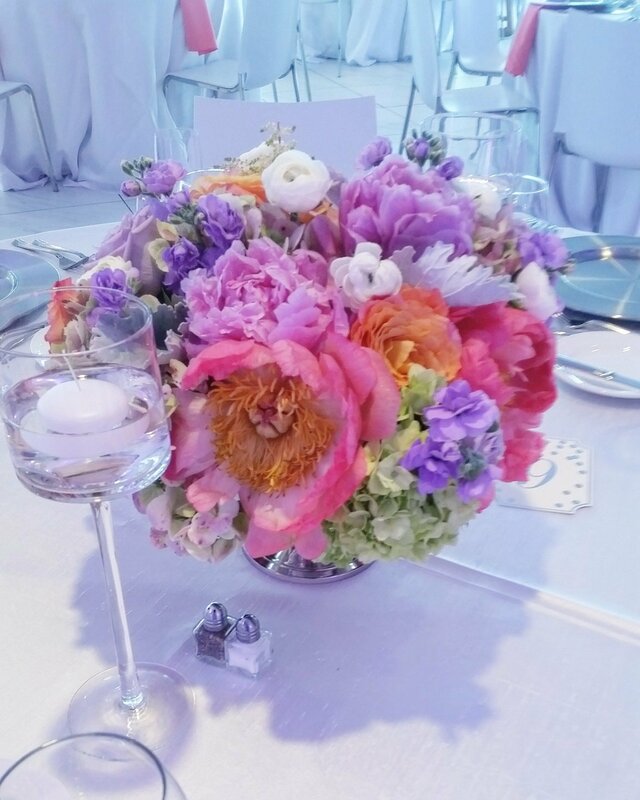 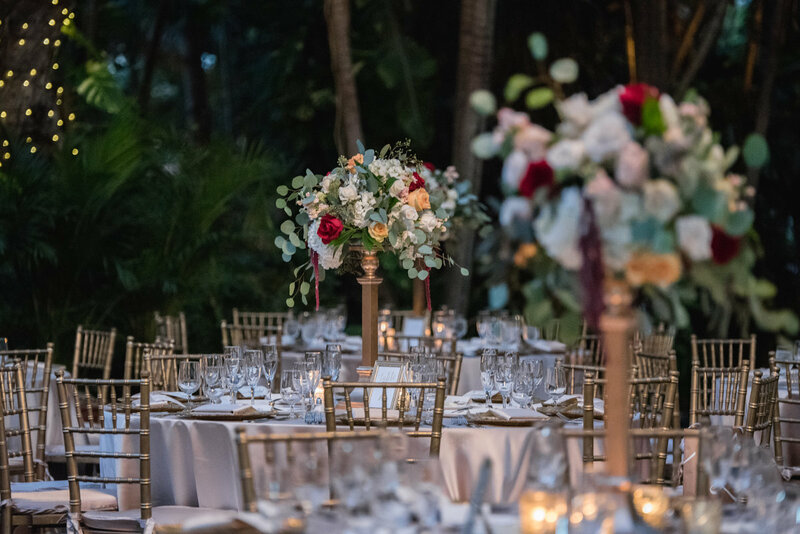 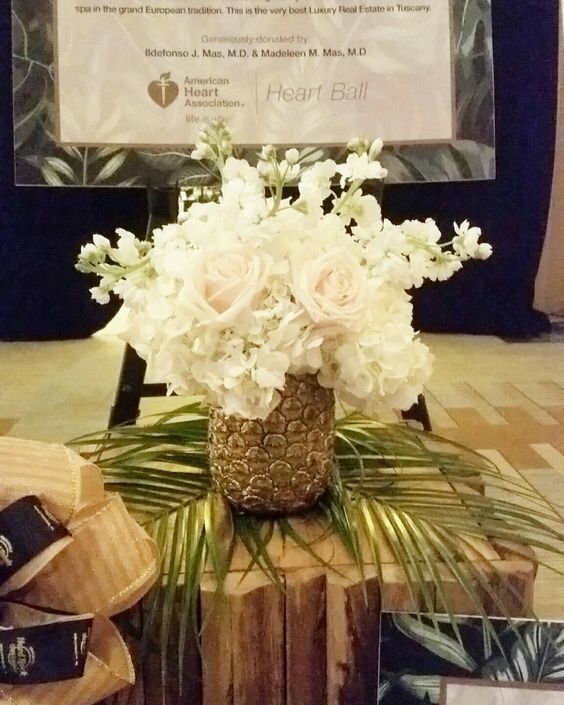 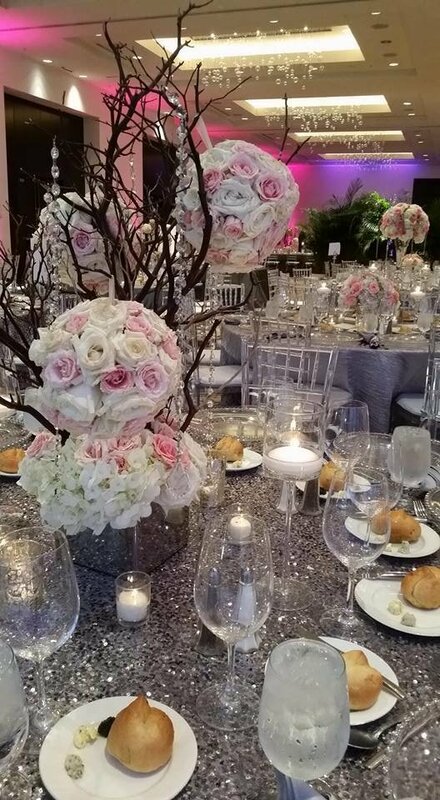 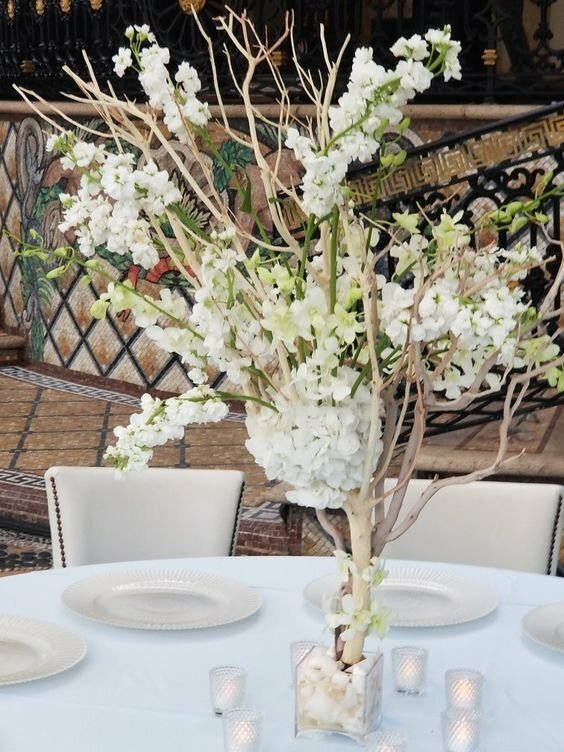 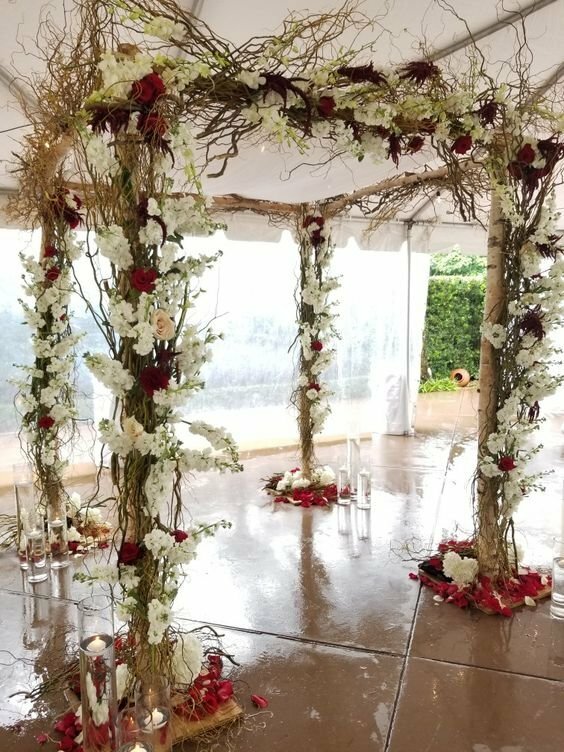 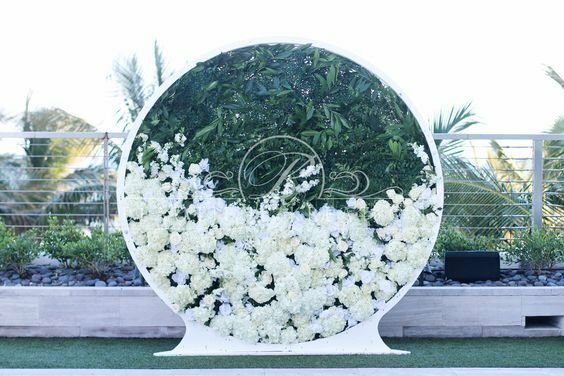 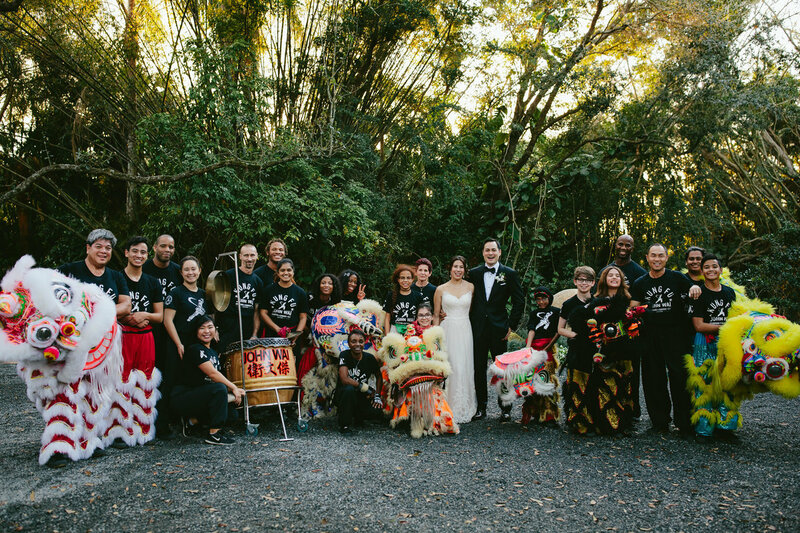 Some of our famous celebs include the 2007 and 2010 SuperBowls as event tailgate floral designers; the 2019 wedding of Rainey Gaffin to NFL Offensive Lineman Ja'Wuan James, Cruise Port Rotterdam and floral designers for the American Heart Association South Florida Chapter. 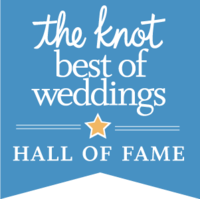 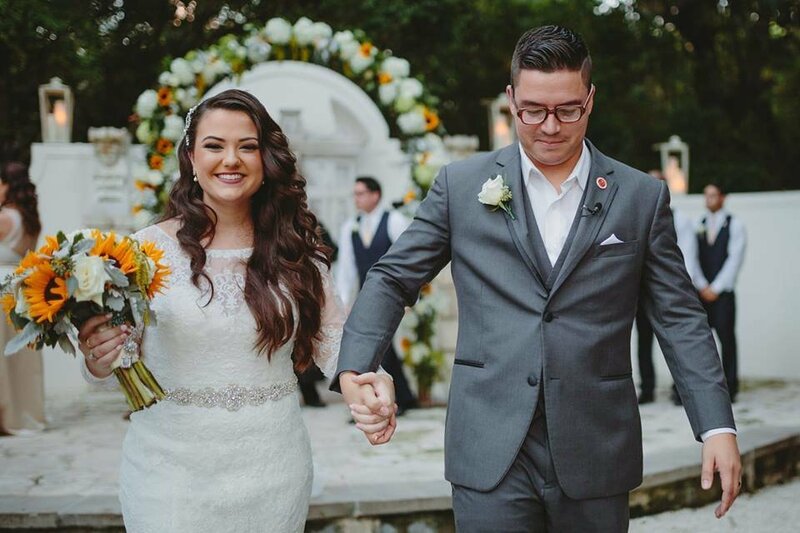 I am equally happy to announce my role as a 2019 The Knot Pro Educator.. mentoring wedding professionals nationally. 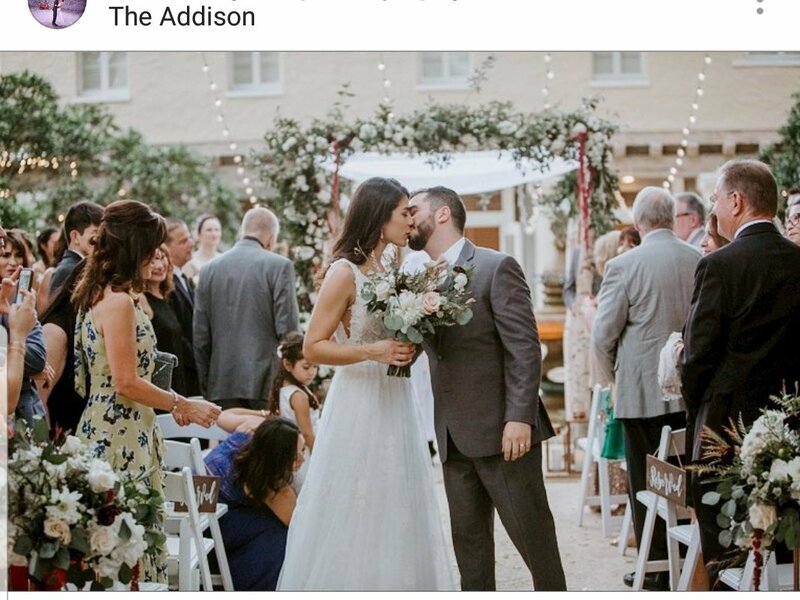 My passion: I get incredibly excited week in week out watching my couples celebrating their love and commitment to each other. 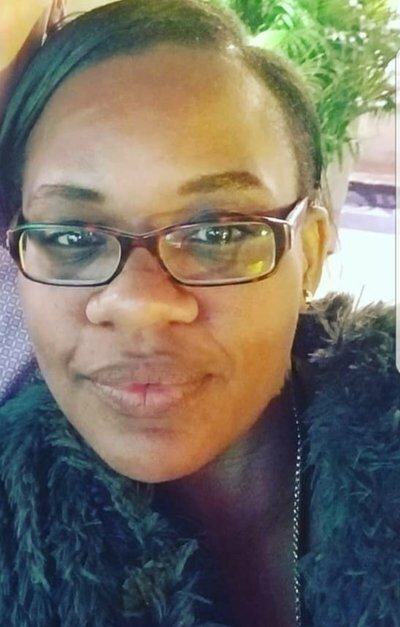 Beverage: Water / Teas / Wray + Nephew White Rum. 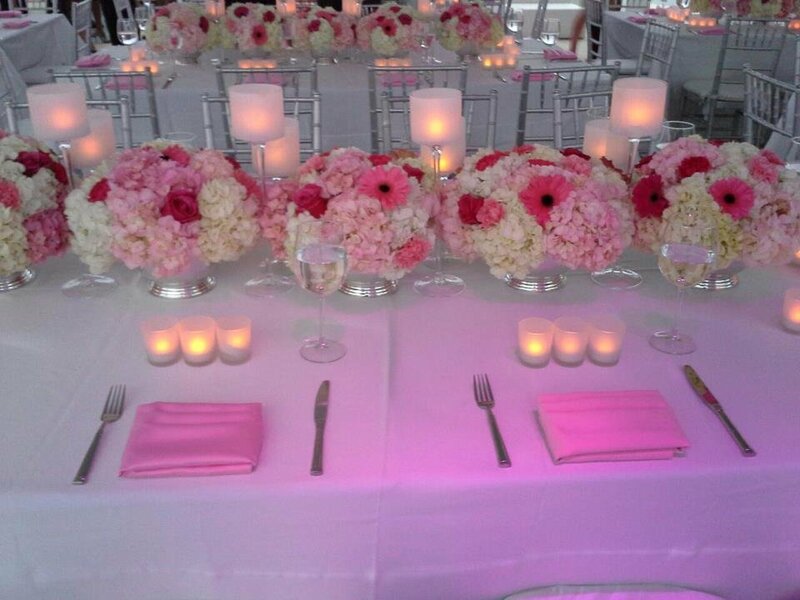 Marcia and her team were amazing!! 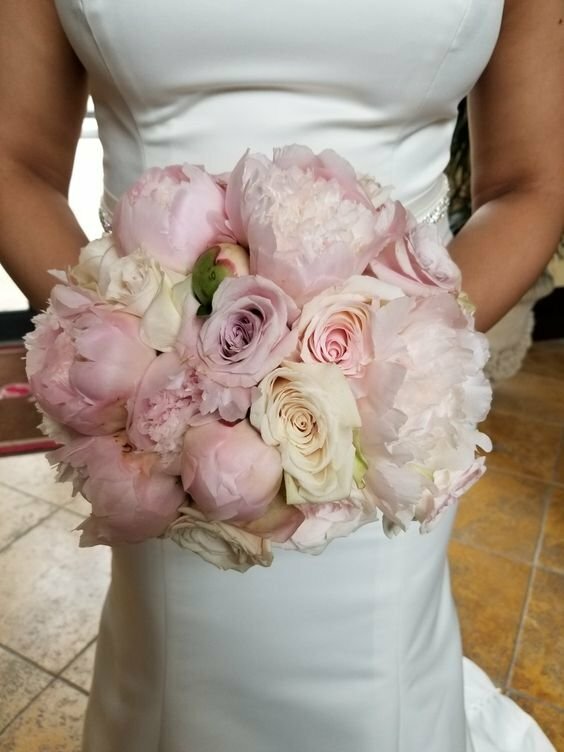 I had to find a florist 2 weeks before my wedding and when I called Marcia and told her the story I had an appointment the next day and my flowers booked with Beautiful Kreations! 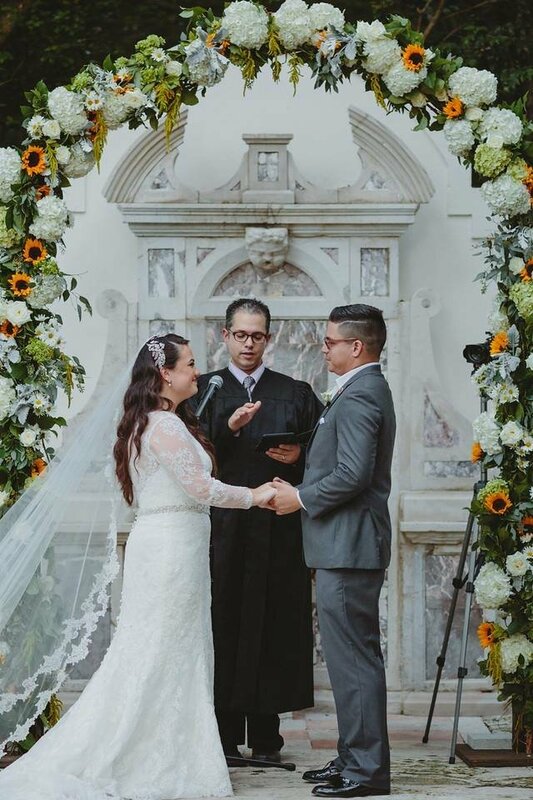 Best decision I ever made!!! 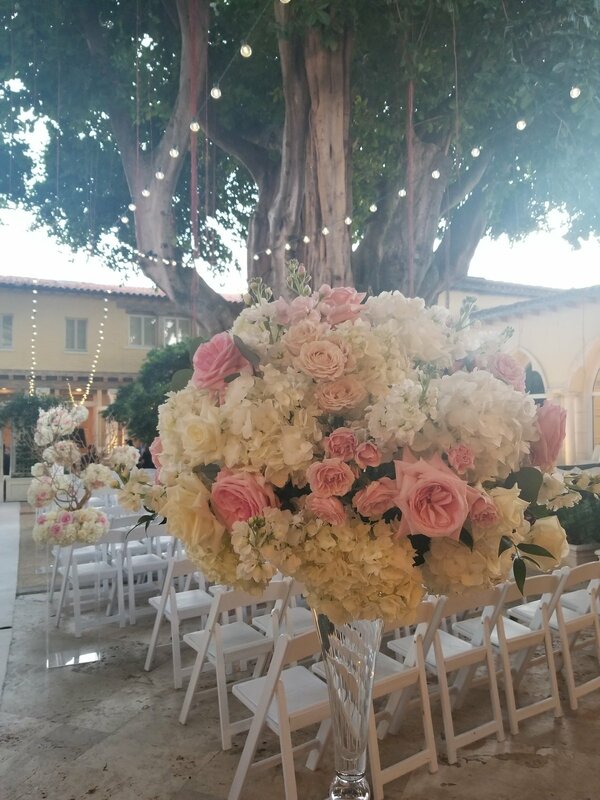 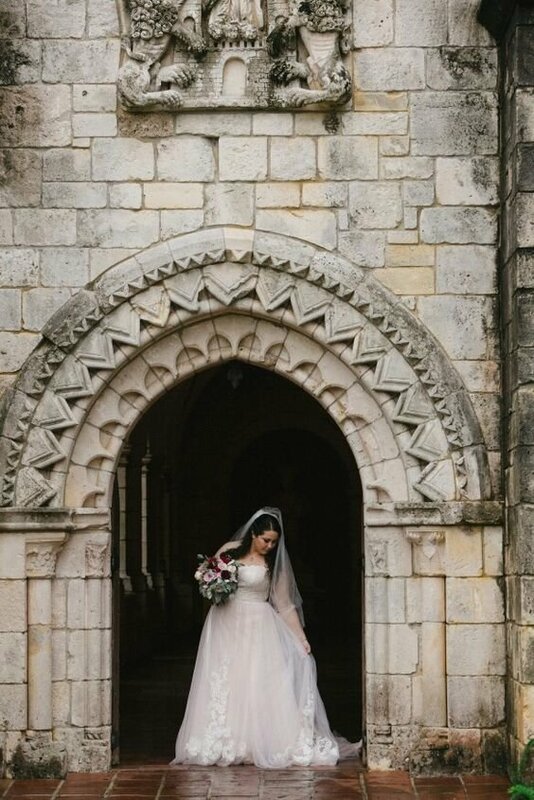 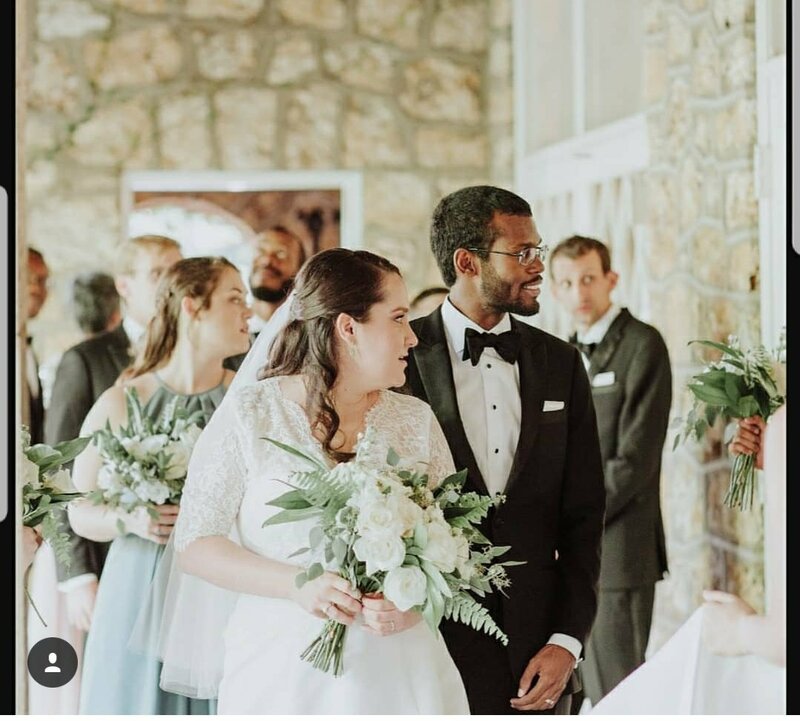 These flowers came out beautiful and I had a dream come true wedding! 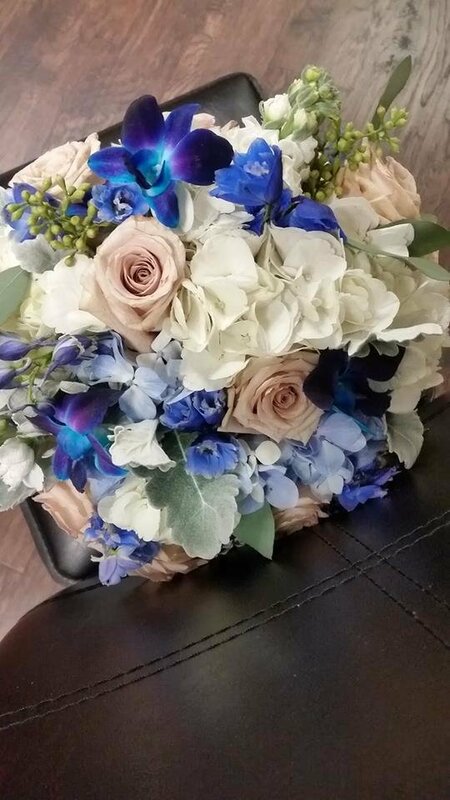 Thank you so much for everything!!! 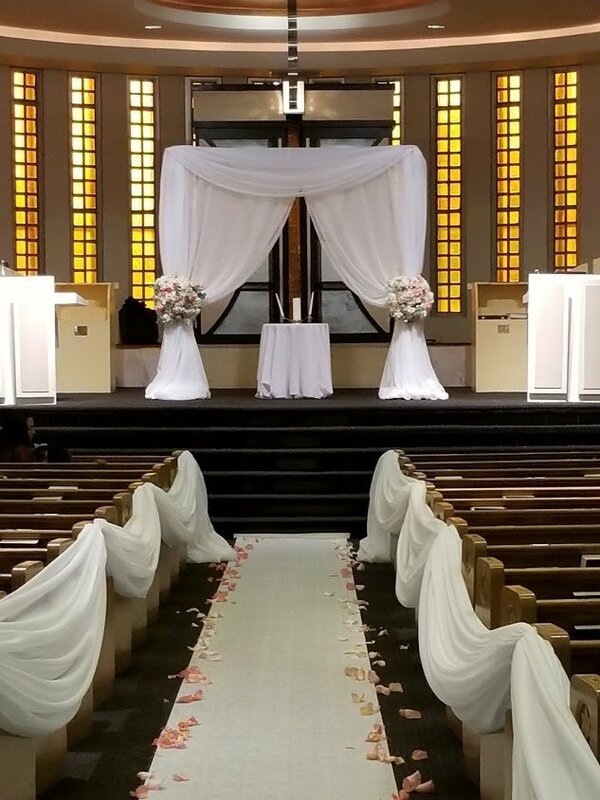 Couldn’t of asked for a better job! 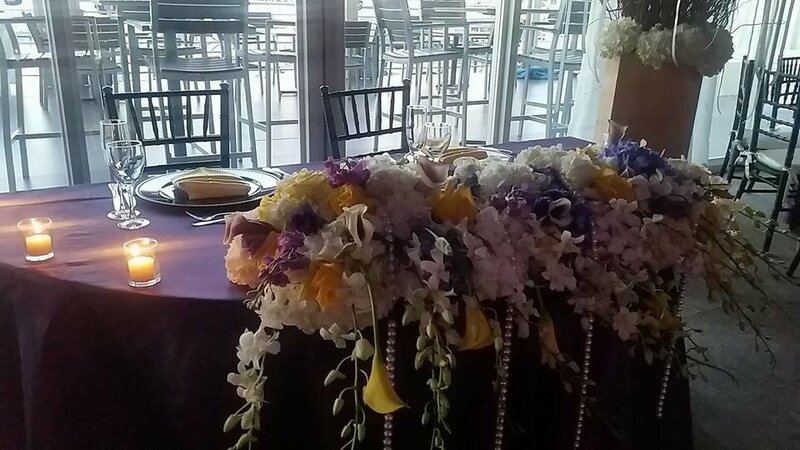 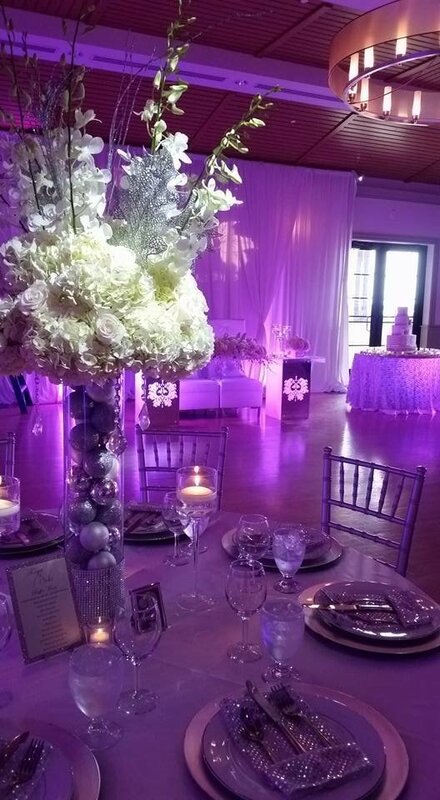 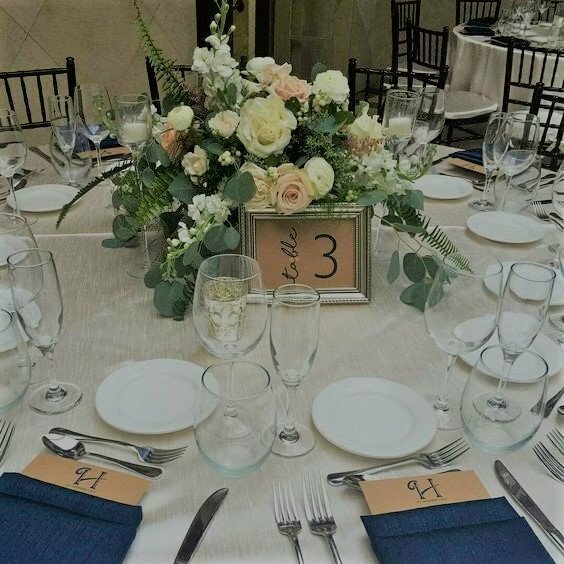 Our wedding was on oct. 14,2017 and beautiful kreations did an outstanding job with our floral decorations for our day!! 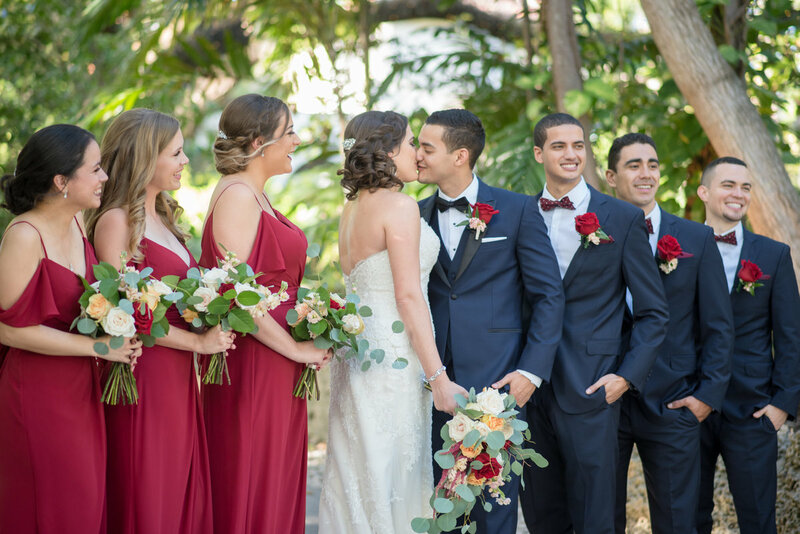 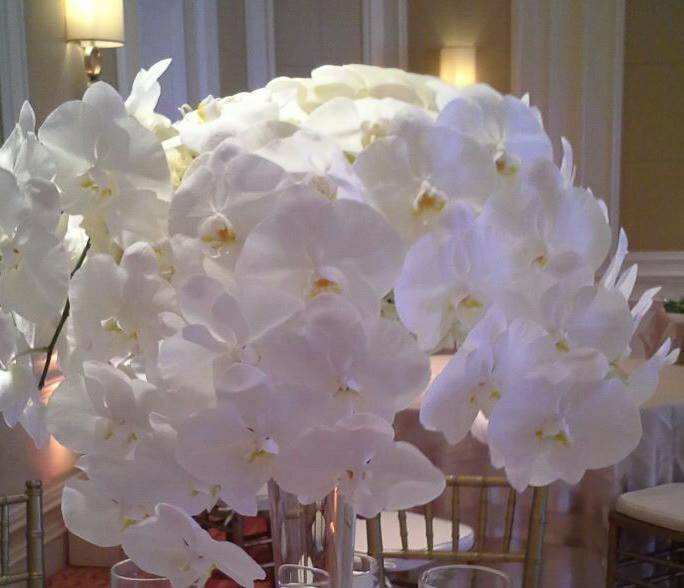 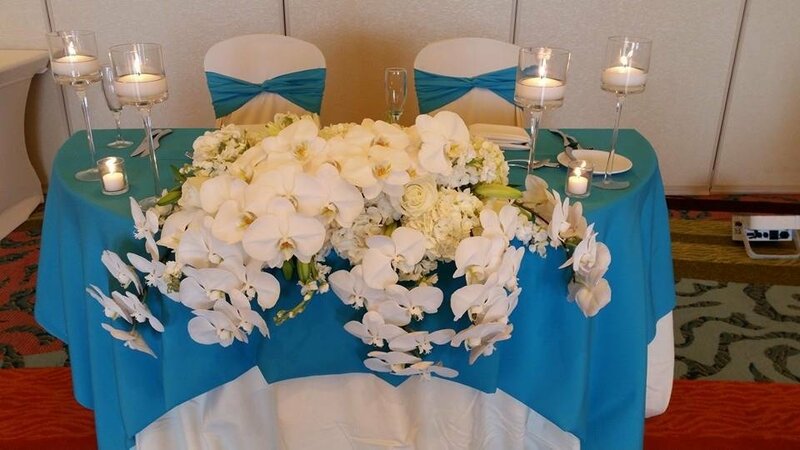 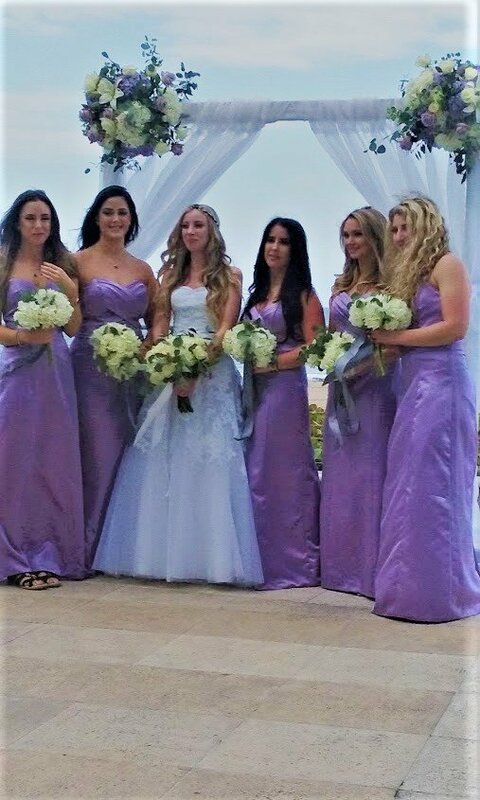 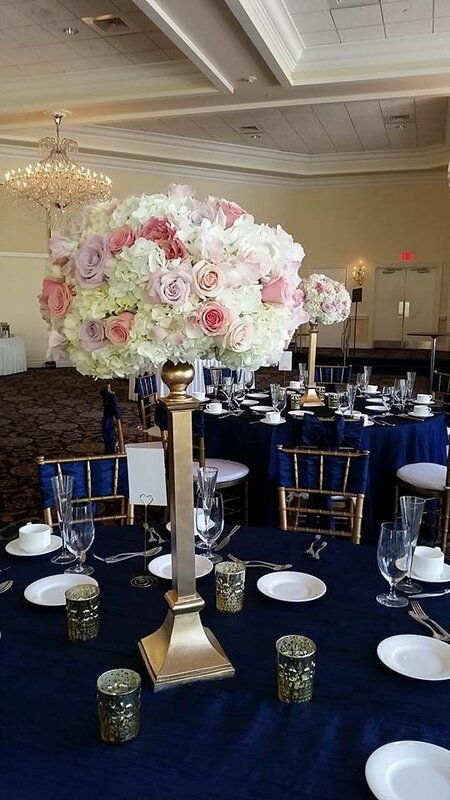 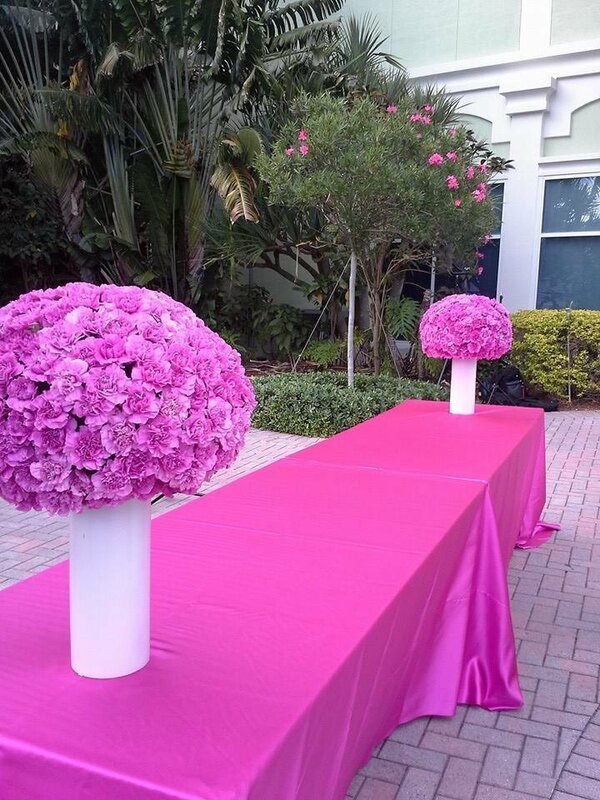 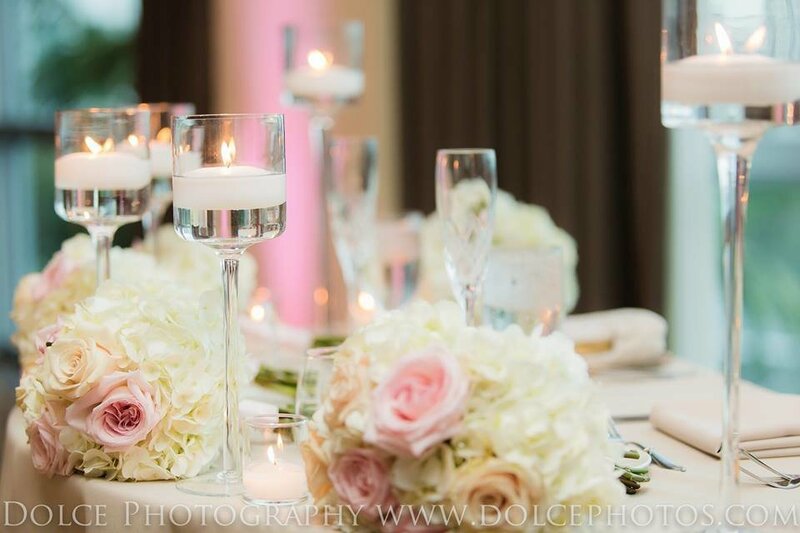 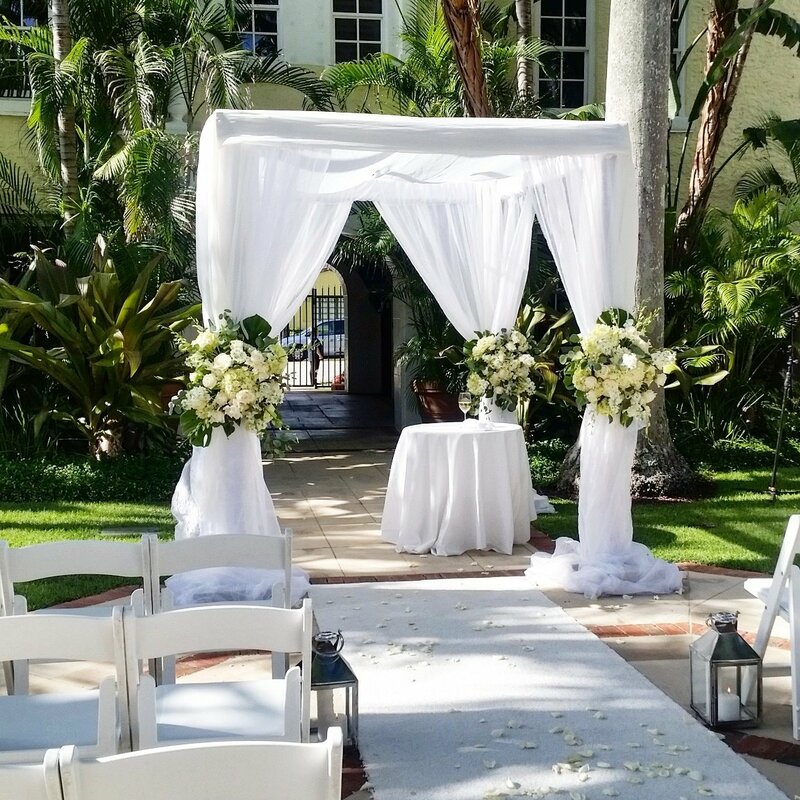 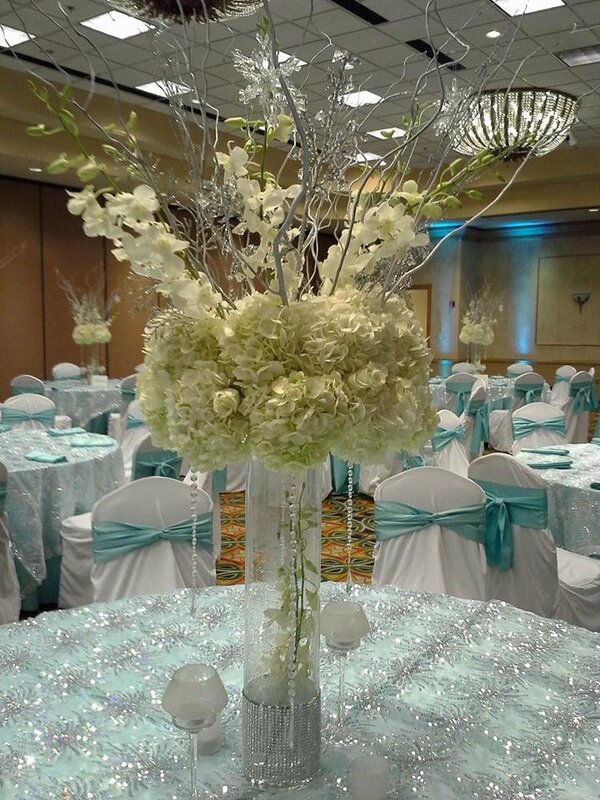 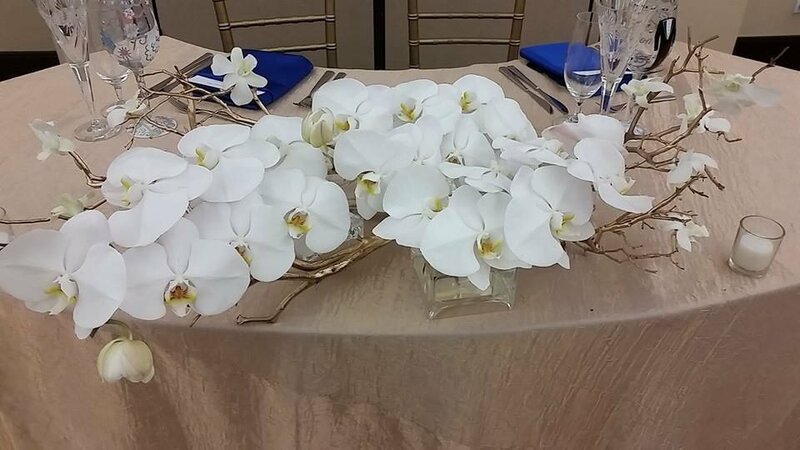 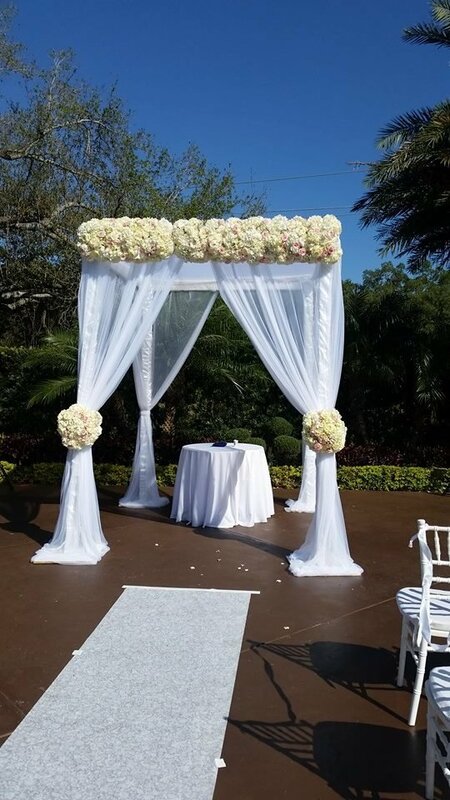 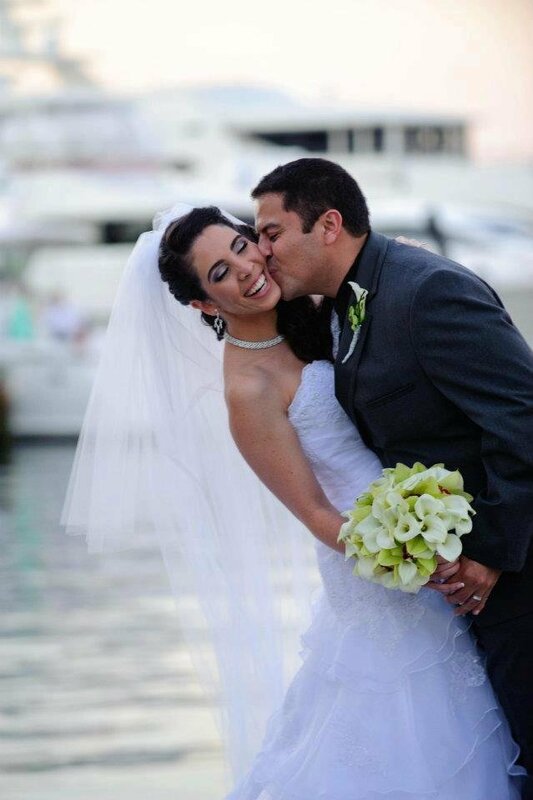 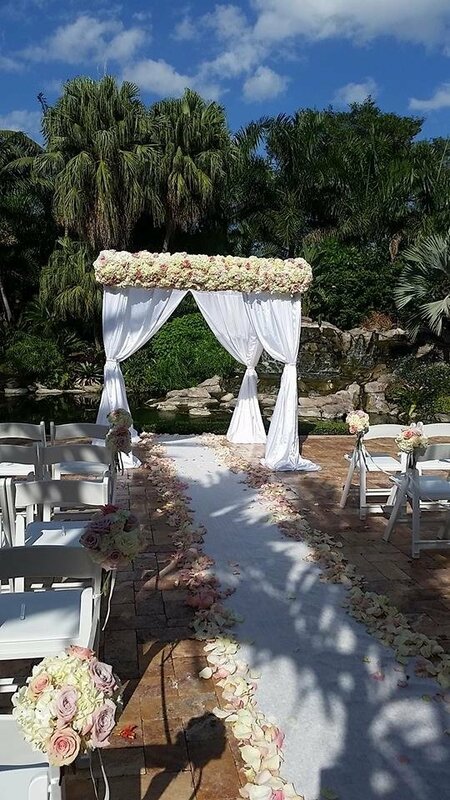 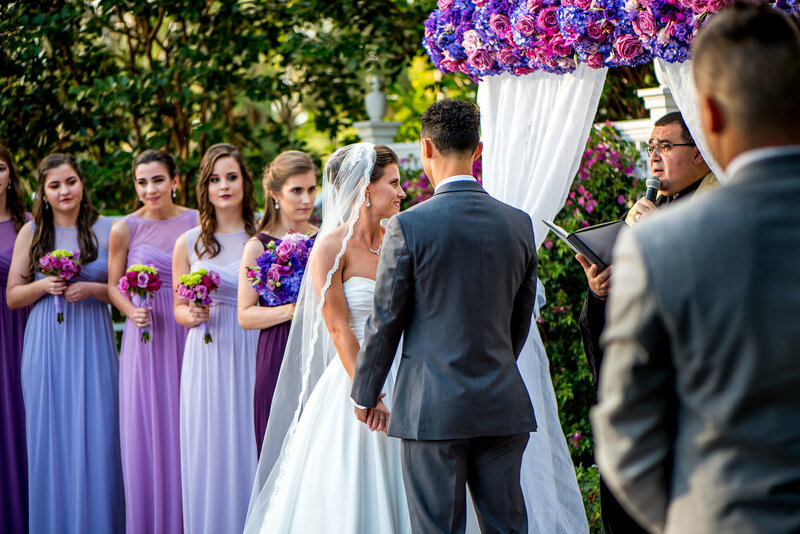 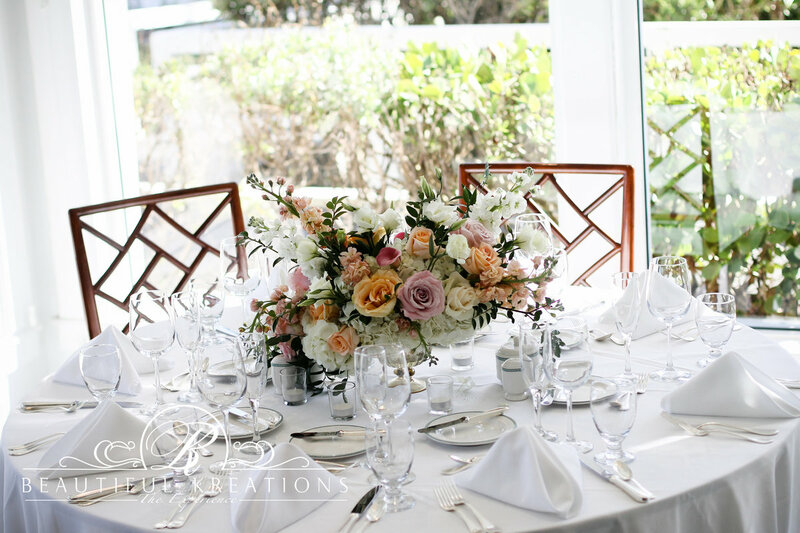 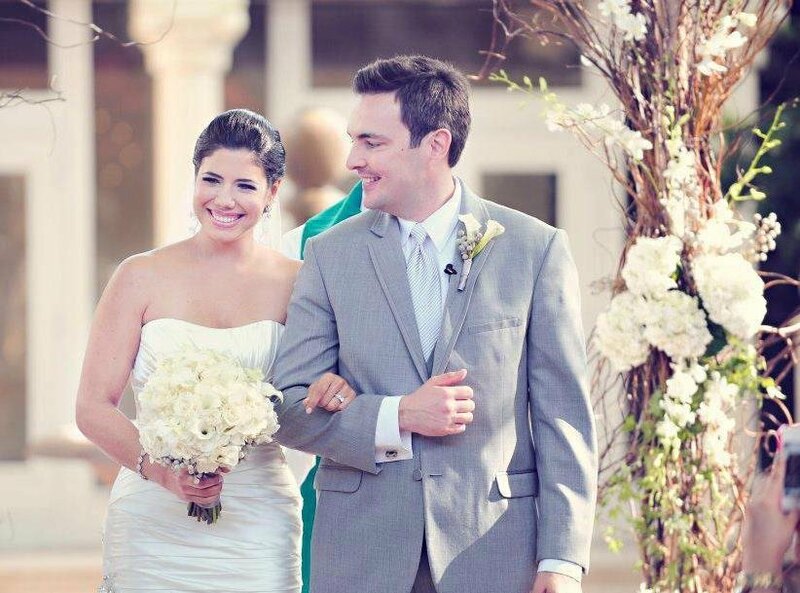 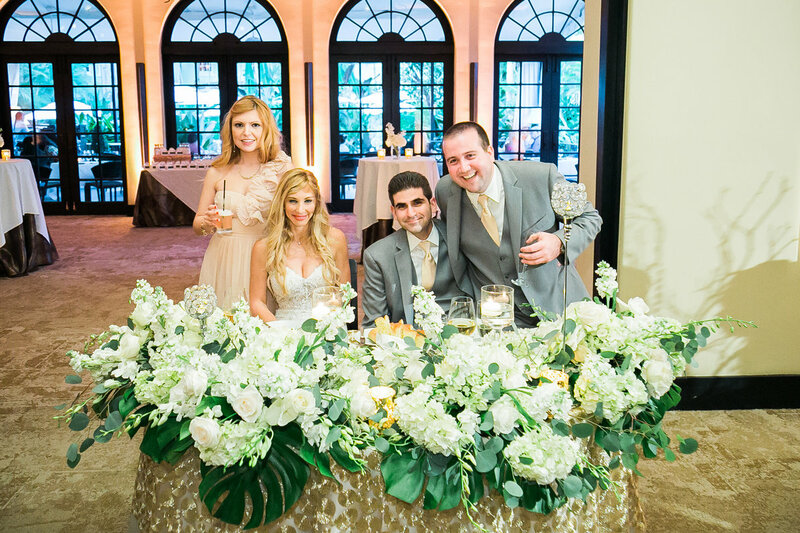 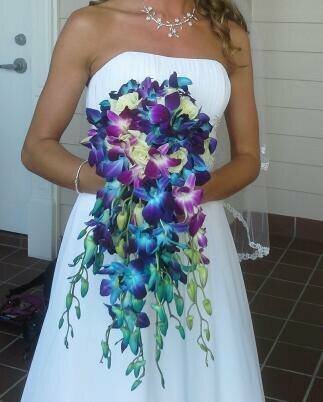 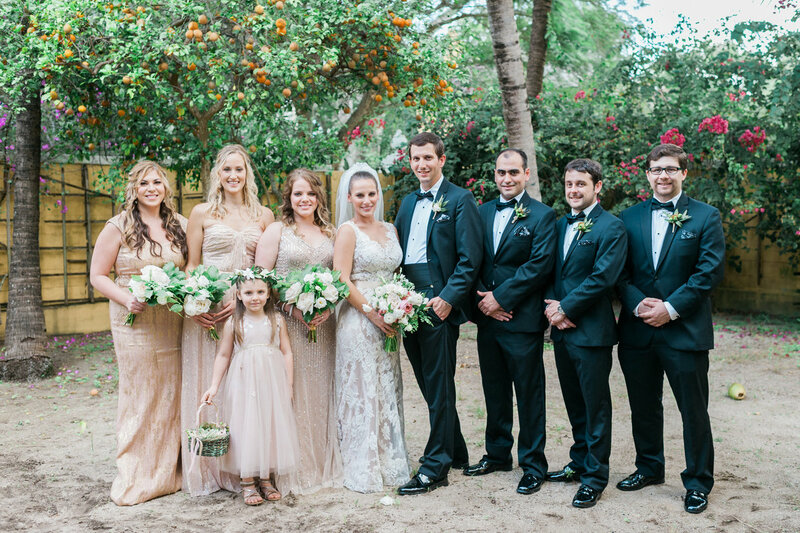 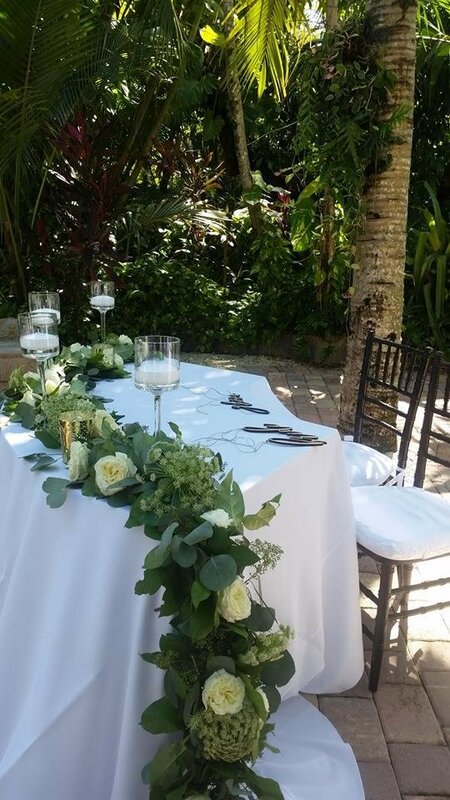 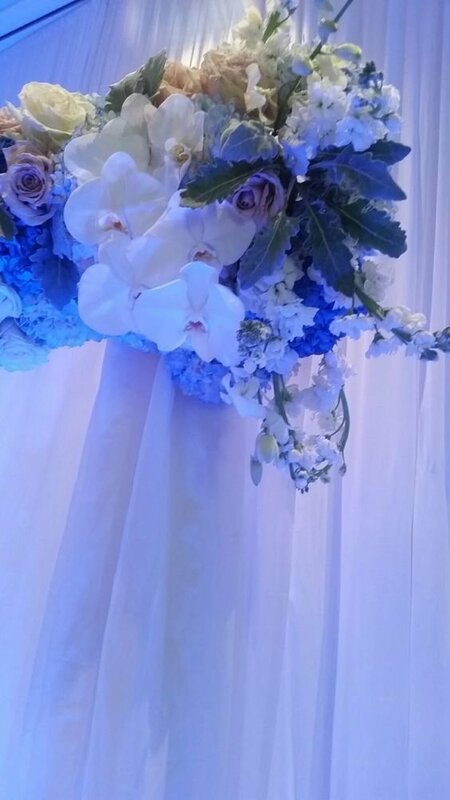 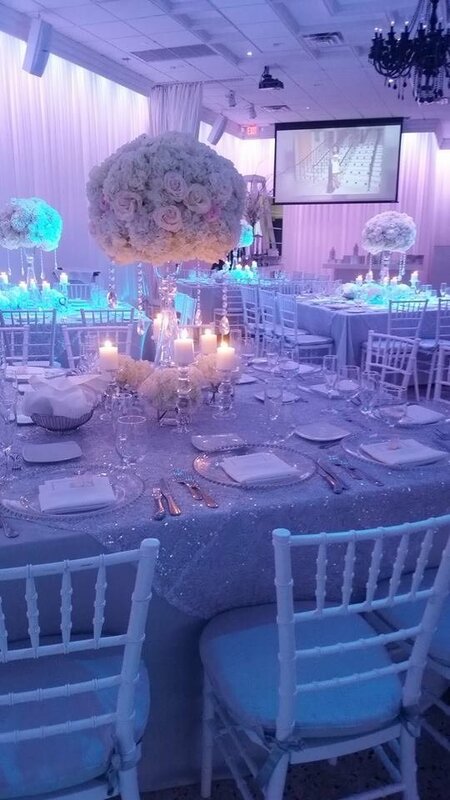 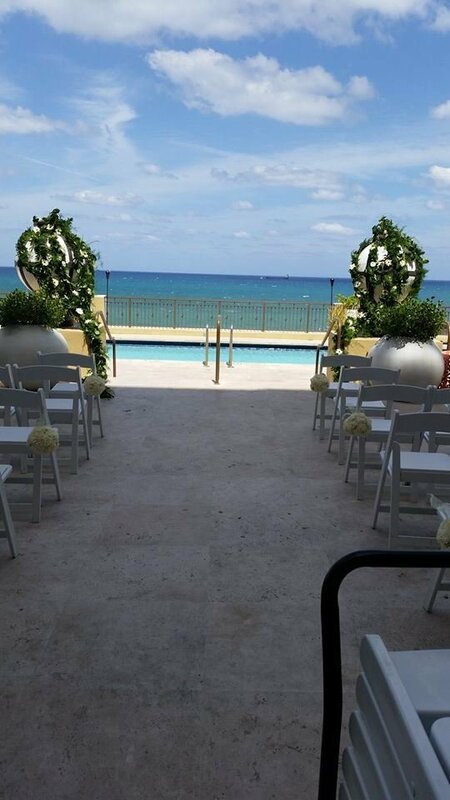 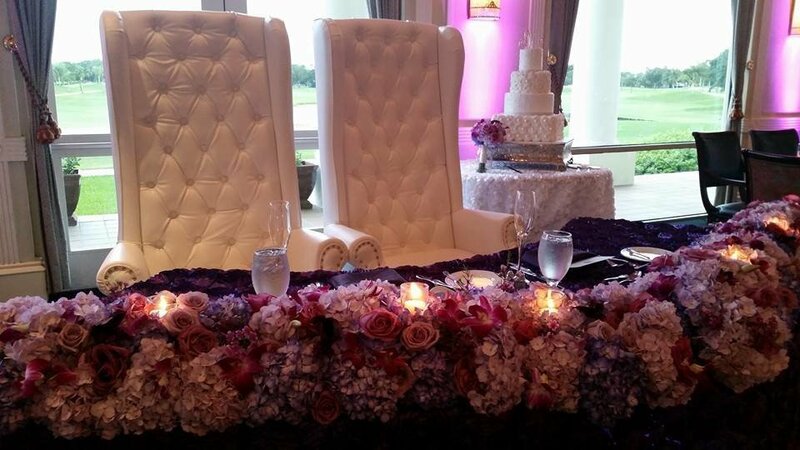 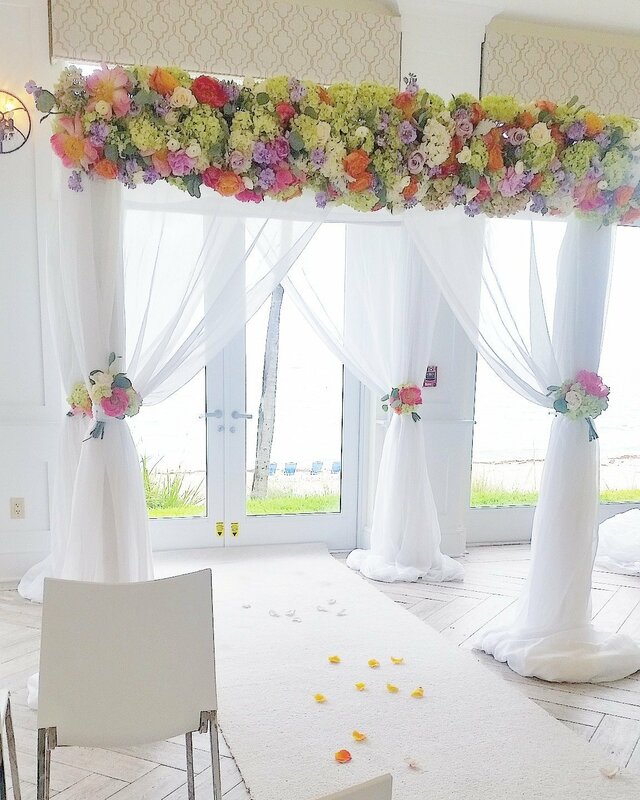 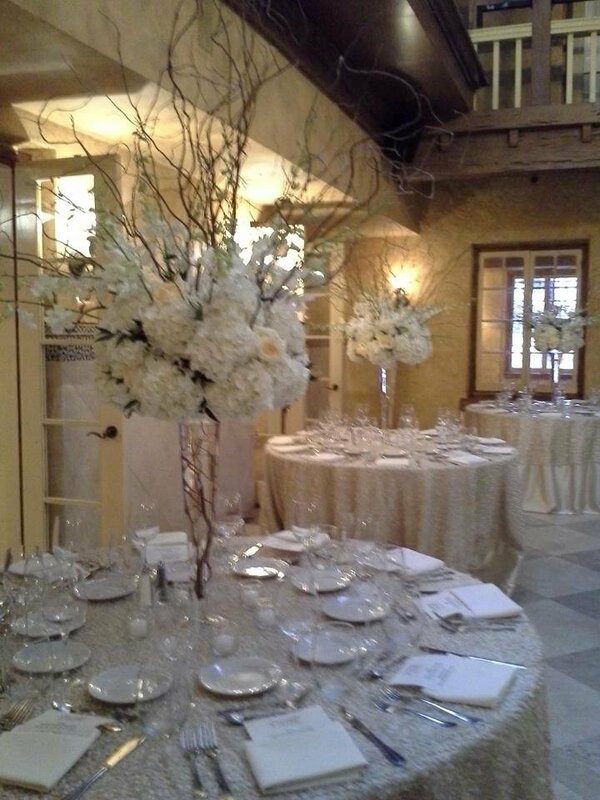 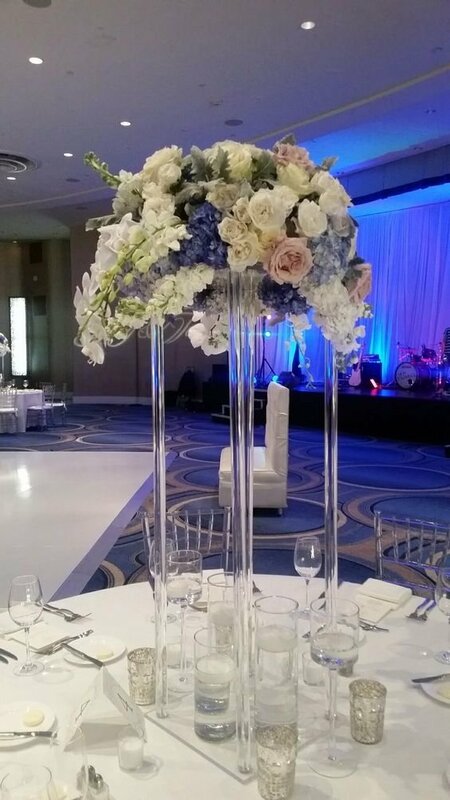 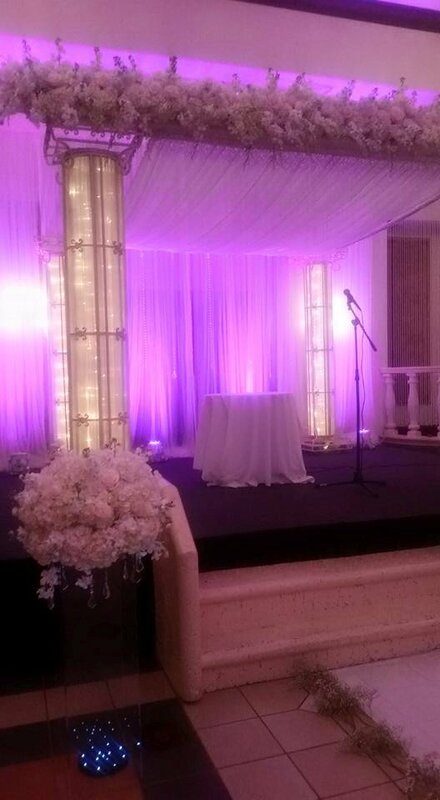 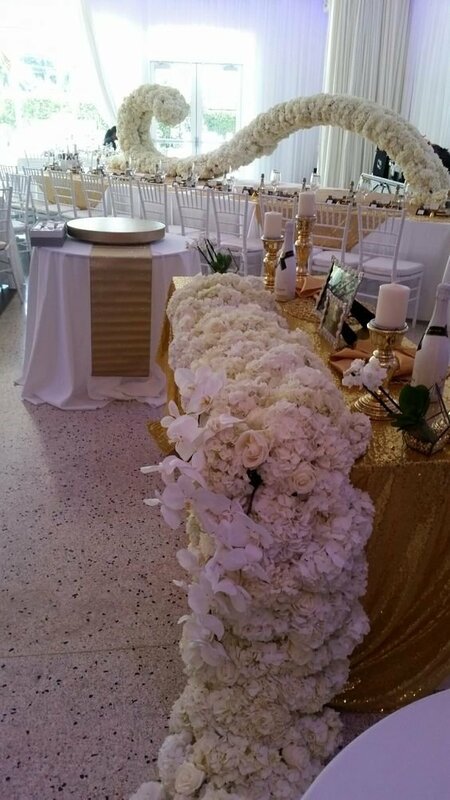 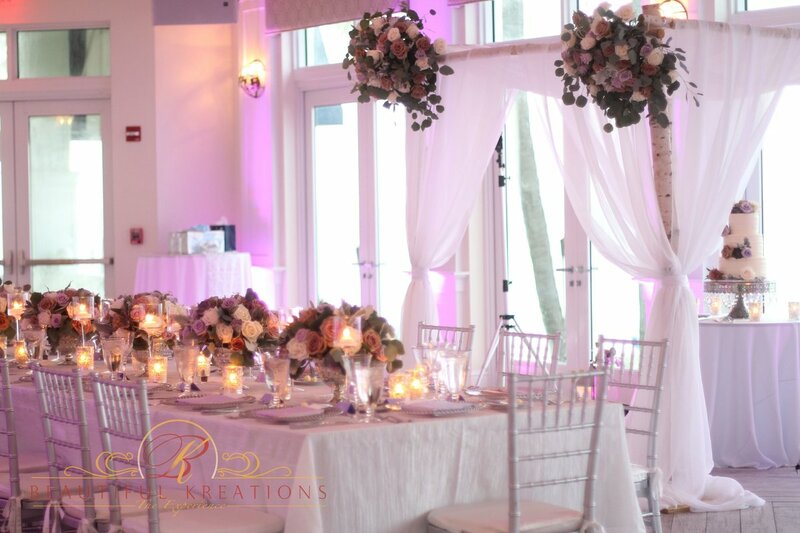 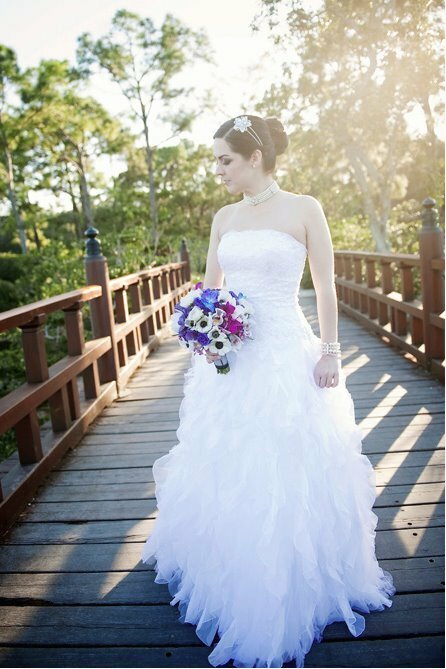 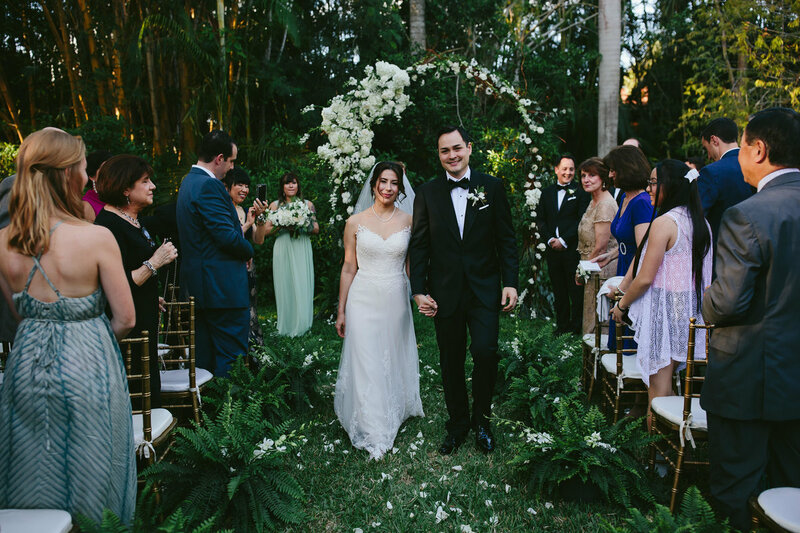 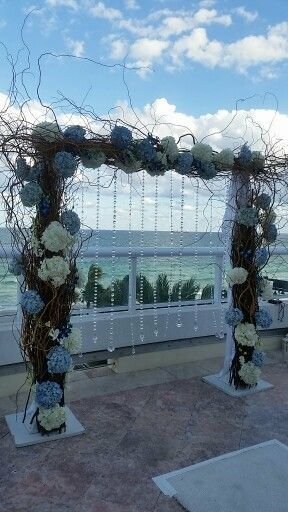 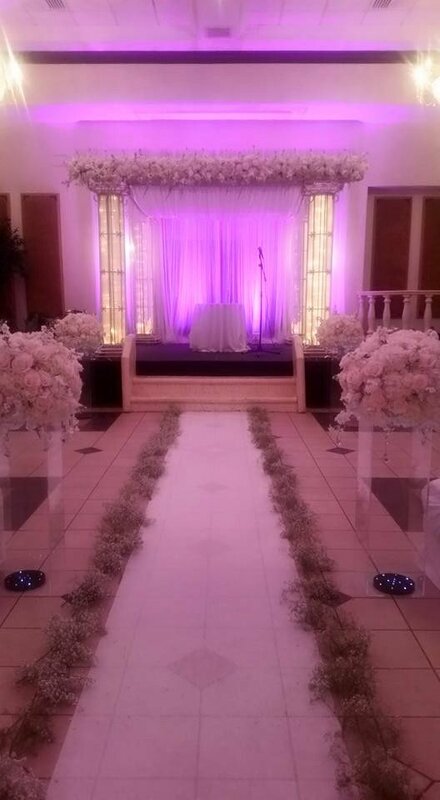 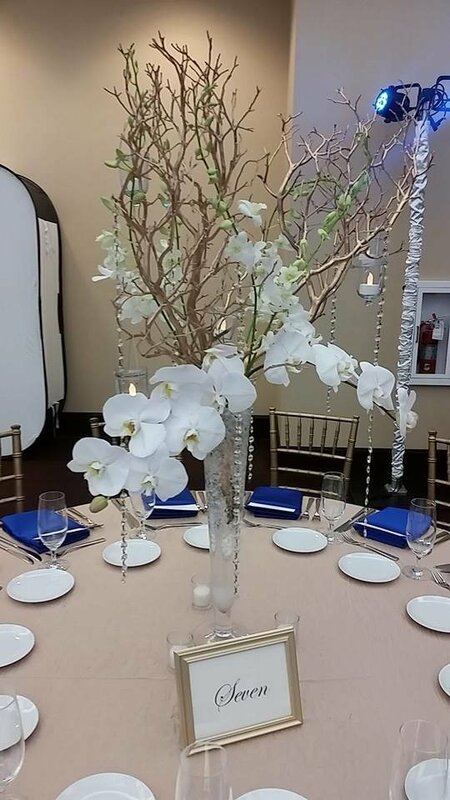 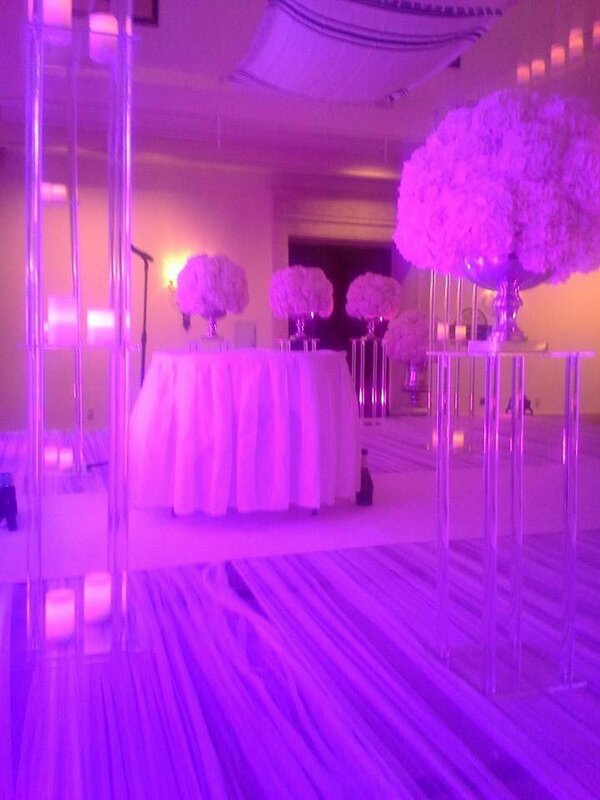 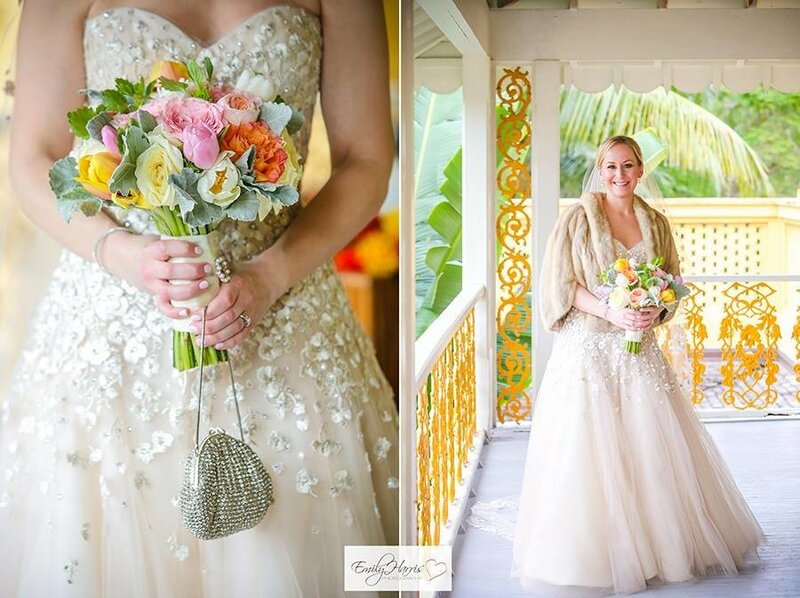 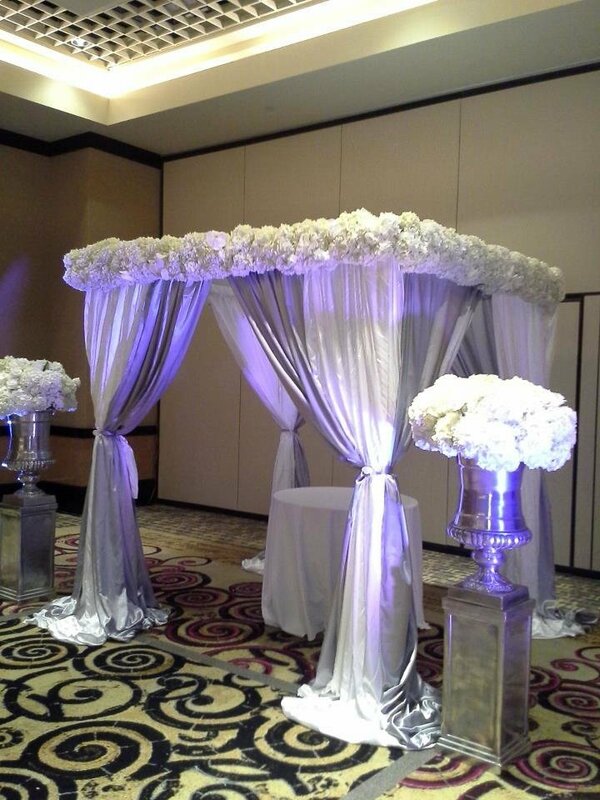 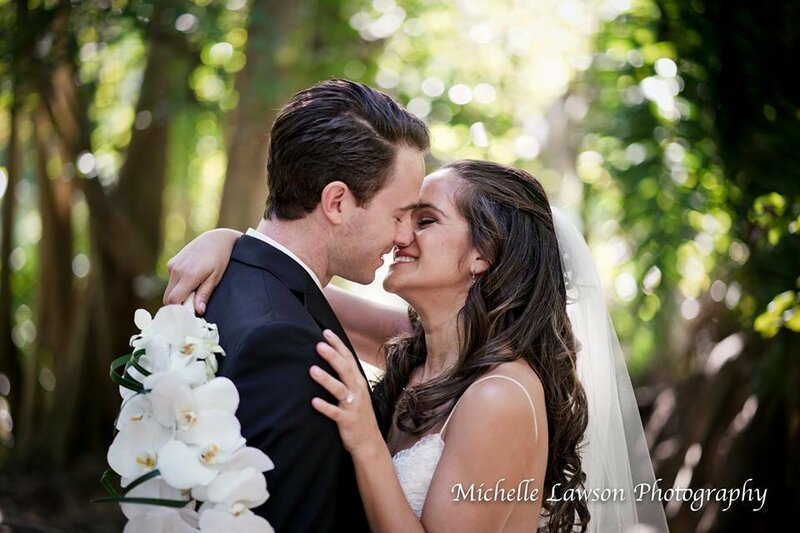 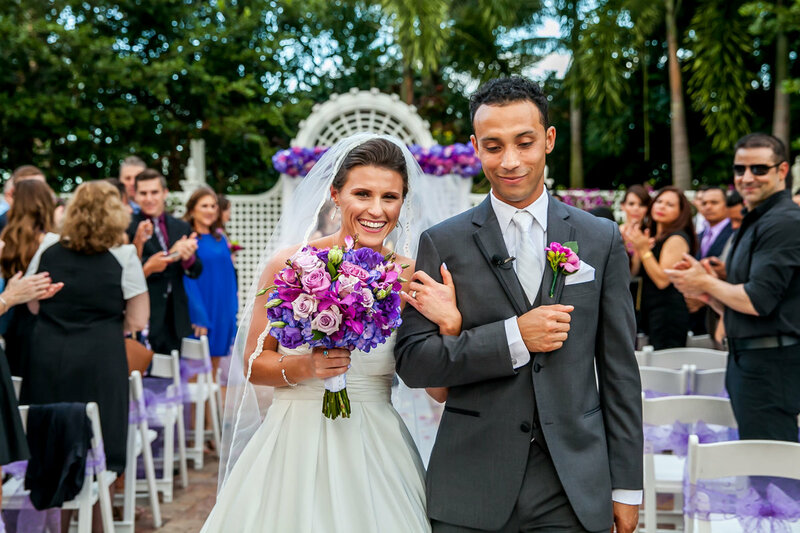 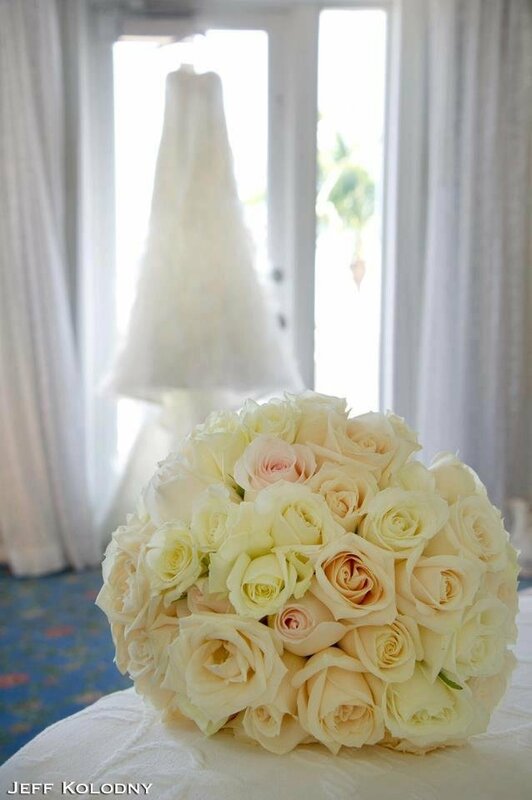 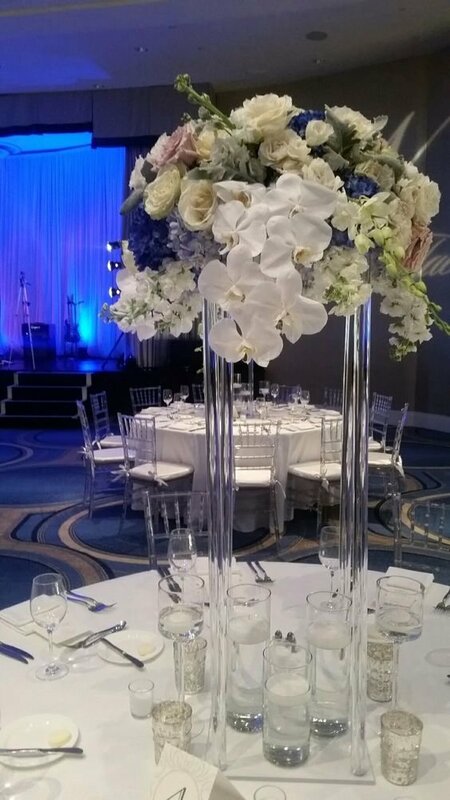 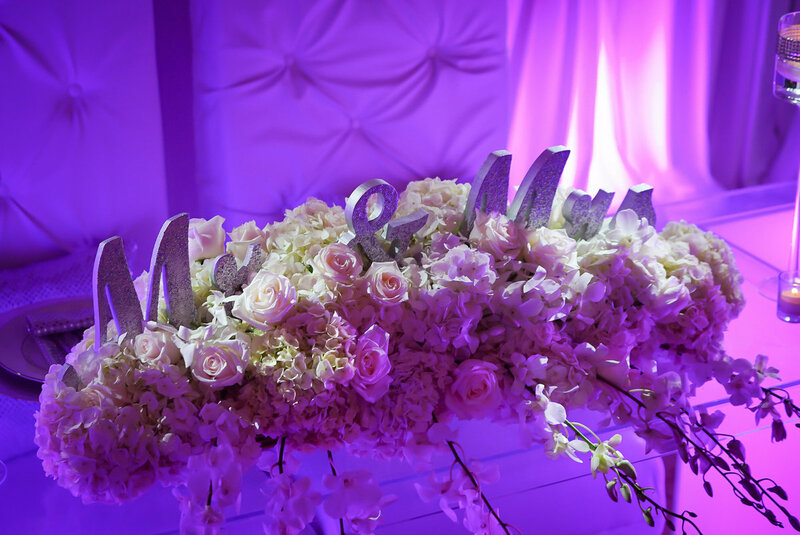 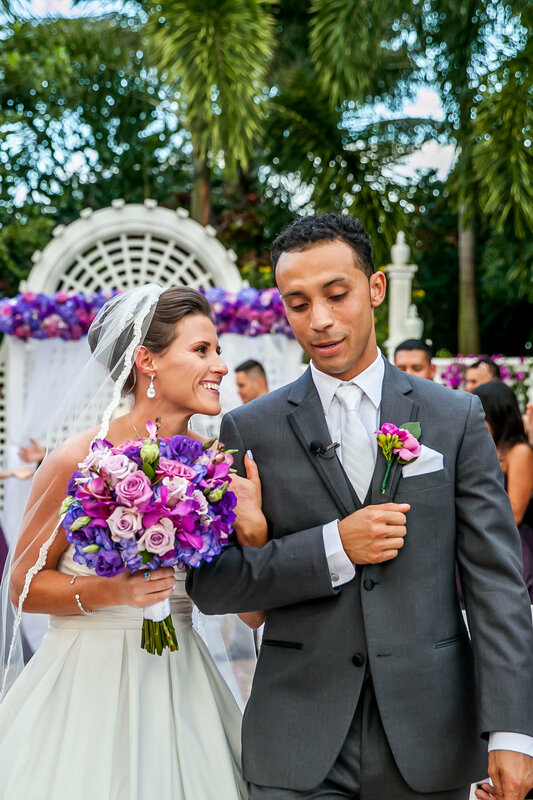 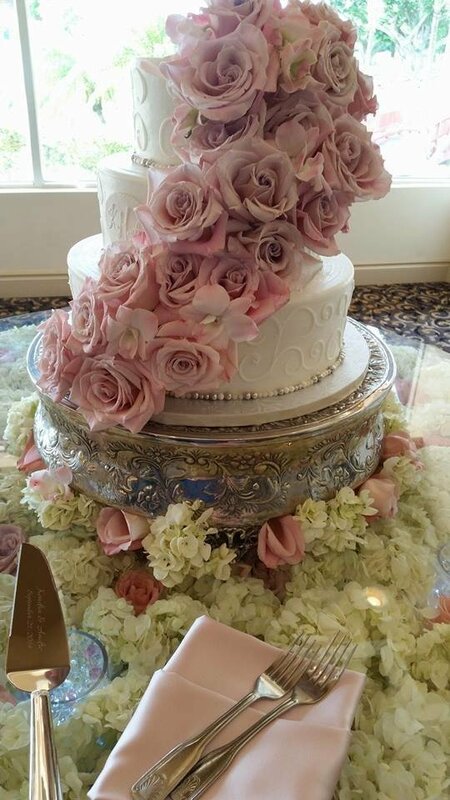 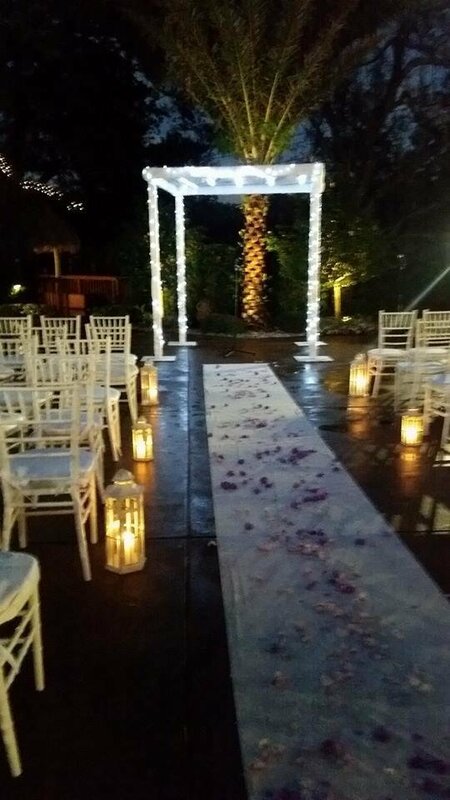 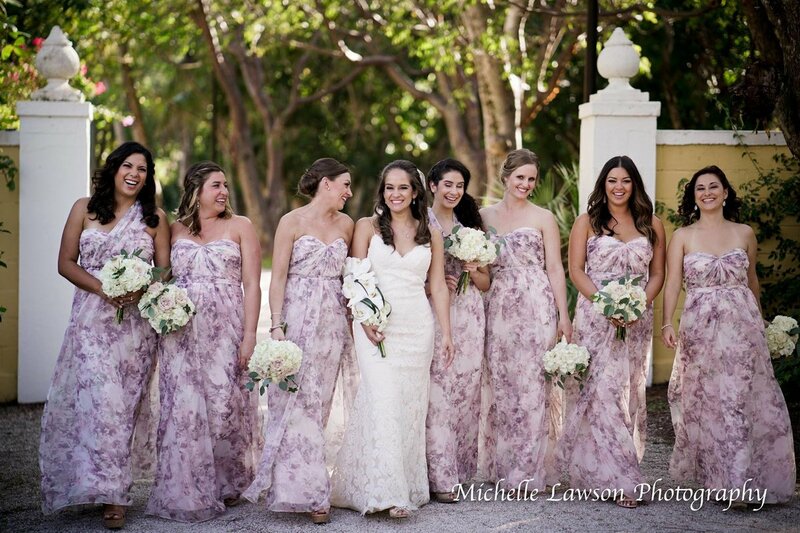 We live in Orlando but our wedding was in Boynton Beach and working with Marcia for the floral decor was a pleasure! 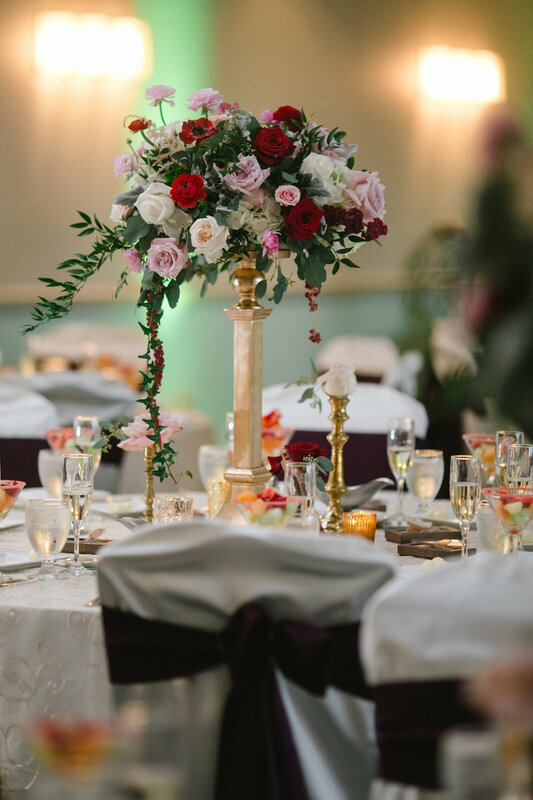 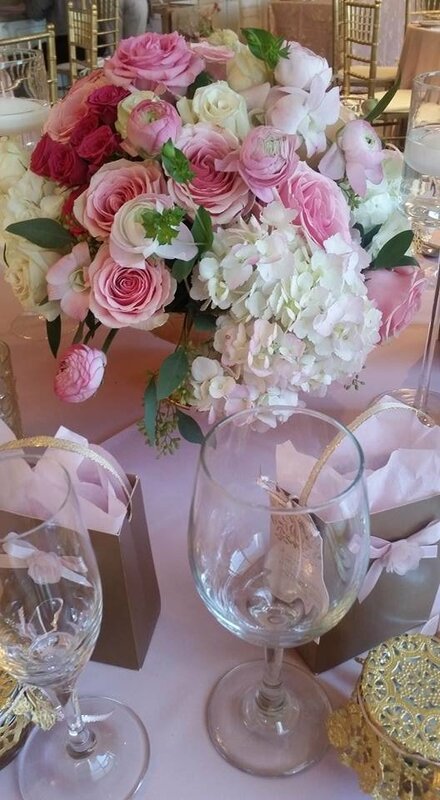 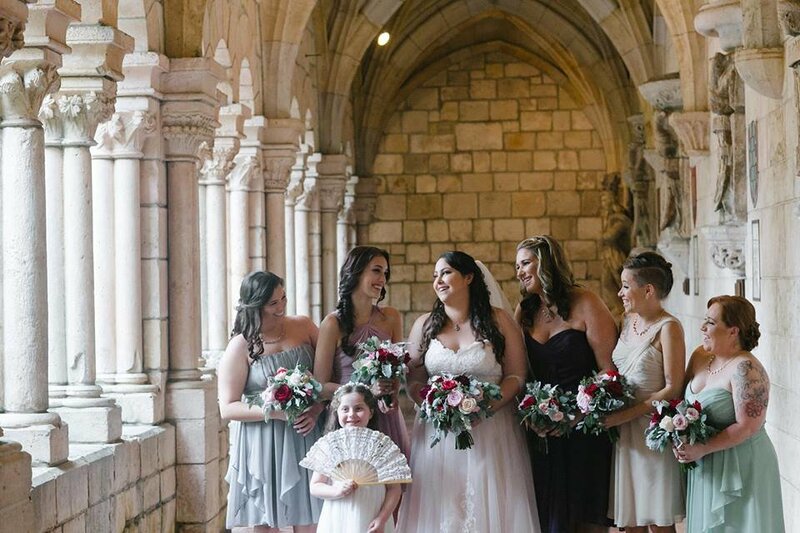 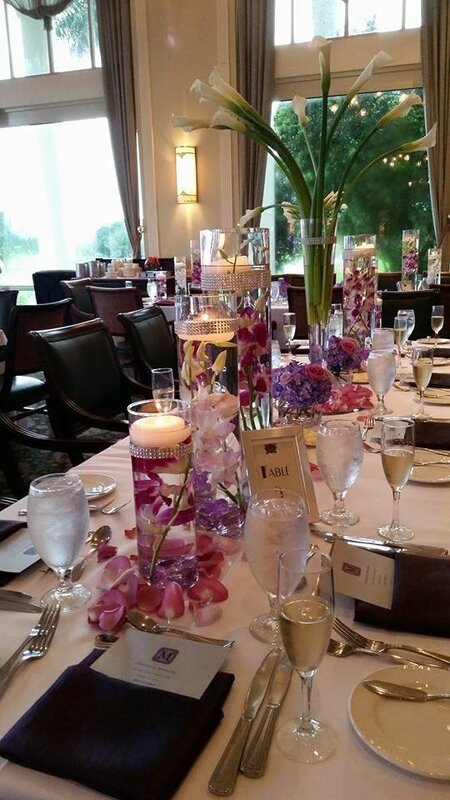 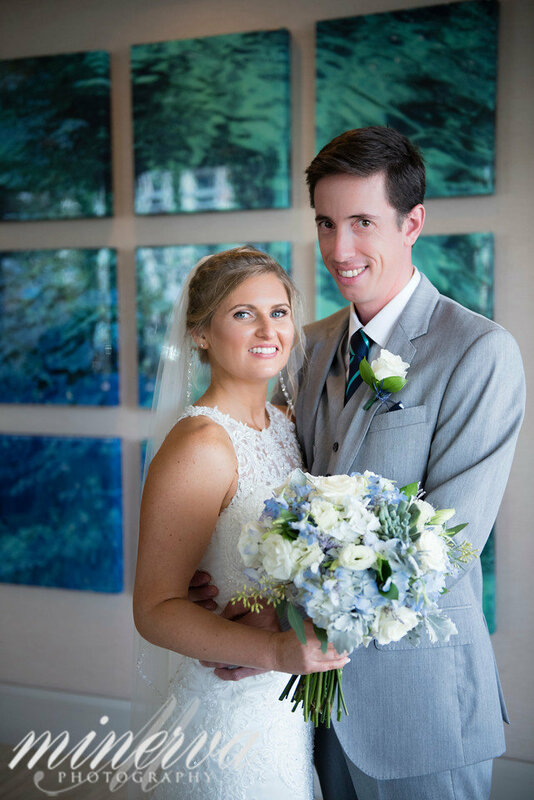 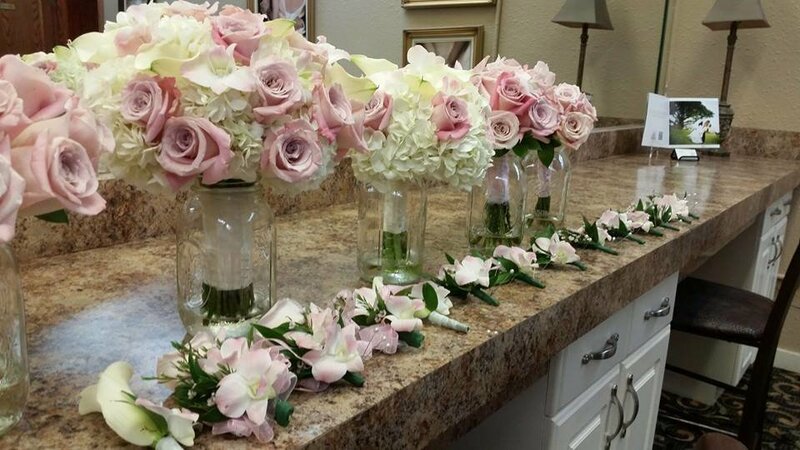 She was able to create the most beautiful floral centerpieces and bouquets for me and my bridal party. 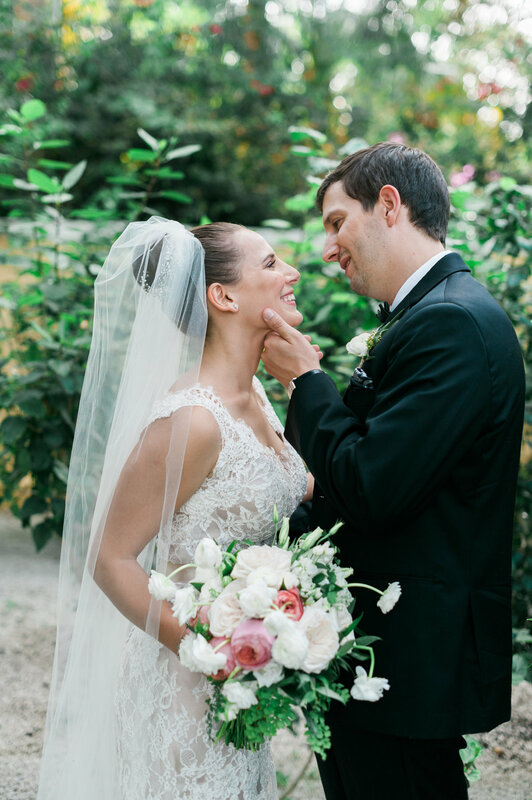 They were exactly what I wanted and communication was easy. 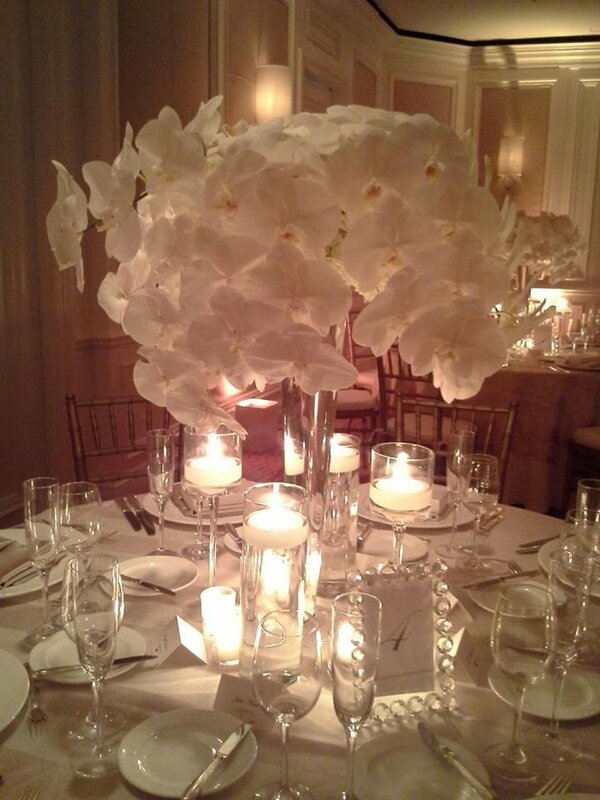 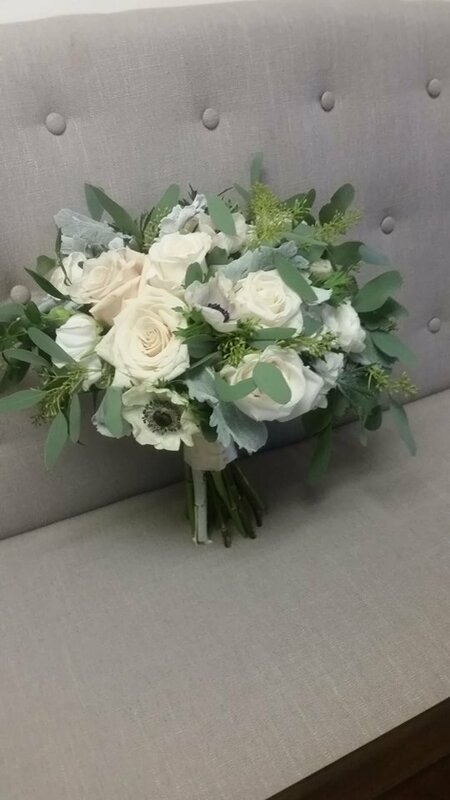 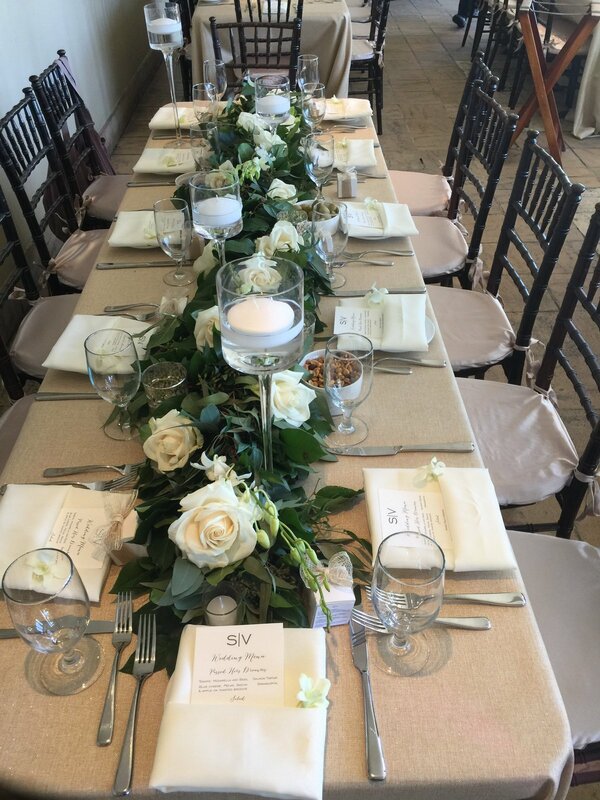 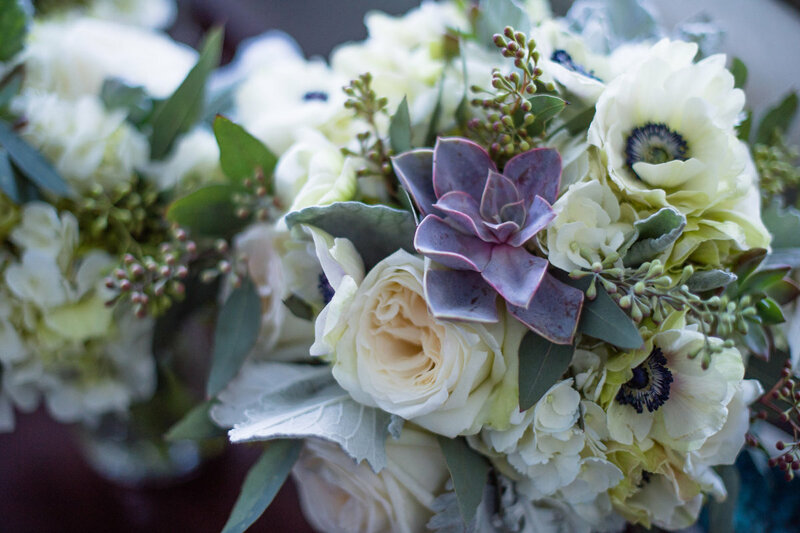 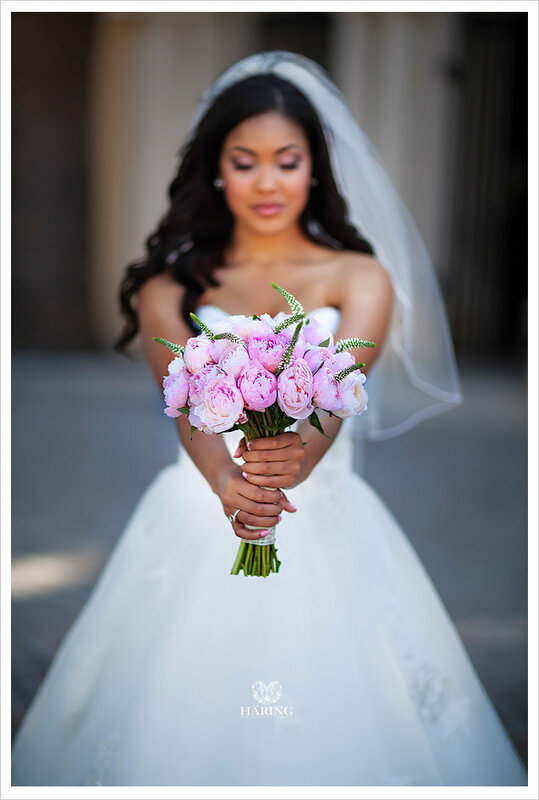 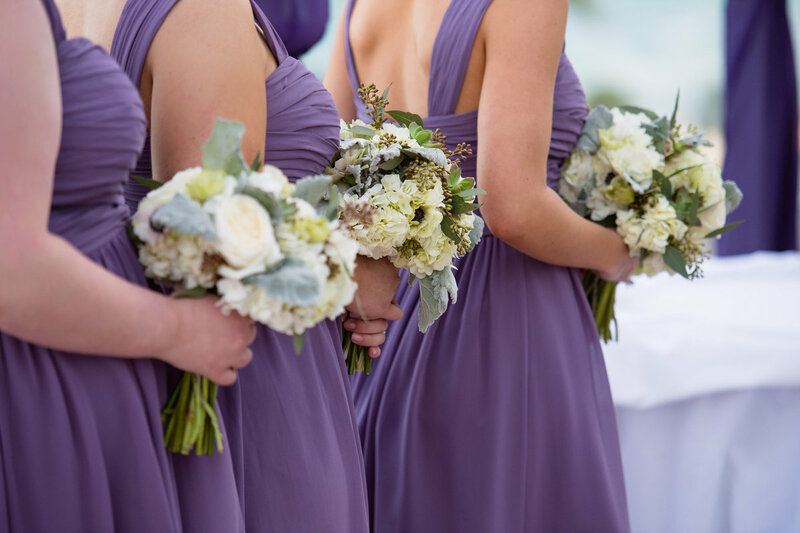 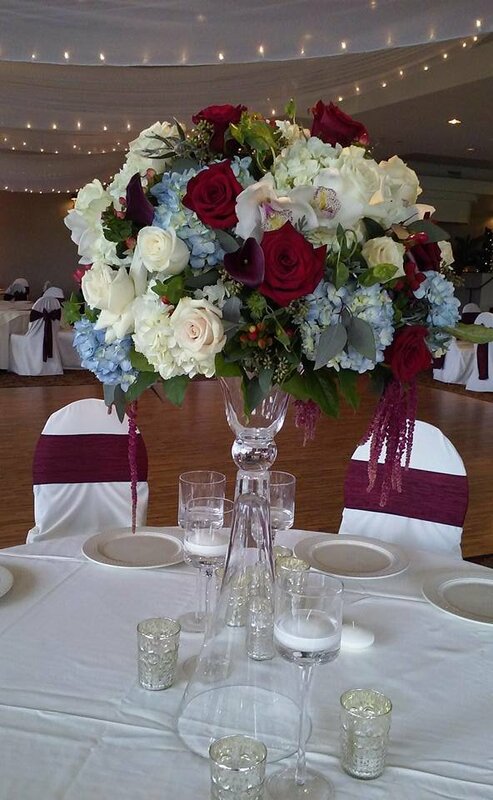 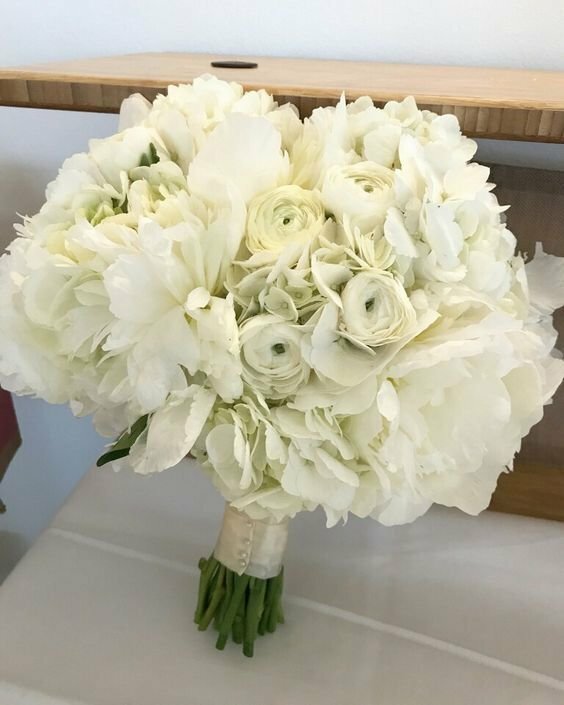 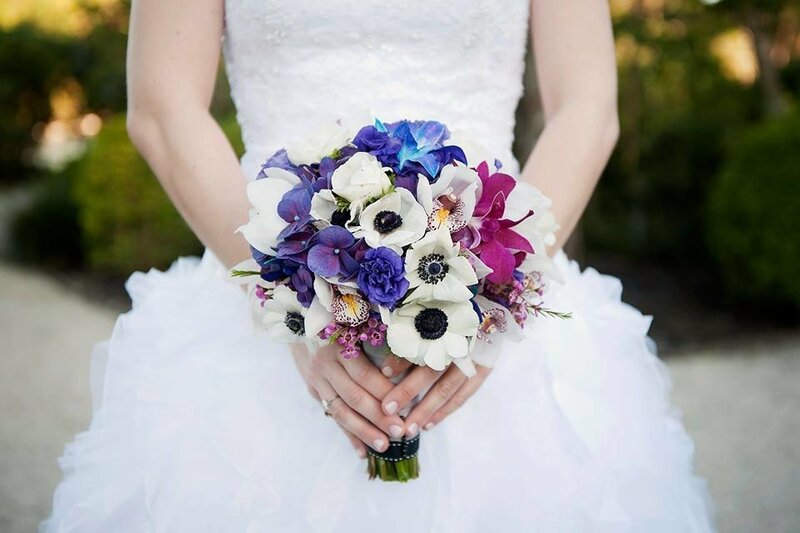 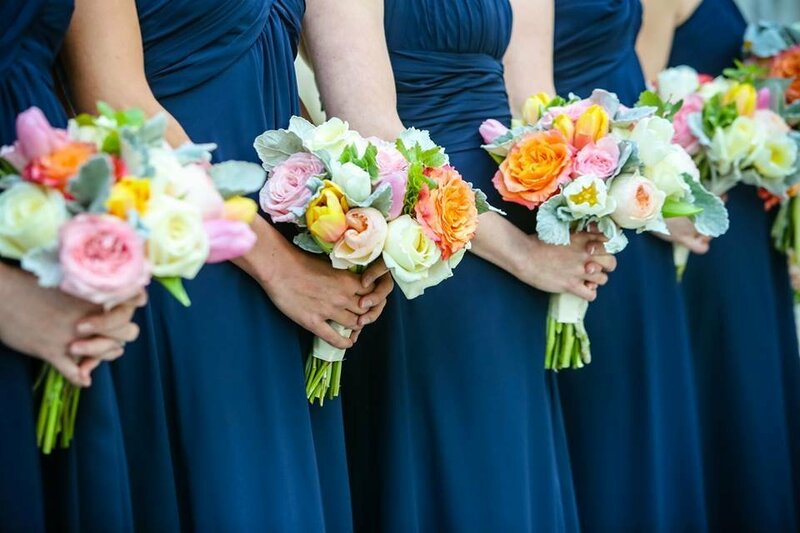 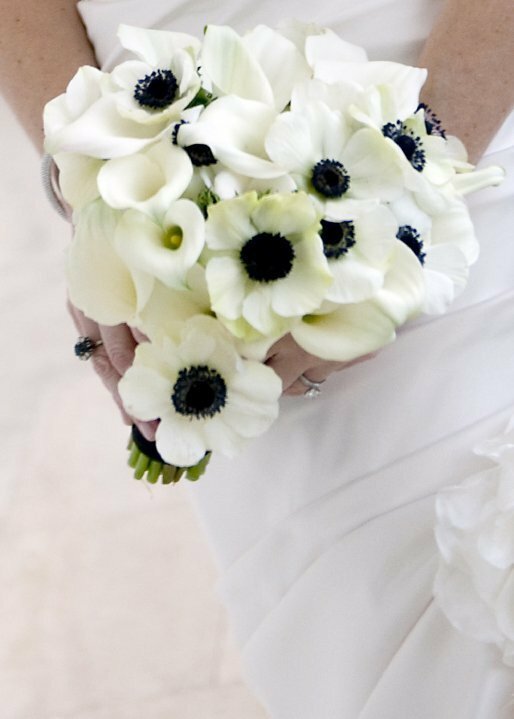 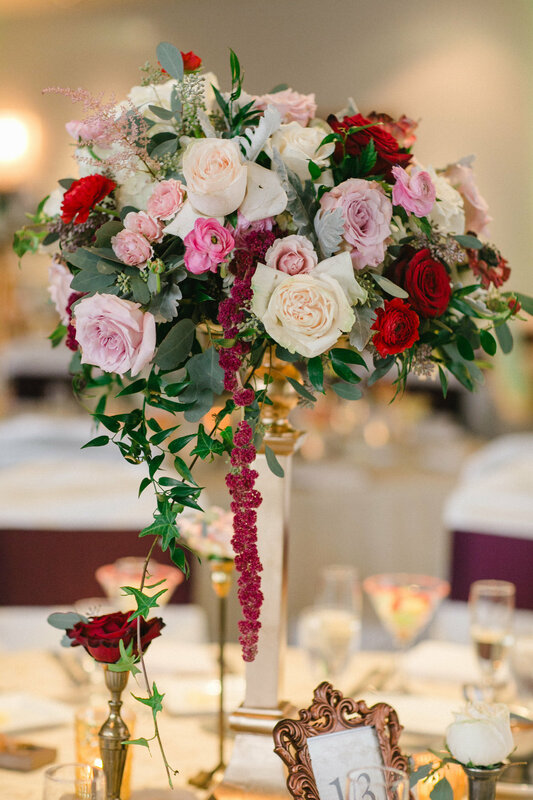 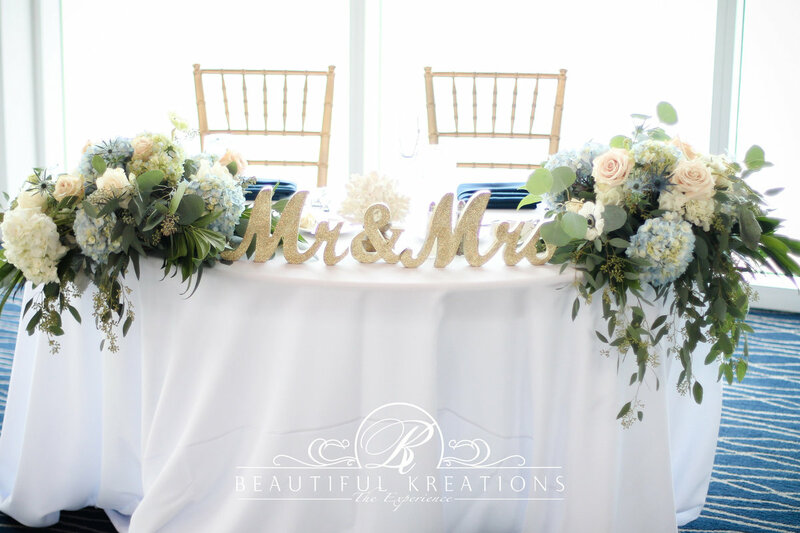 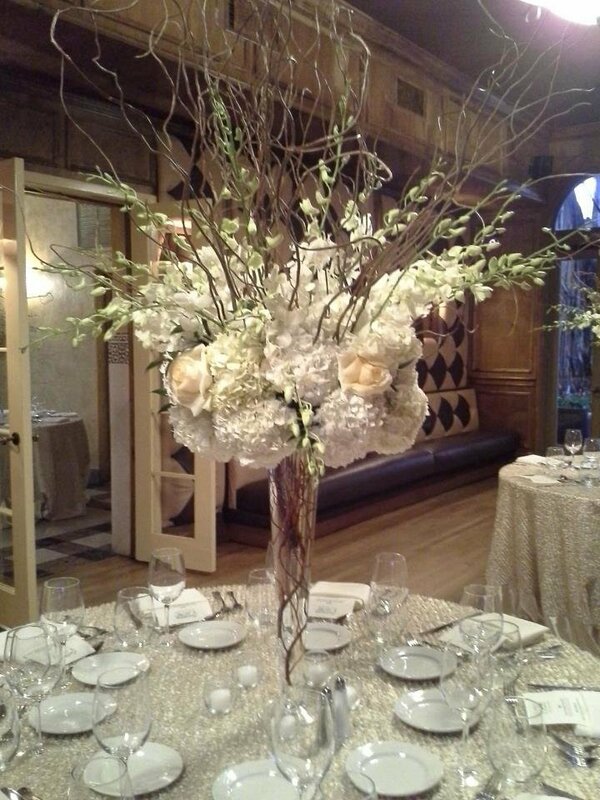 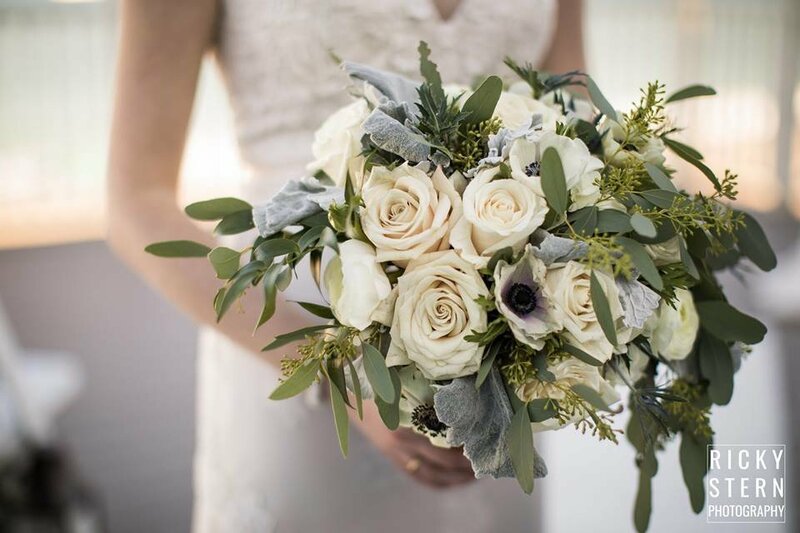 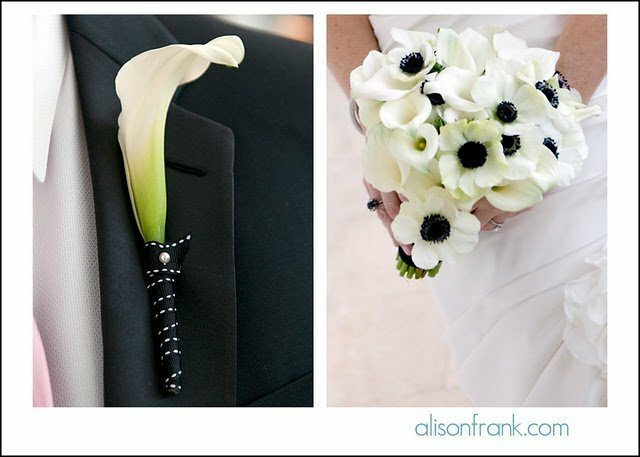 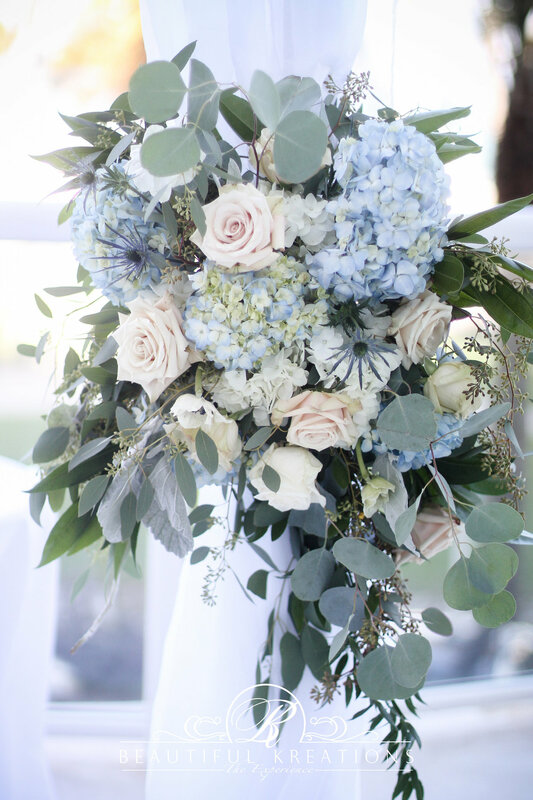 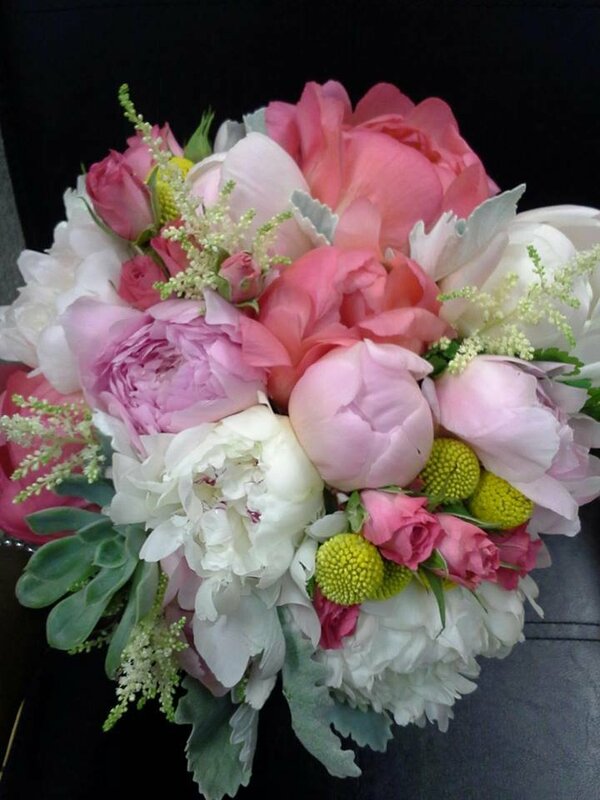 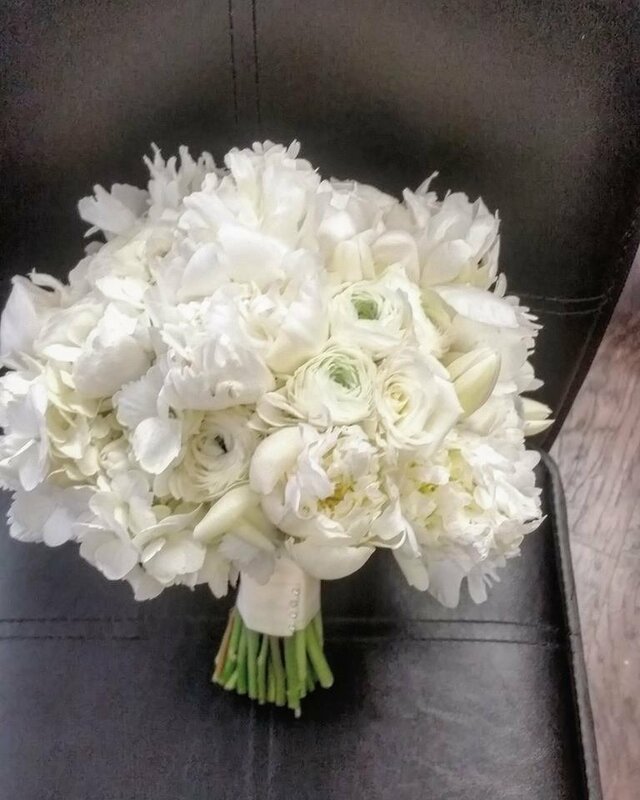 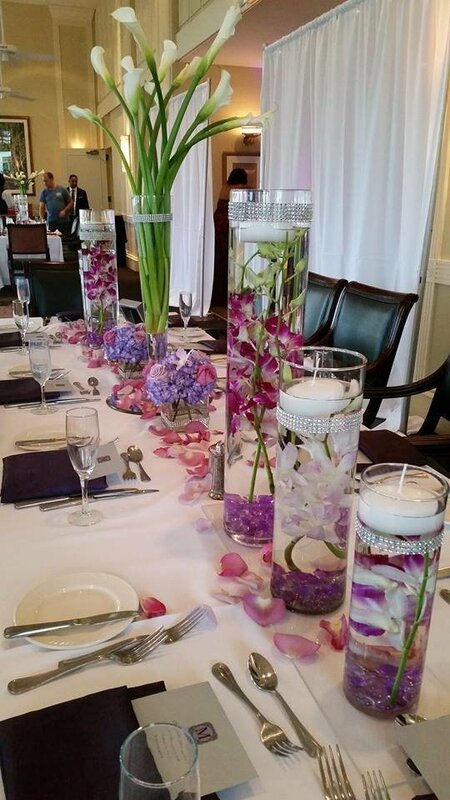 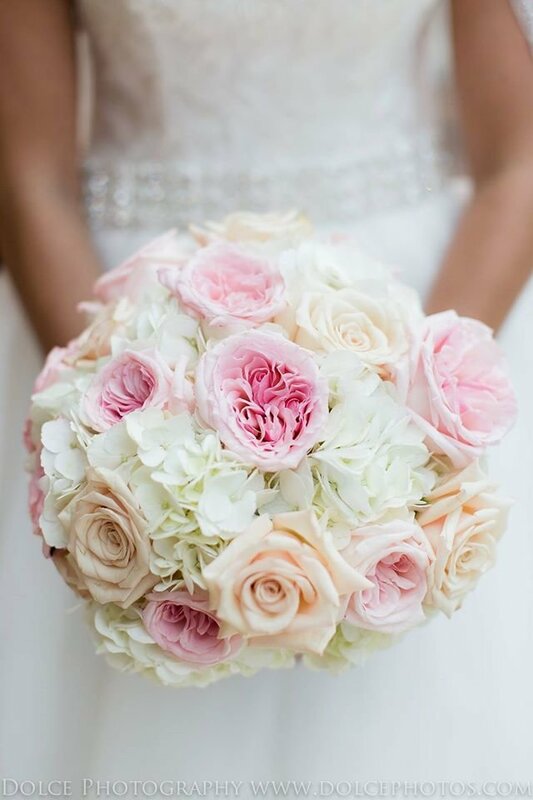 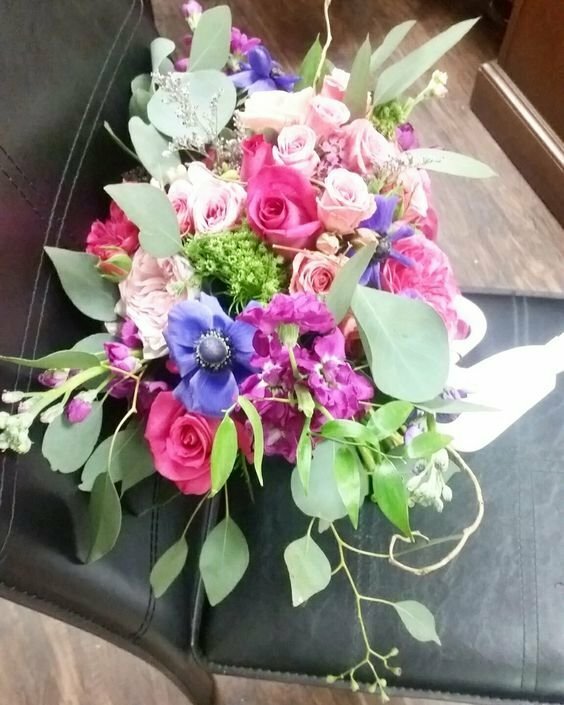 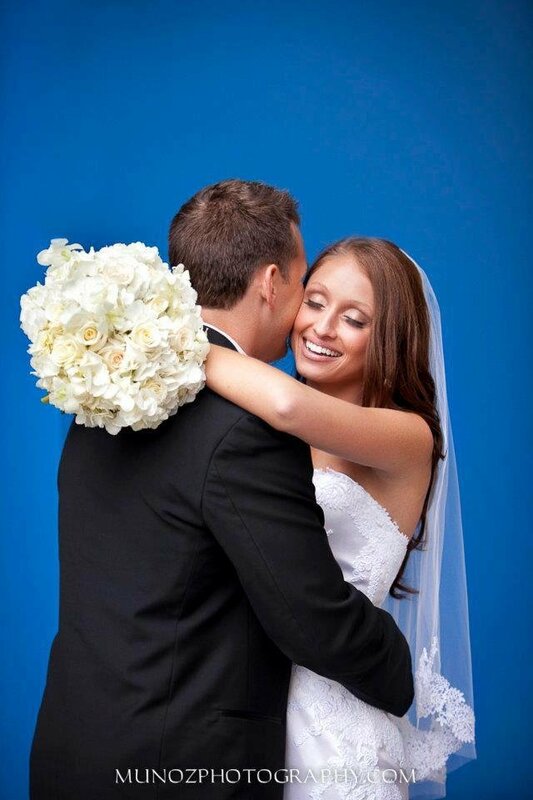 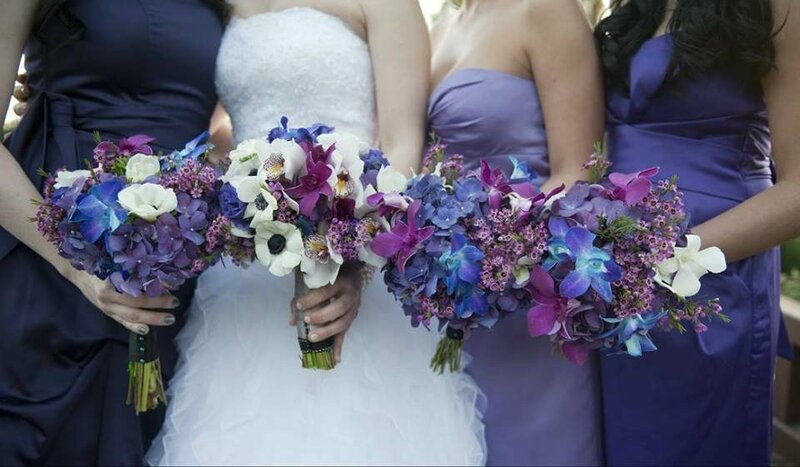 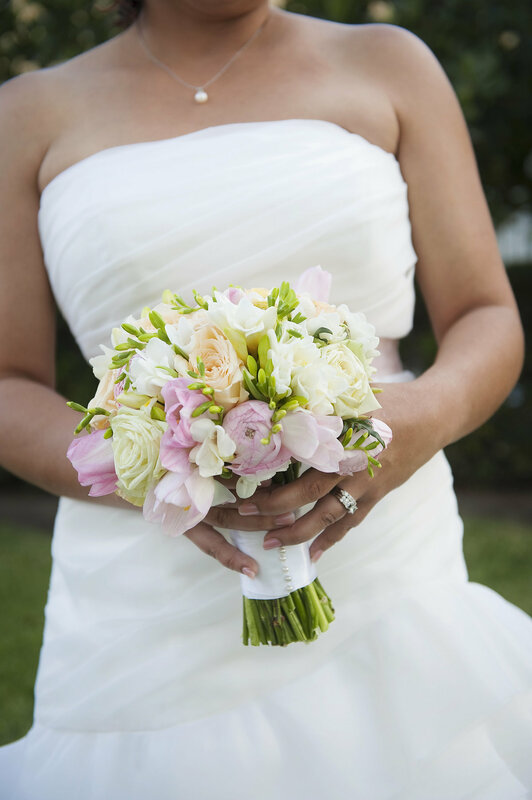 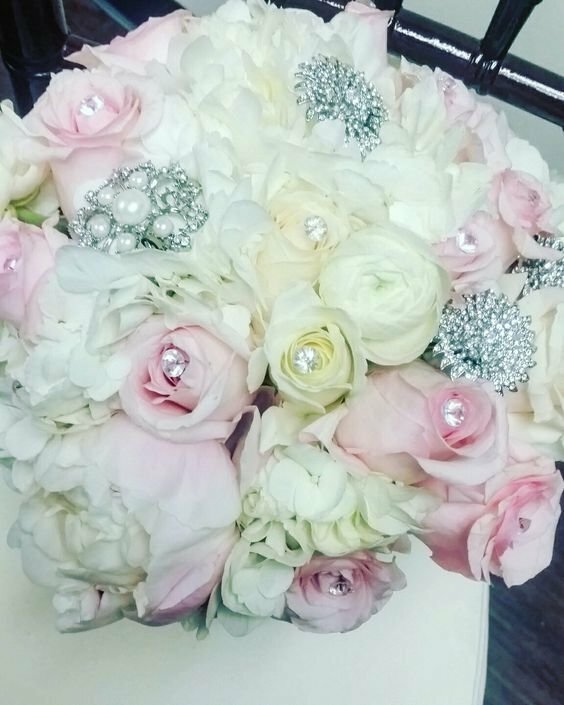 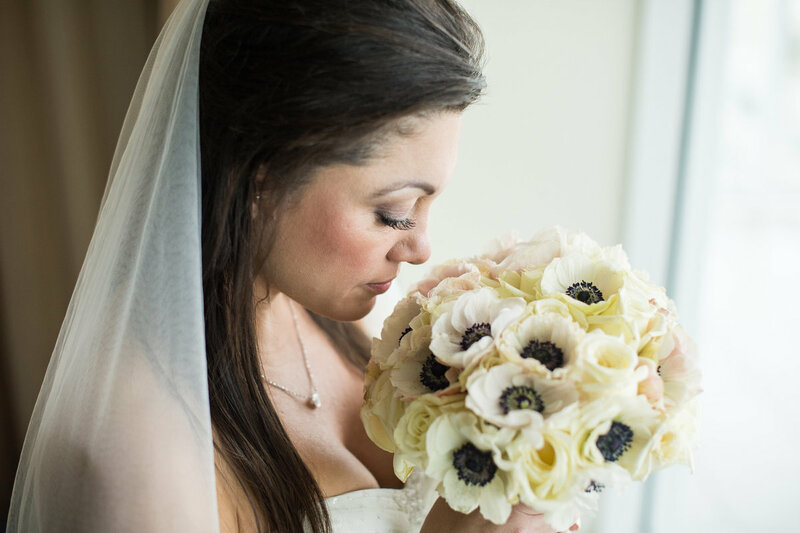 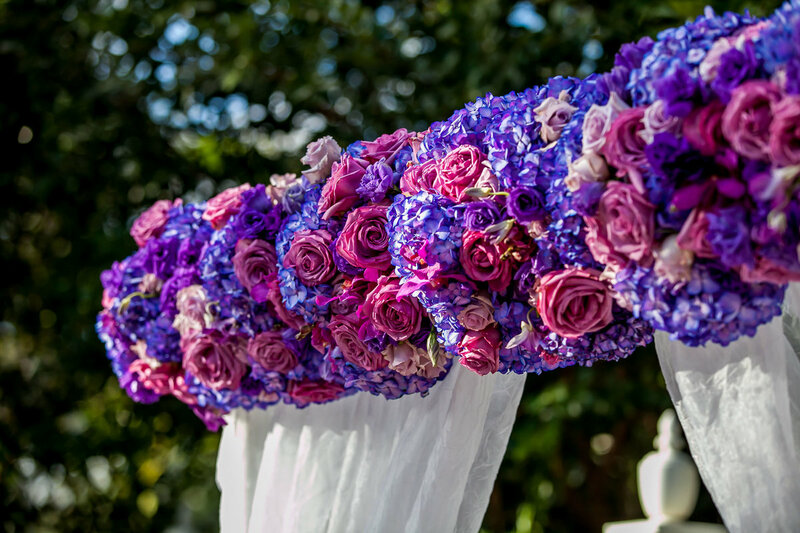 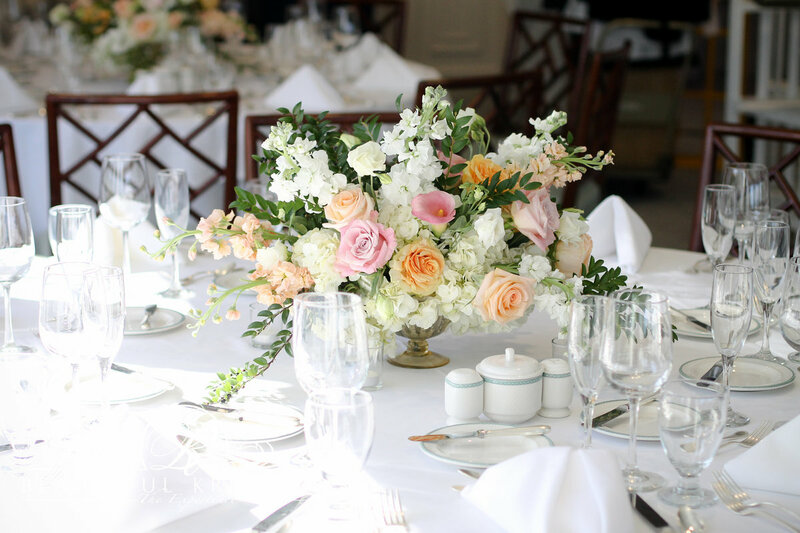 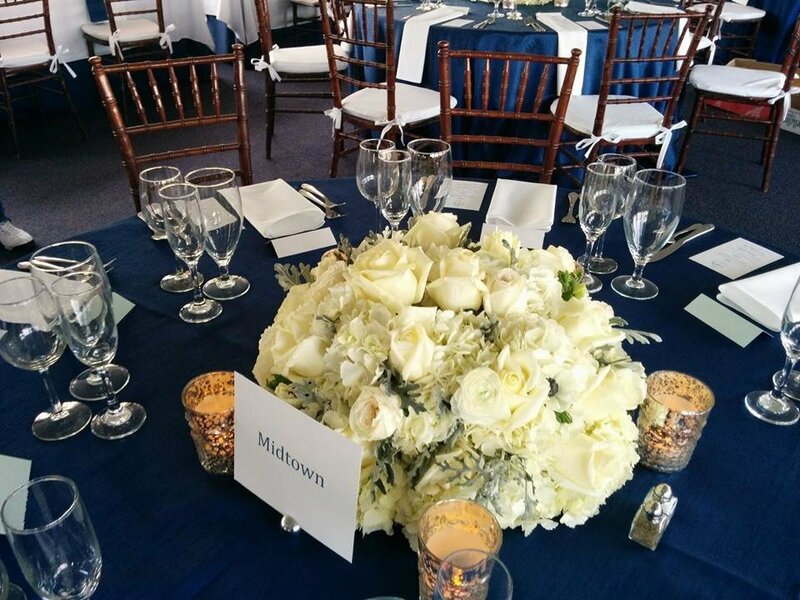 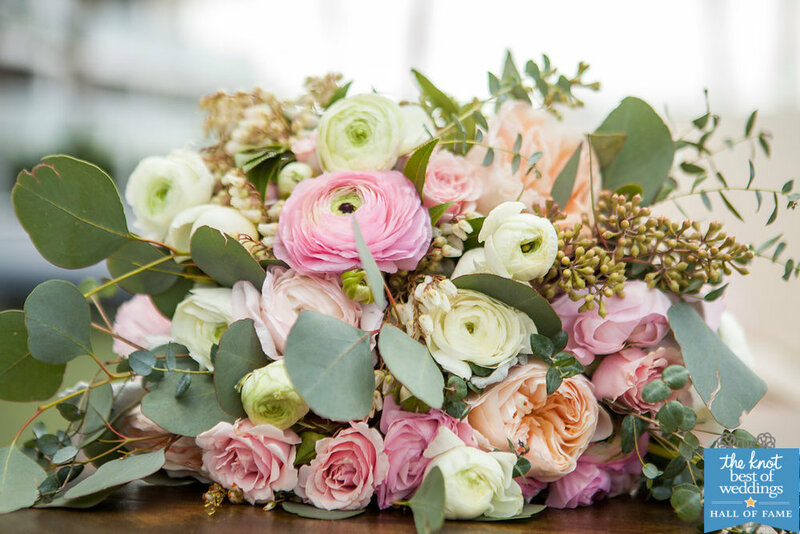 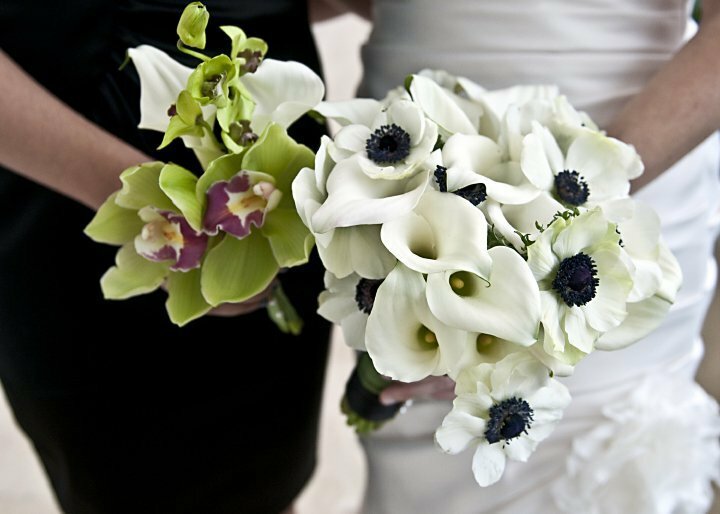 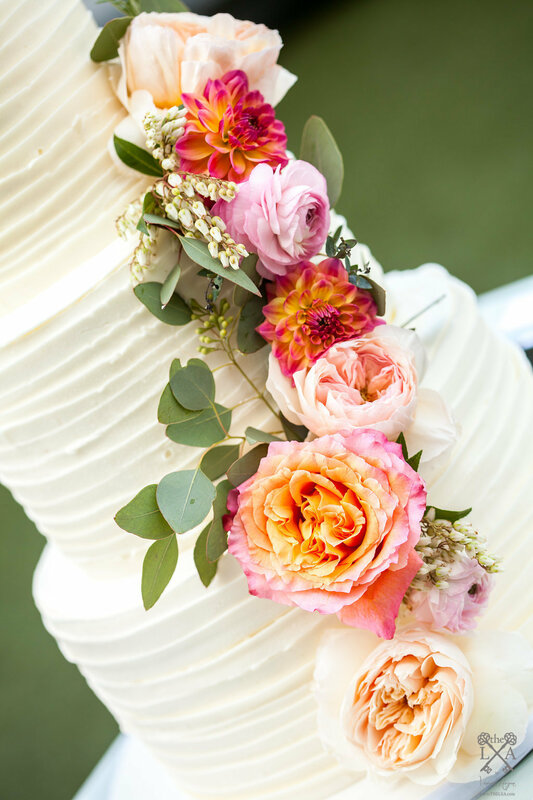 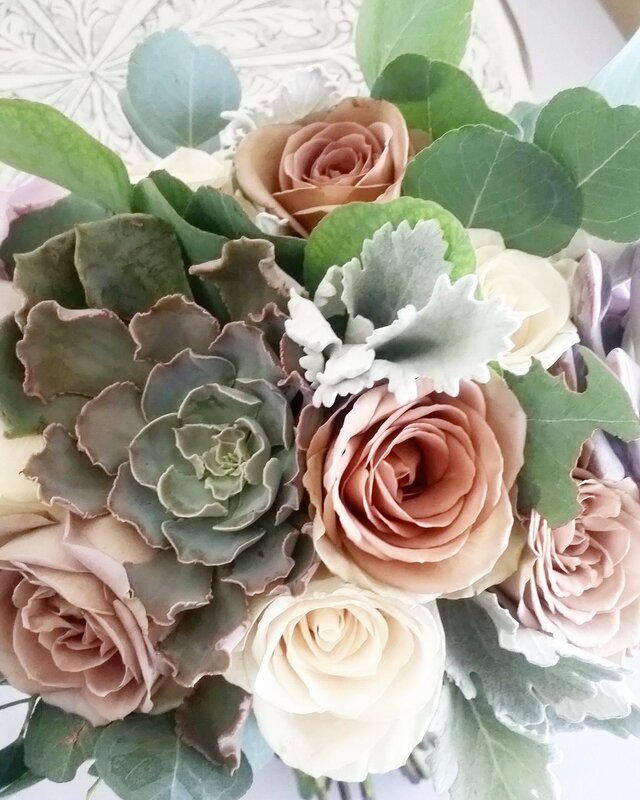 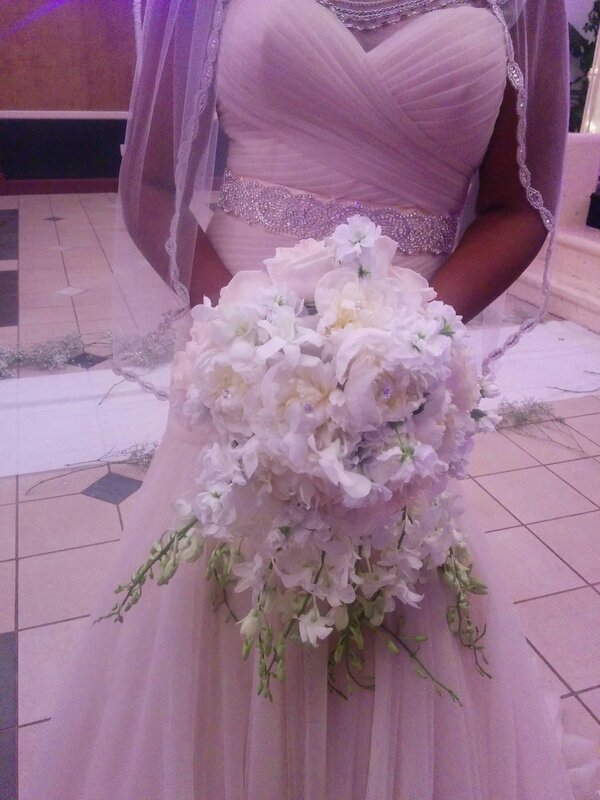 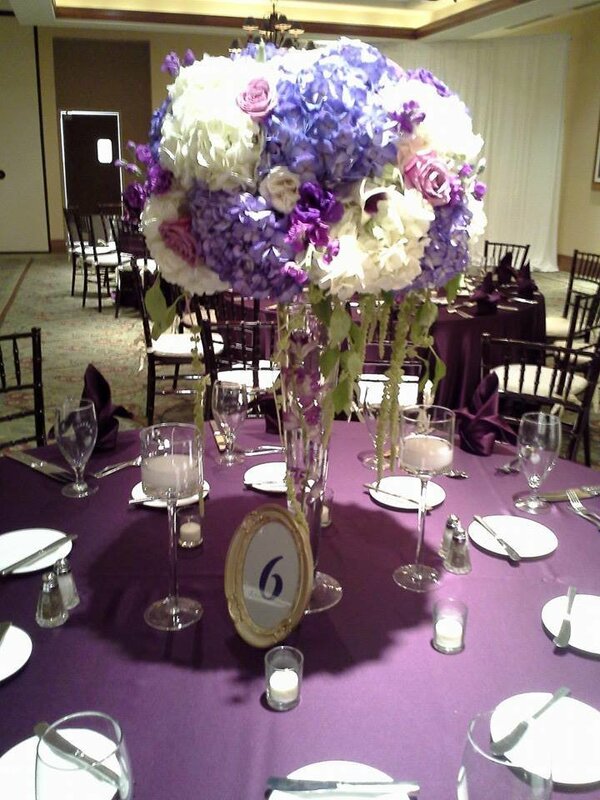 We recommend beautiful kreations to anyone for their wedding flowers! 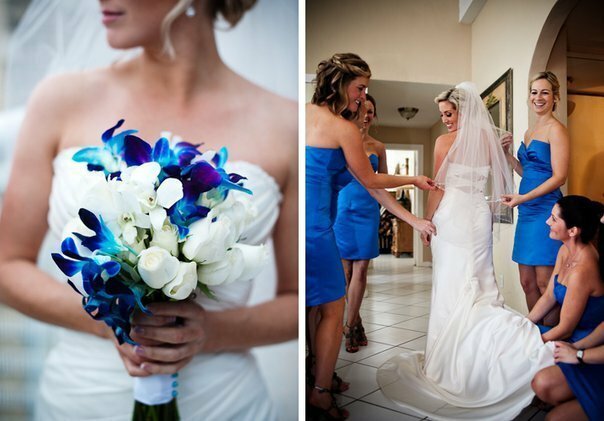 Describing the Beautiful Kreations Bride! 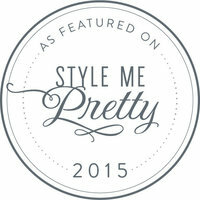 She is fun, sophisticated, she IS fashion-forward! 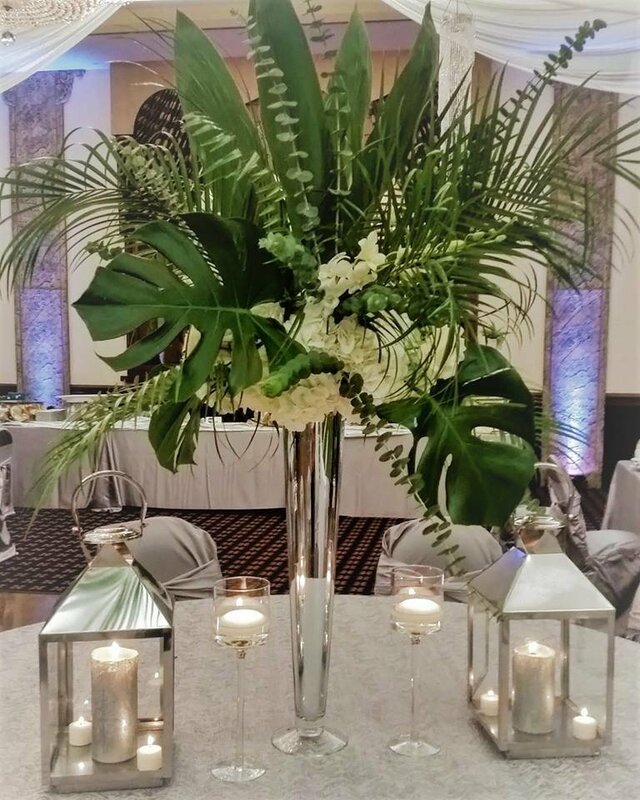 Our design experience gives you the freedom to choose blooms and textures creating a decor experience that's truly yours! 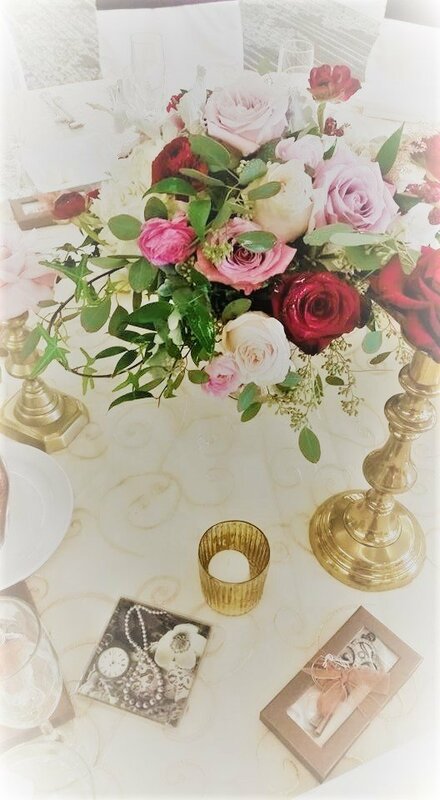 Decor and design inspirations can be drawn from the way you dress, how the home is appointed, places travelled, architecture and more, the possibilities are endless! 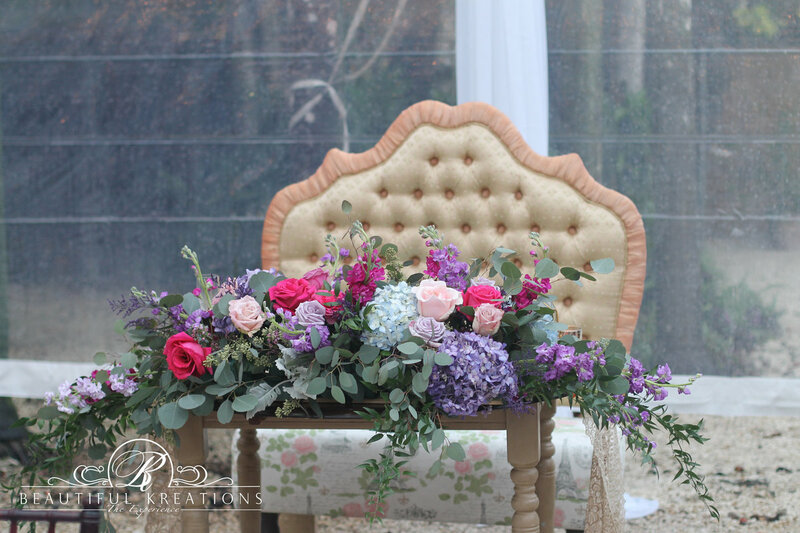 Being a boutique company, our specialty is creating unique environments with all the ideas you hold near and dear. 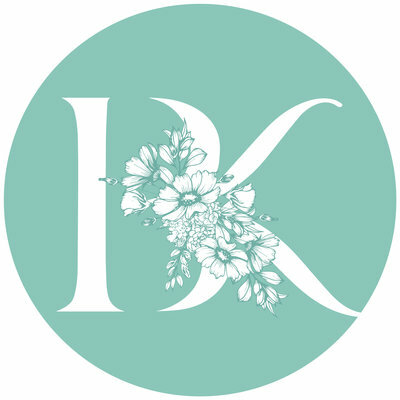 Our philosophy on pricing is simple! 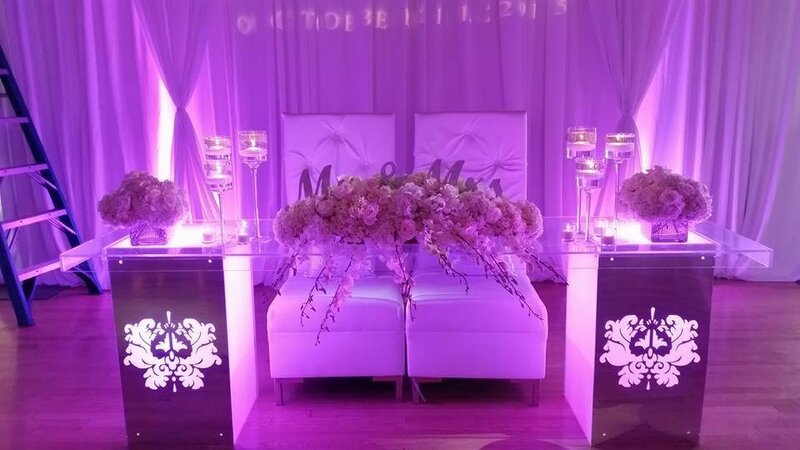 No minimums, no packages. 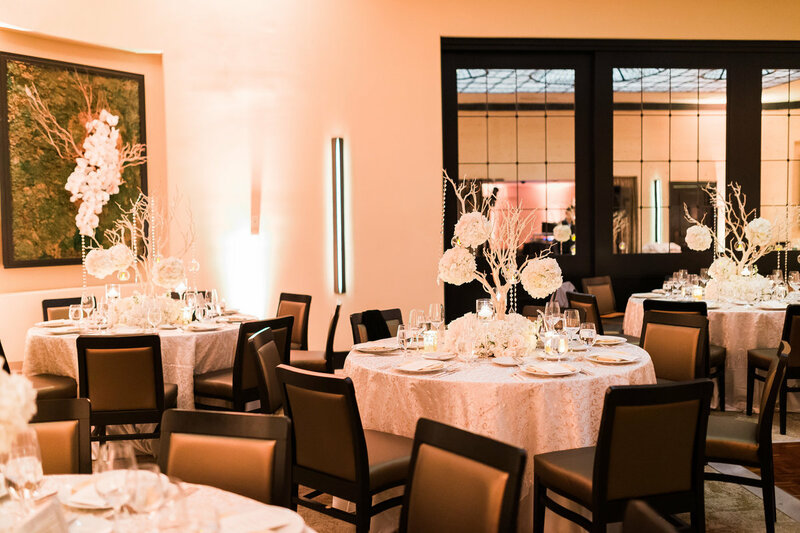 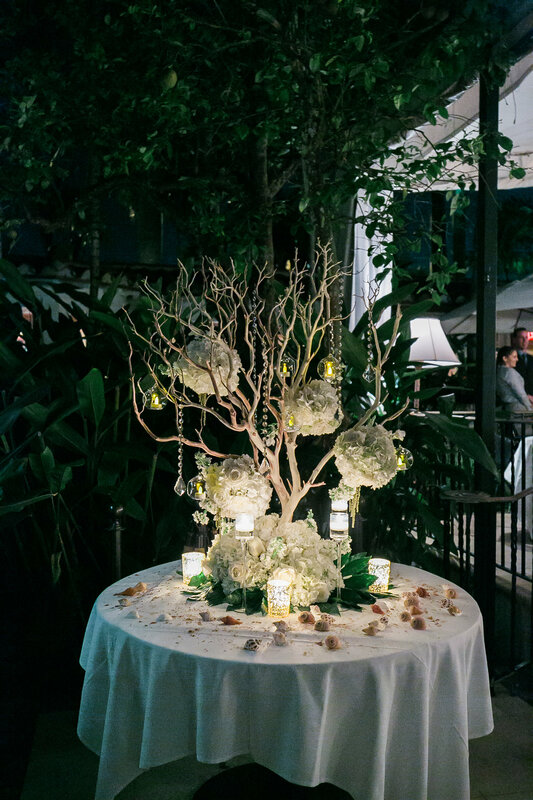 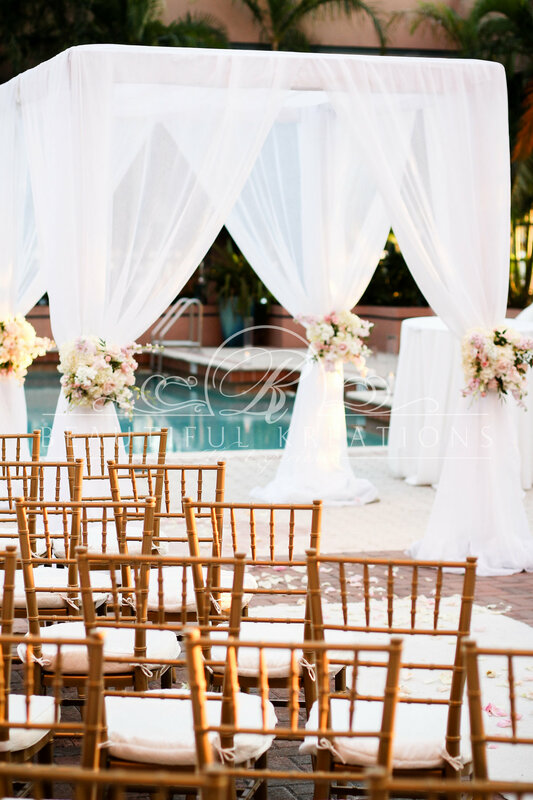 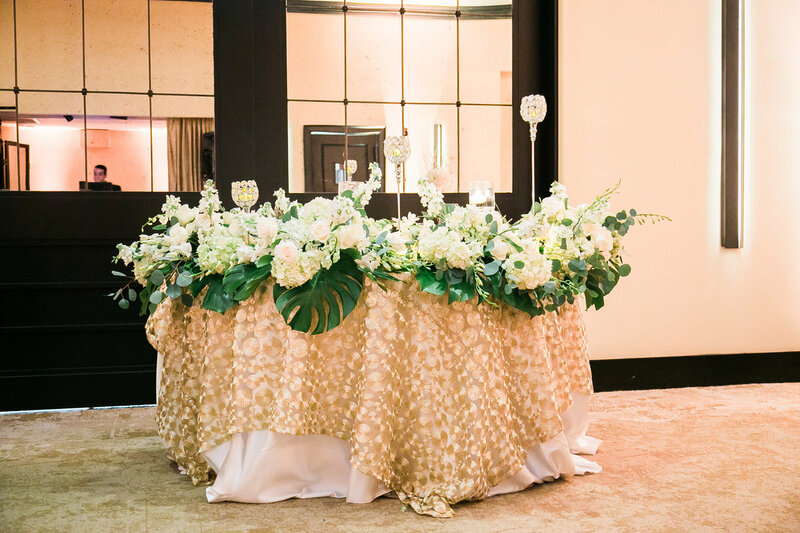 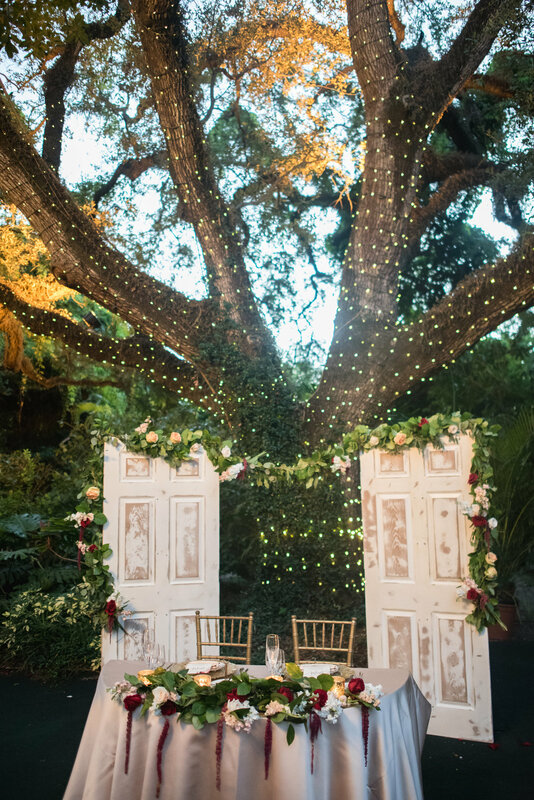 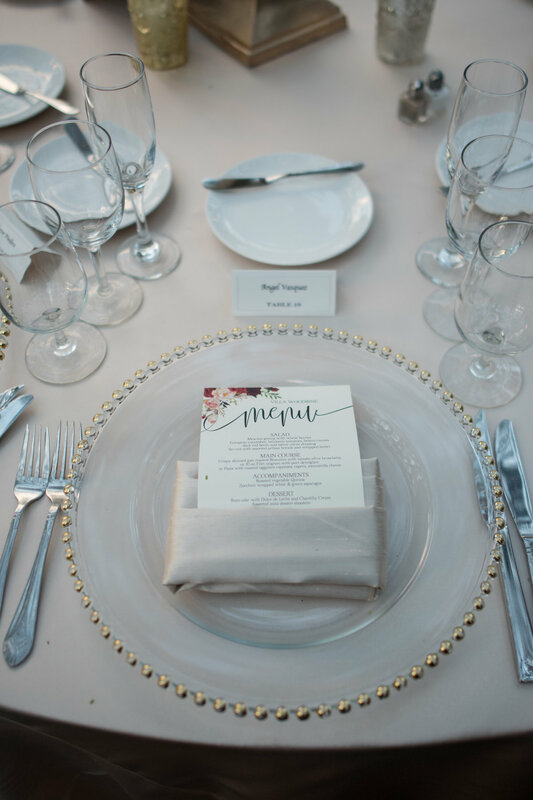 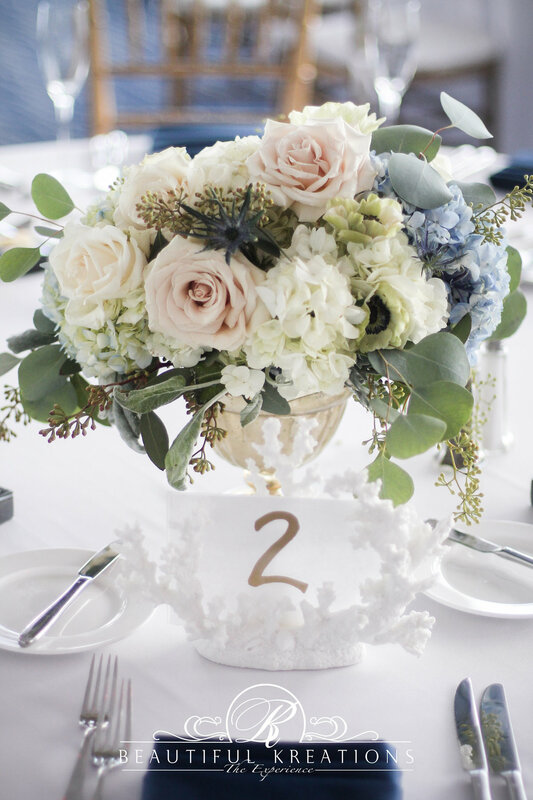 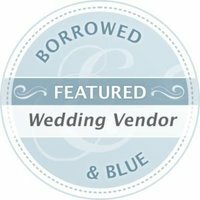 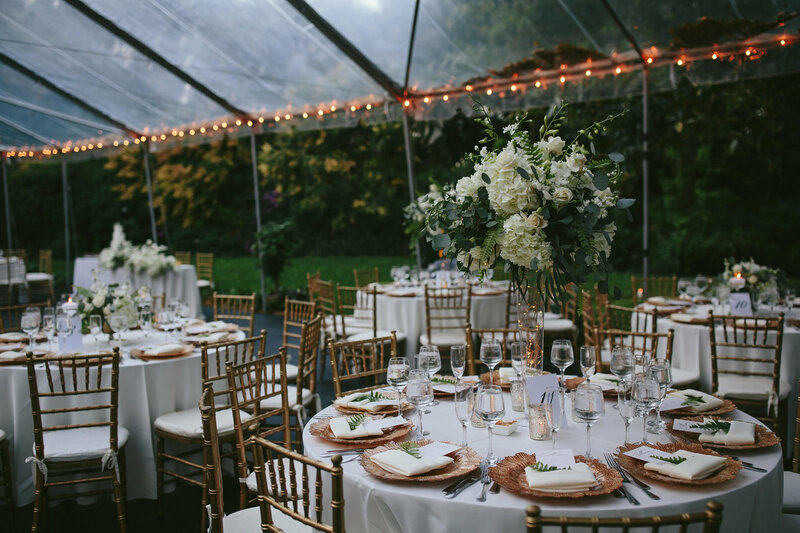 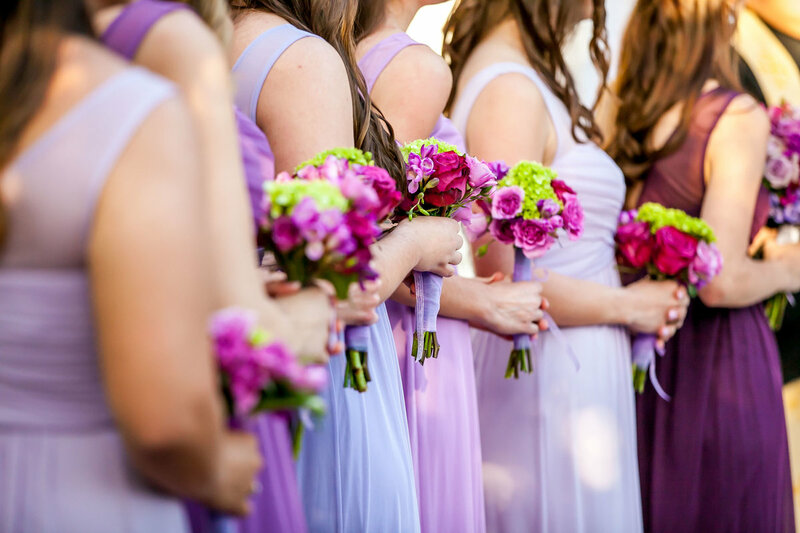 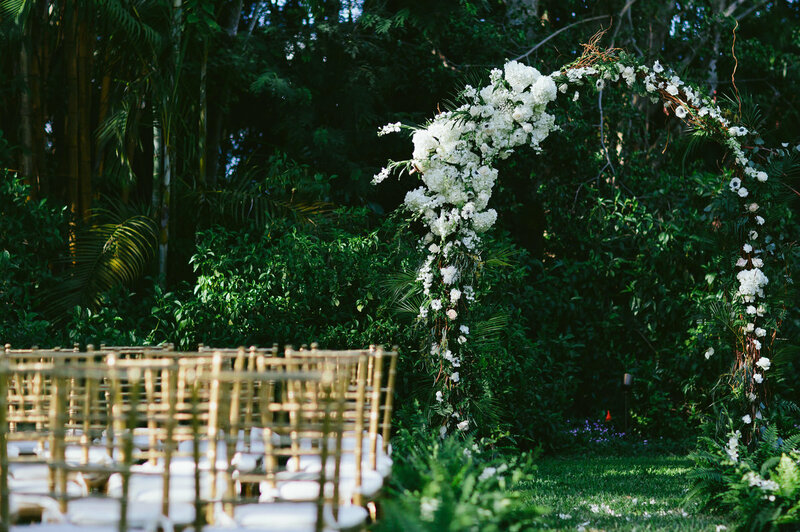 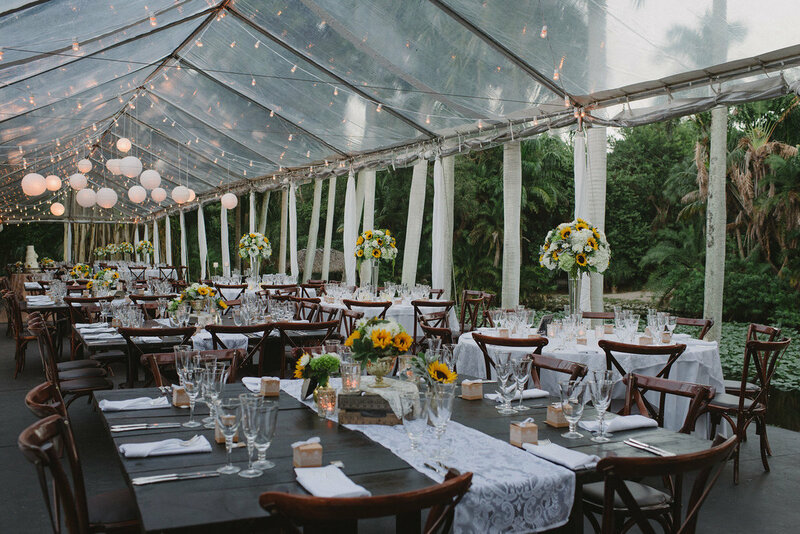 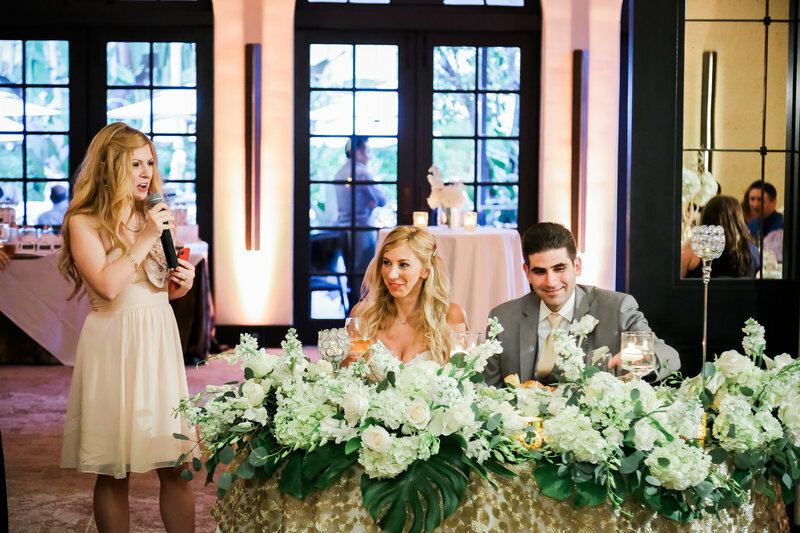 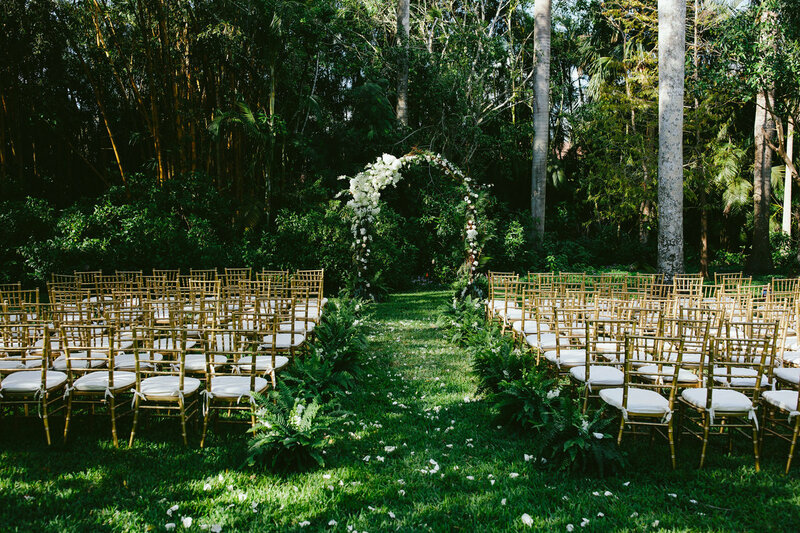 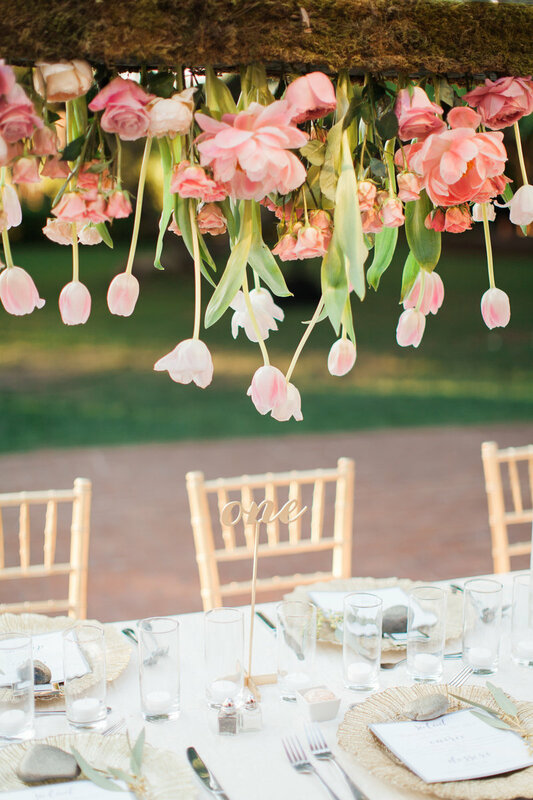 Most brides typically set aside $3,000+ towards their event decor when planning a budget. 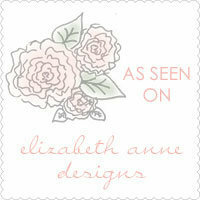 and above all, your Design Style! 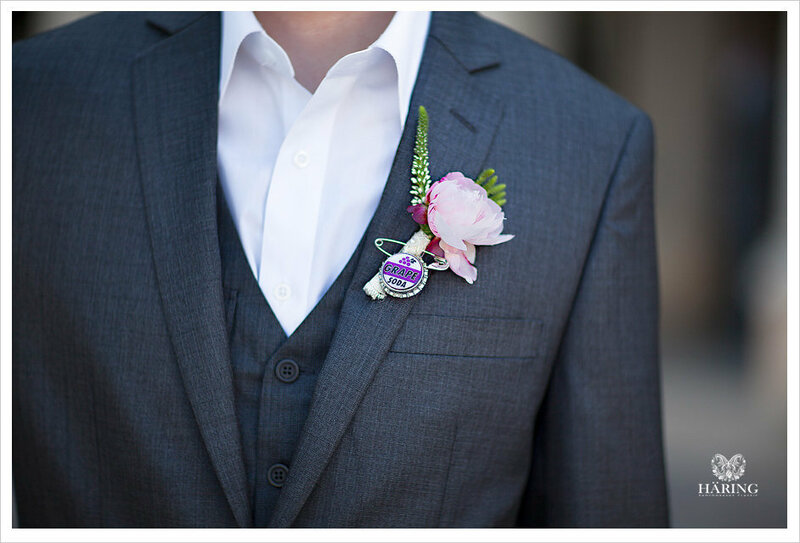 For a customized design proposal , please schedule a visit with us! 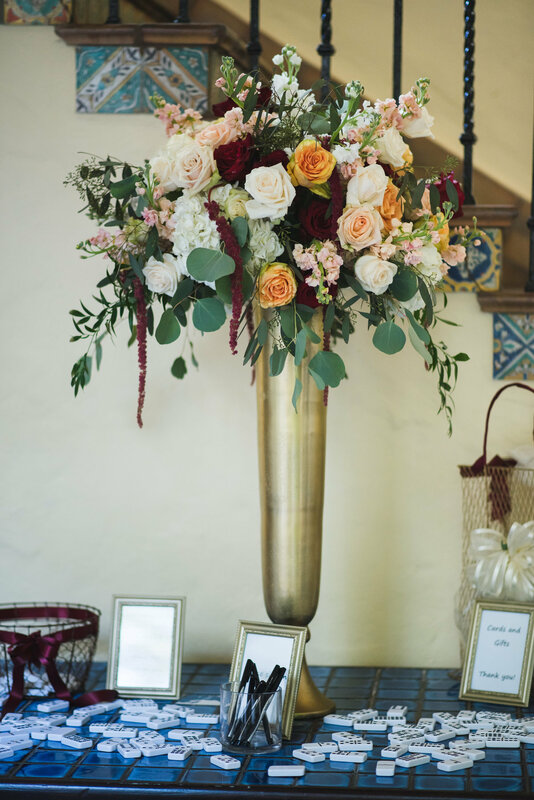 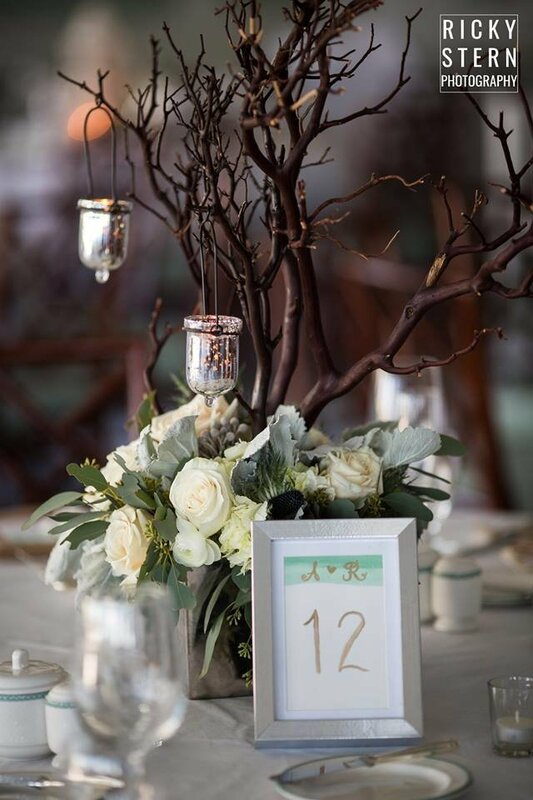 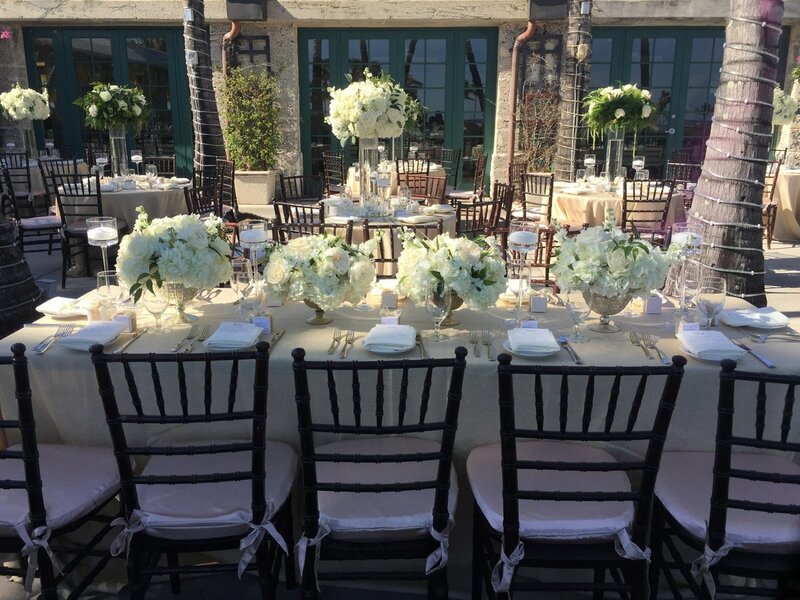 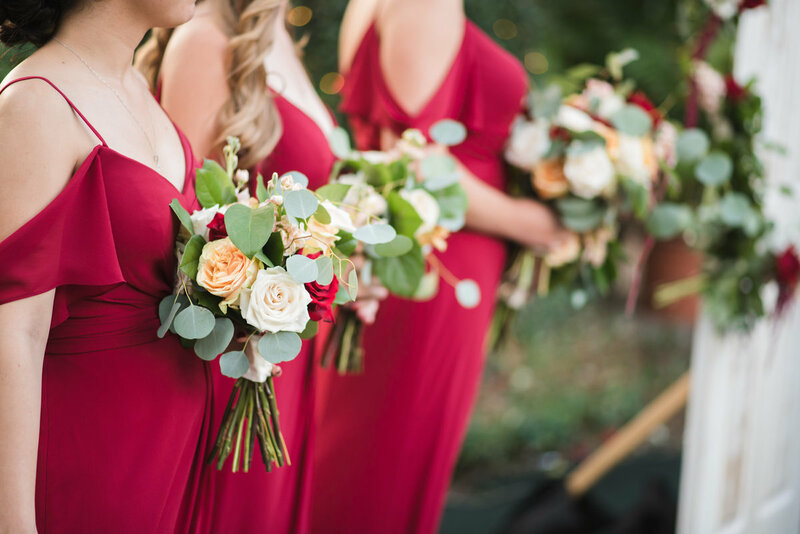 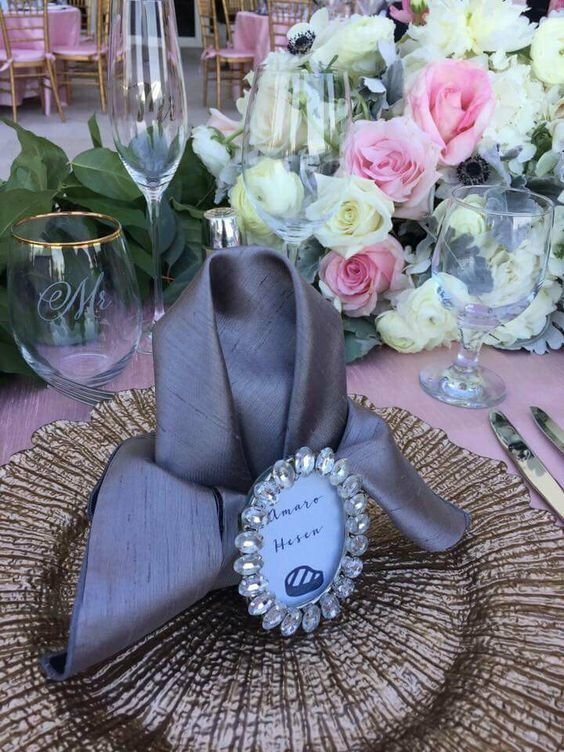 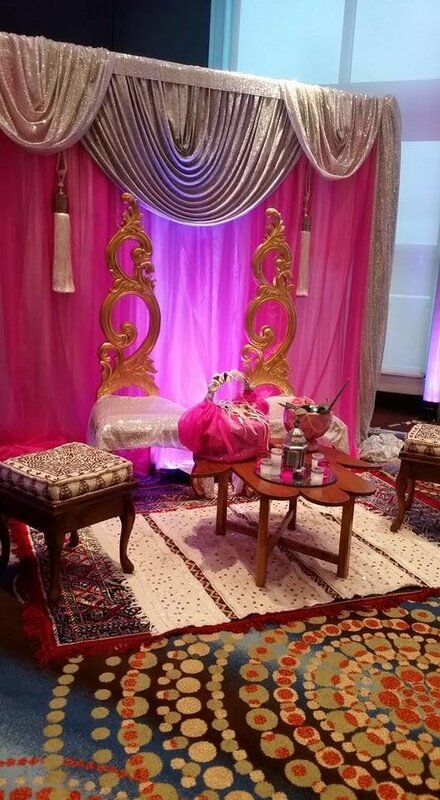 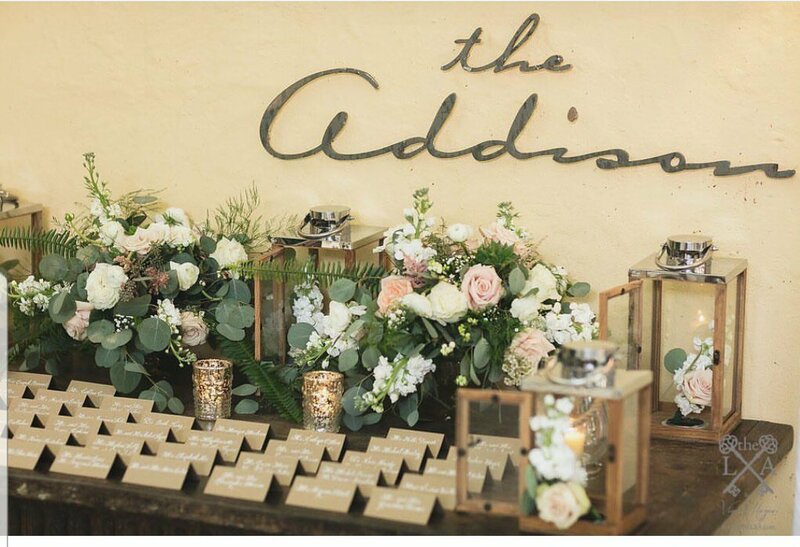 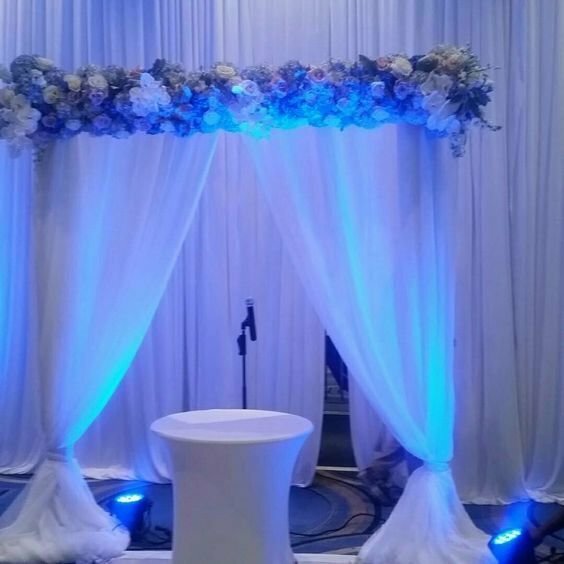 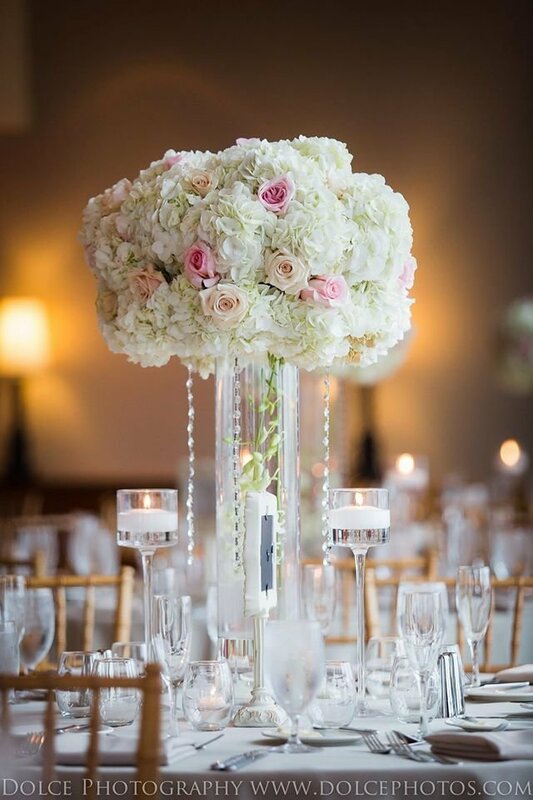 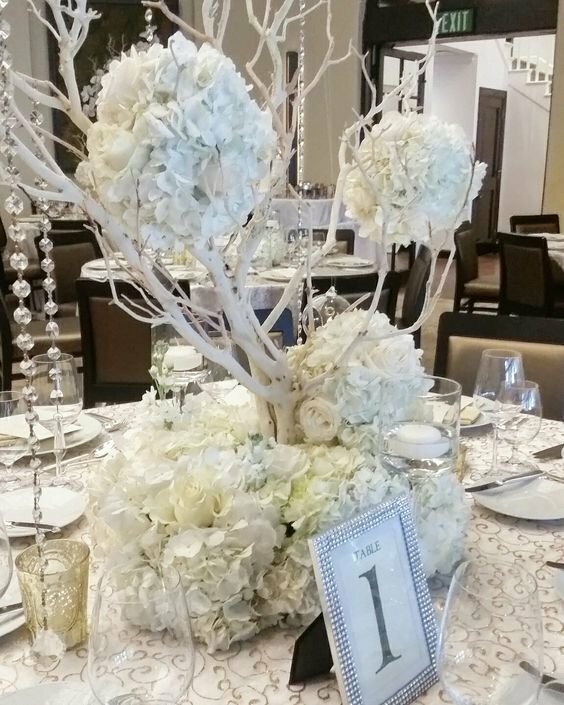 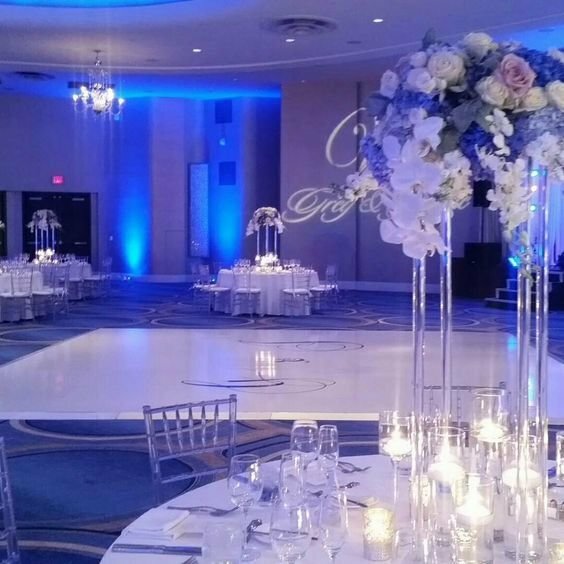 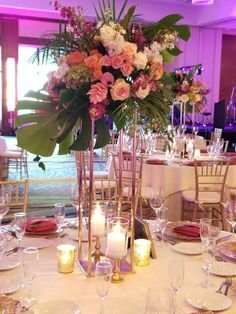 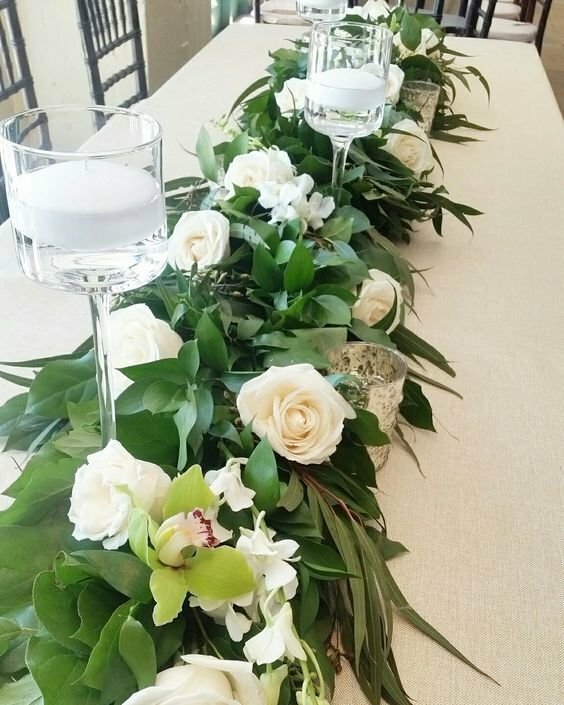 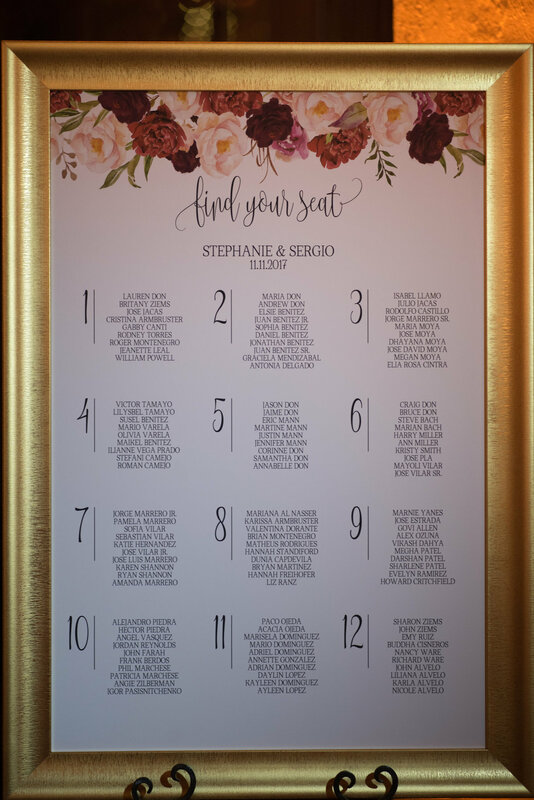 We know that each bride is unique; we give you the freedom to choose your event blooms to create your very own customized decor. 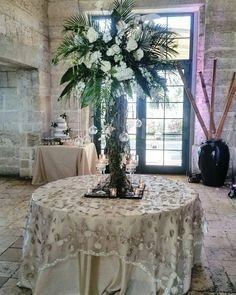 Being a boutique company, our specialty is creating unique environments. 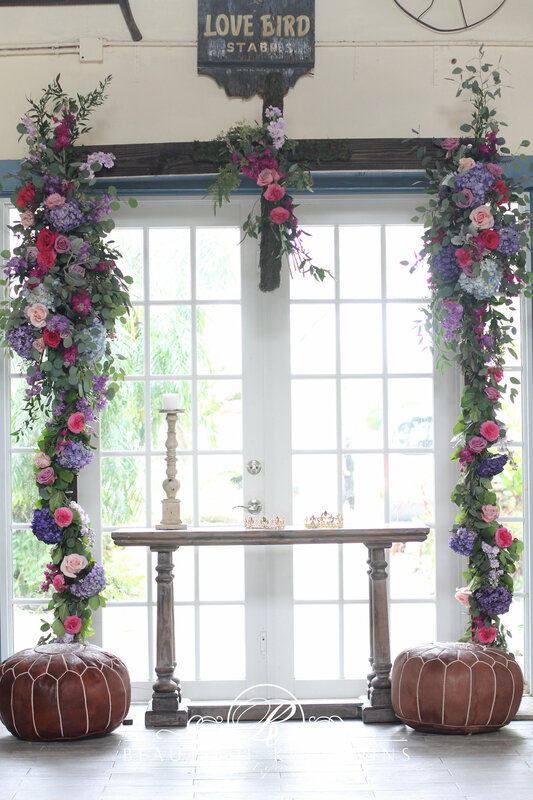 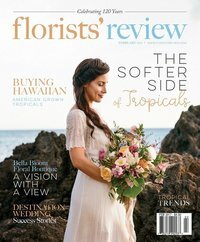 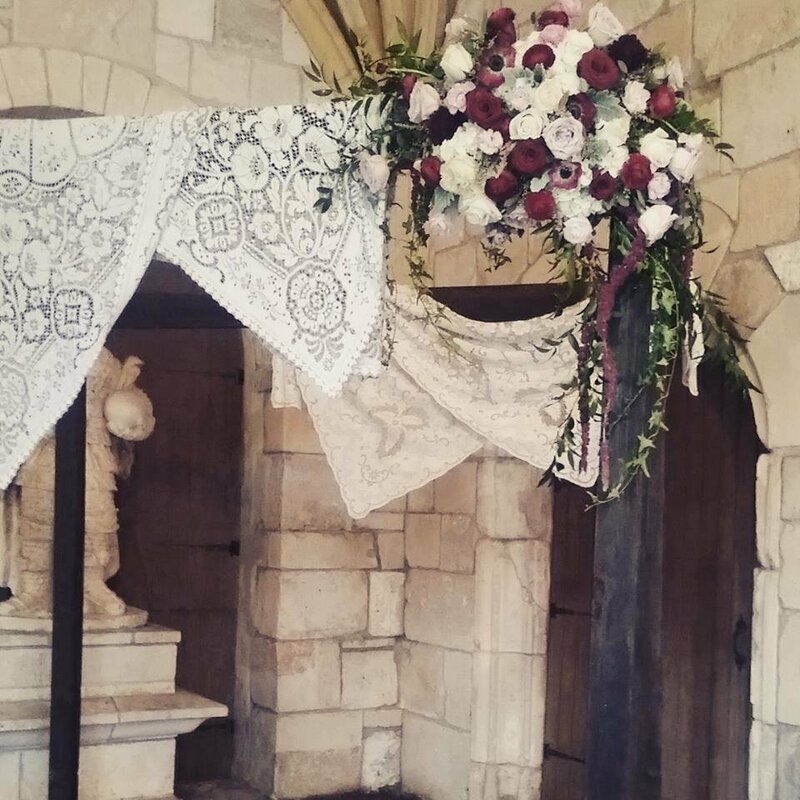 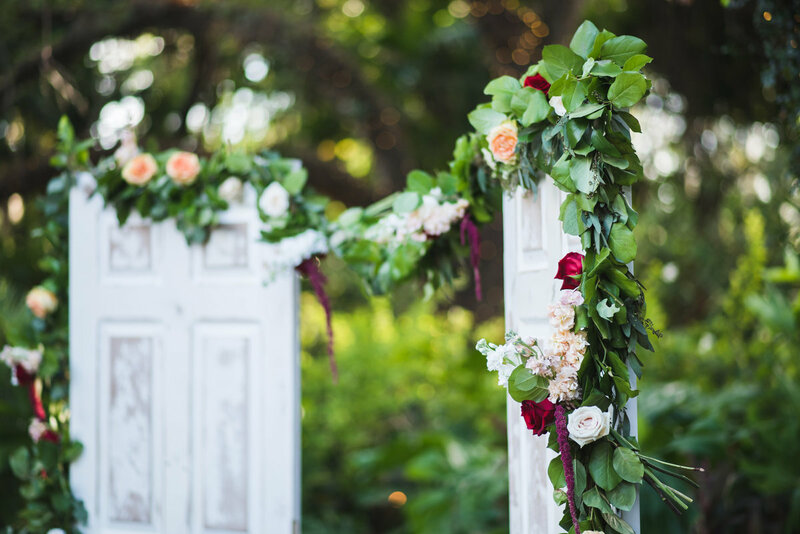 Most brides set aside 10%+ / $3500+ of their overall wedding cost for floral decor. 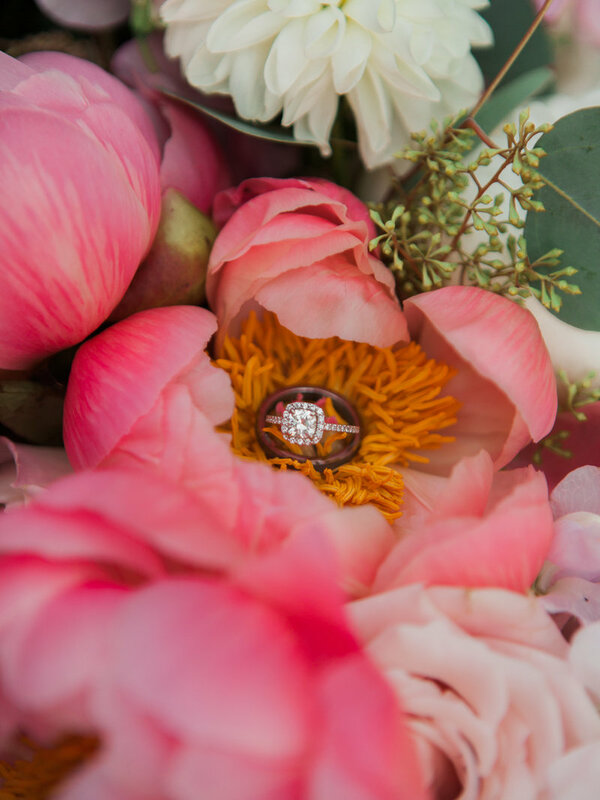 For a customized proposal , please schedule a visit with us . 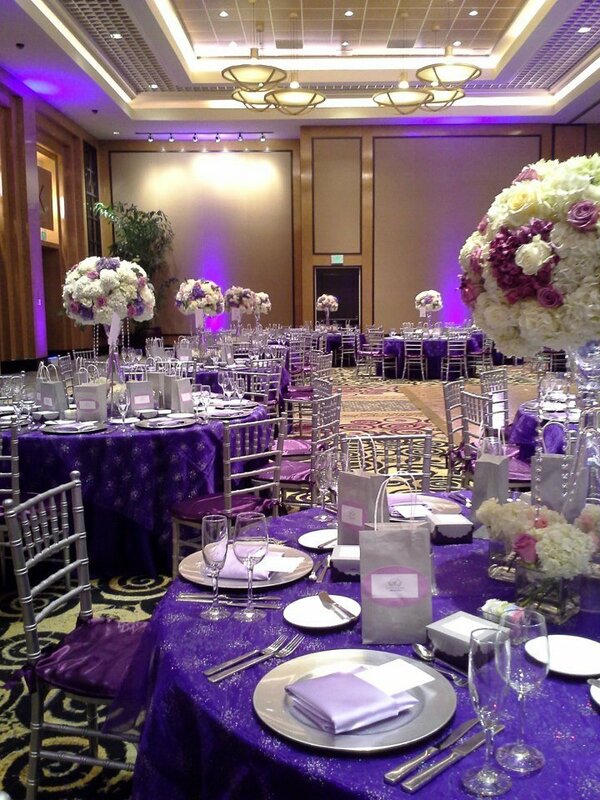 In this 60-90 minutes hands on consultation , we are discussing all the details to ensure a flawless event! 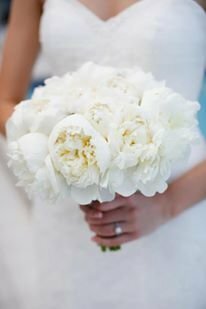 We are in receipt of your inquiry and a team member will contact you shortly.